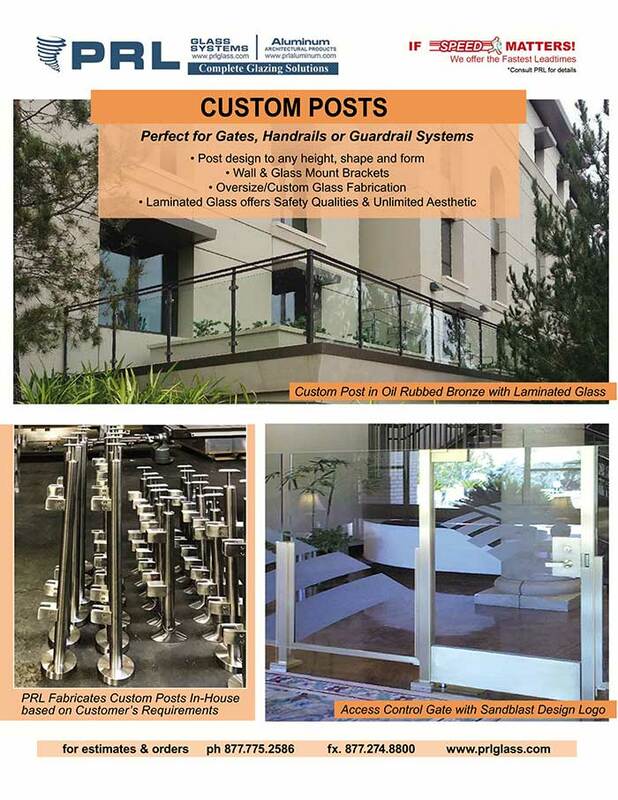 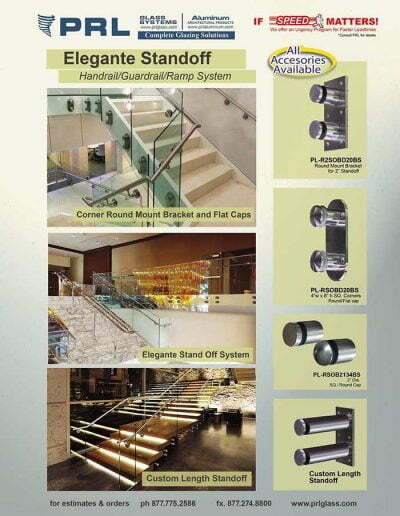 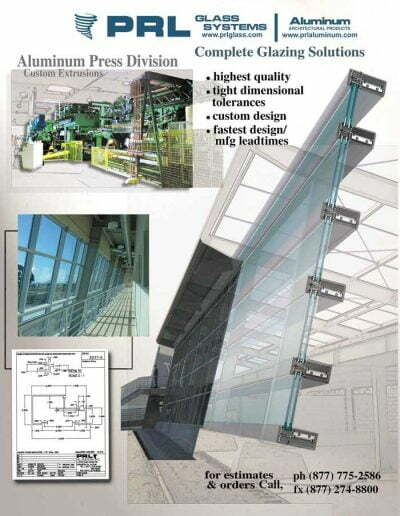 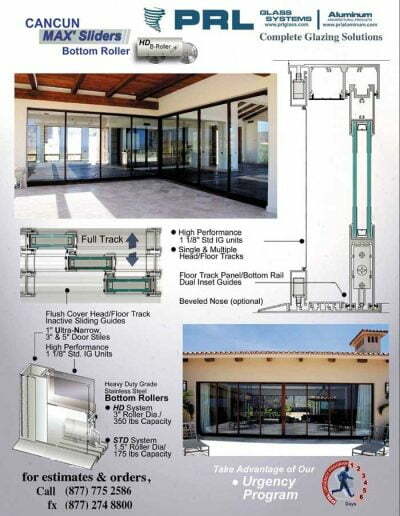 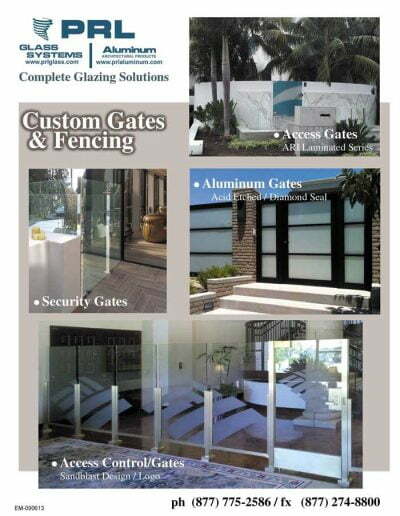 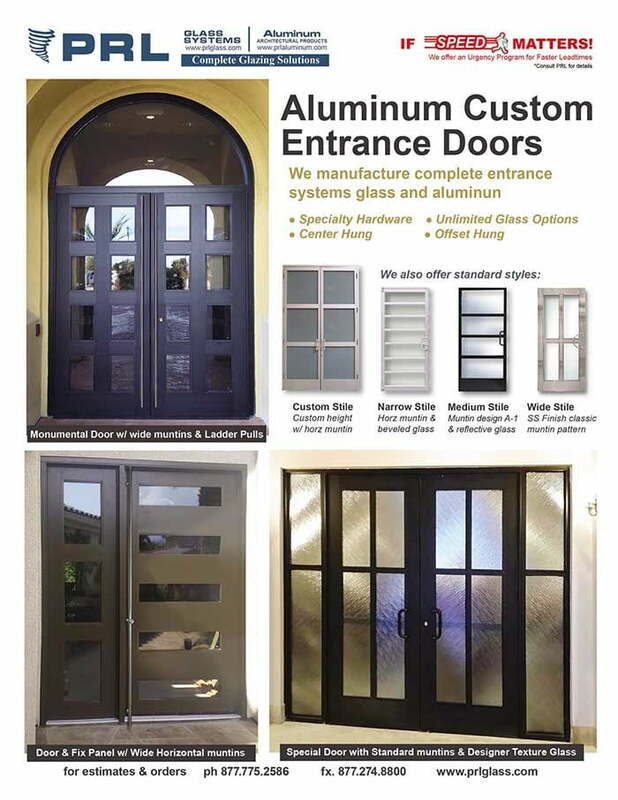 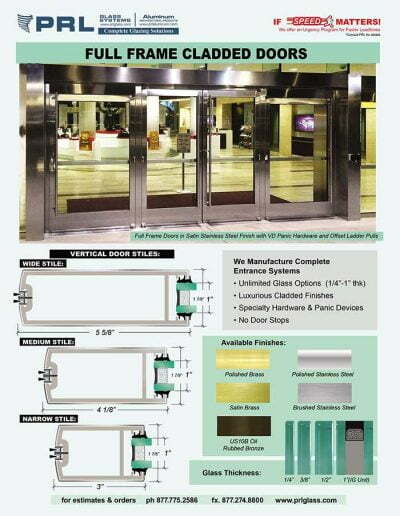 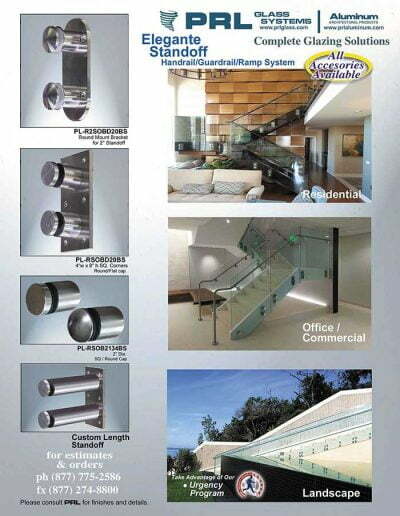 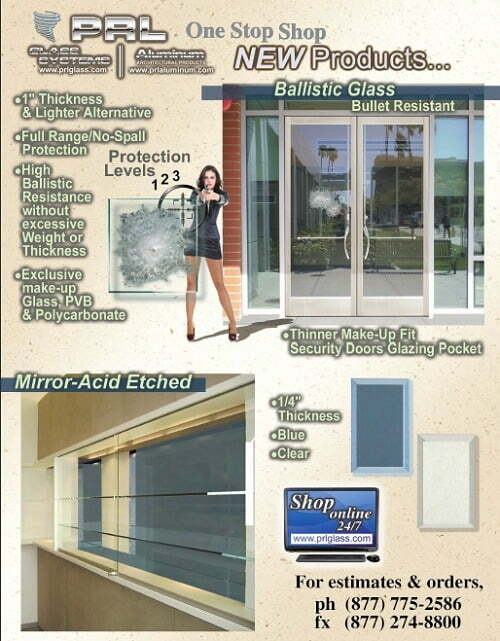 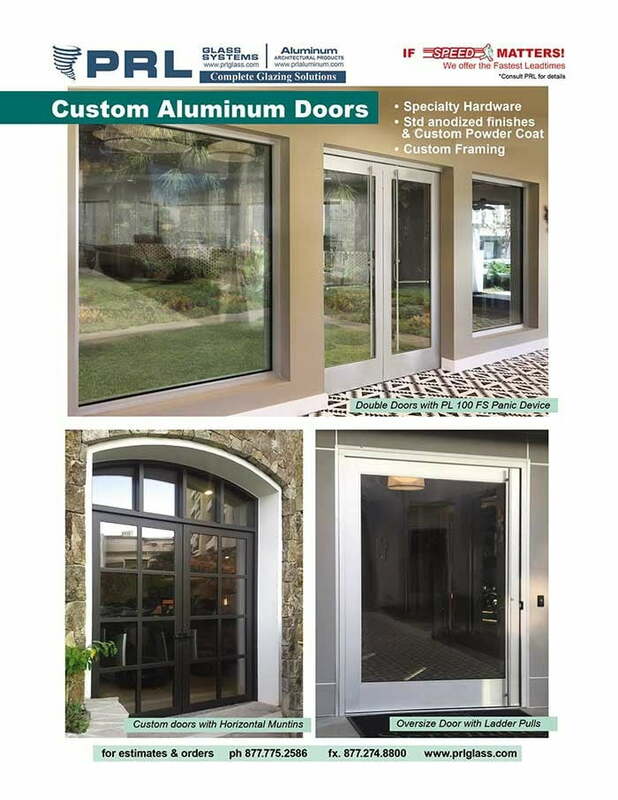 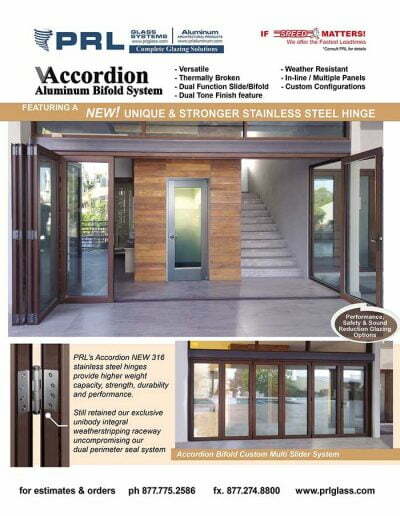 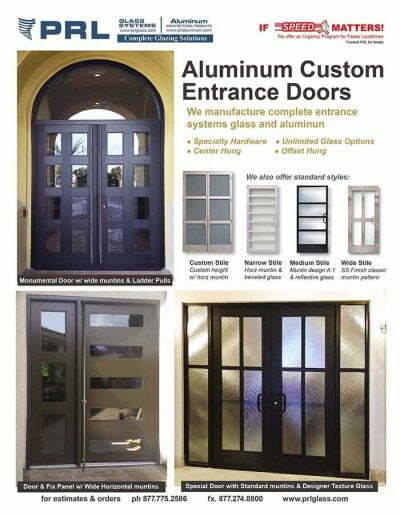 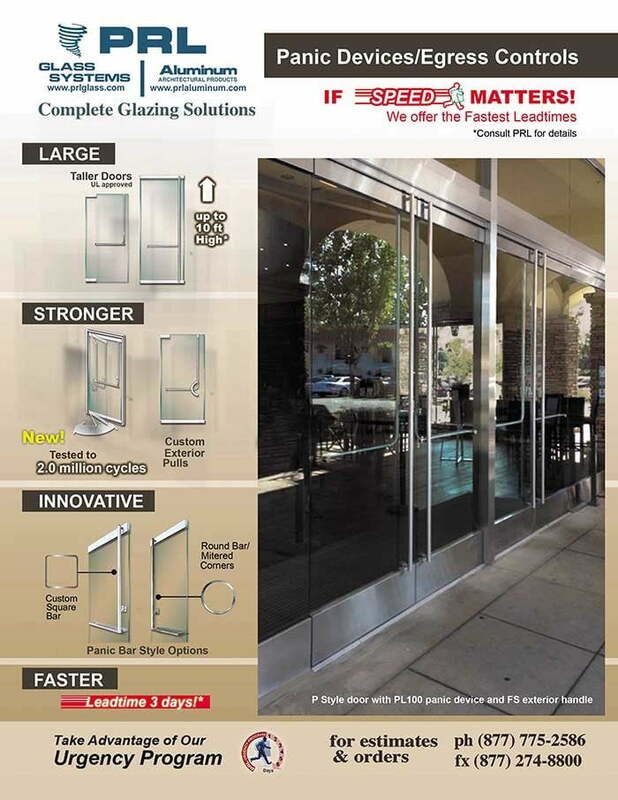 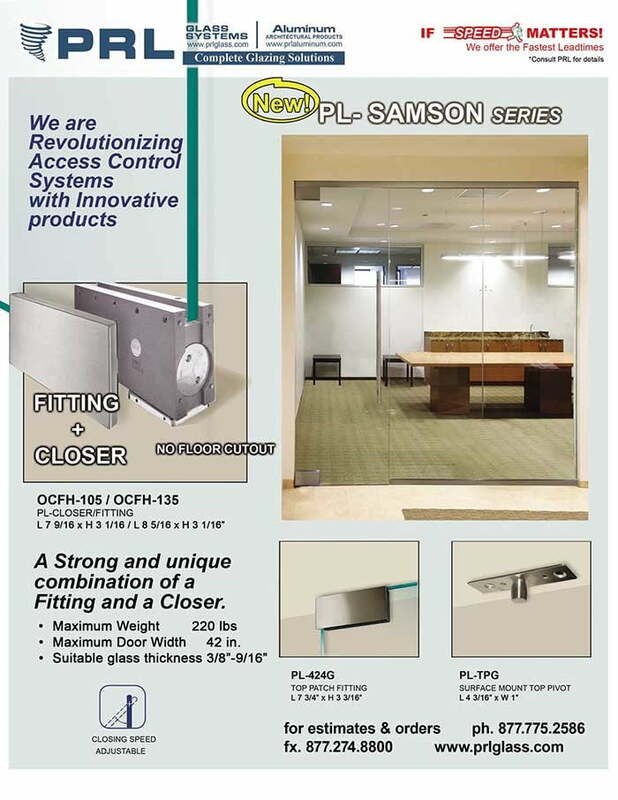 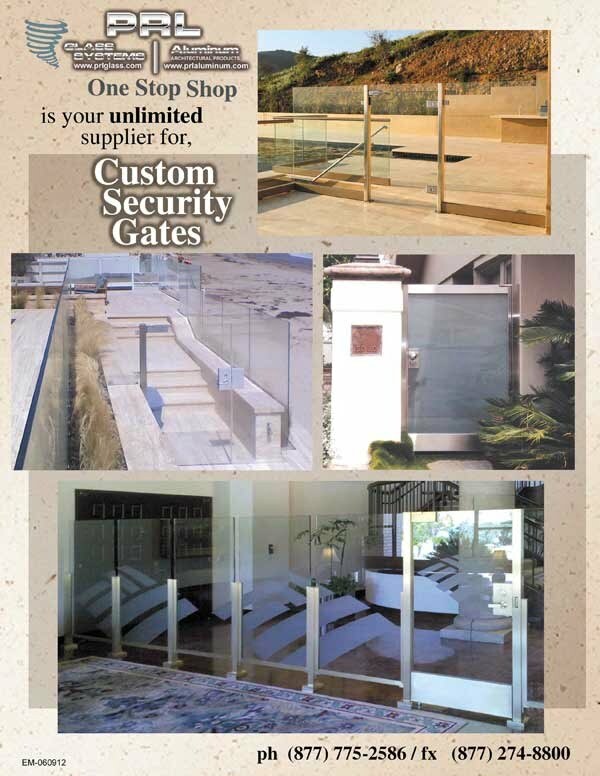 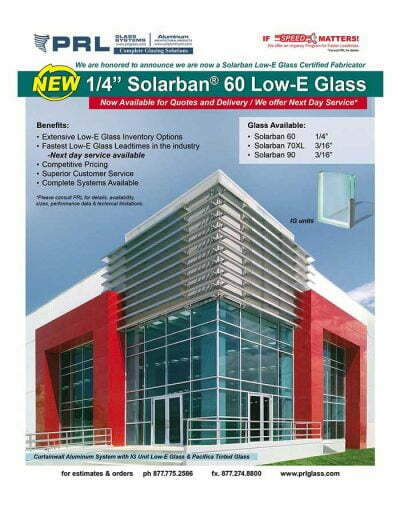 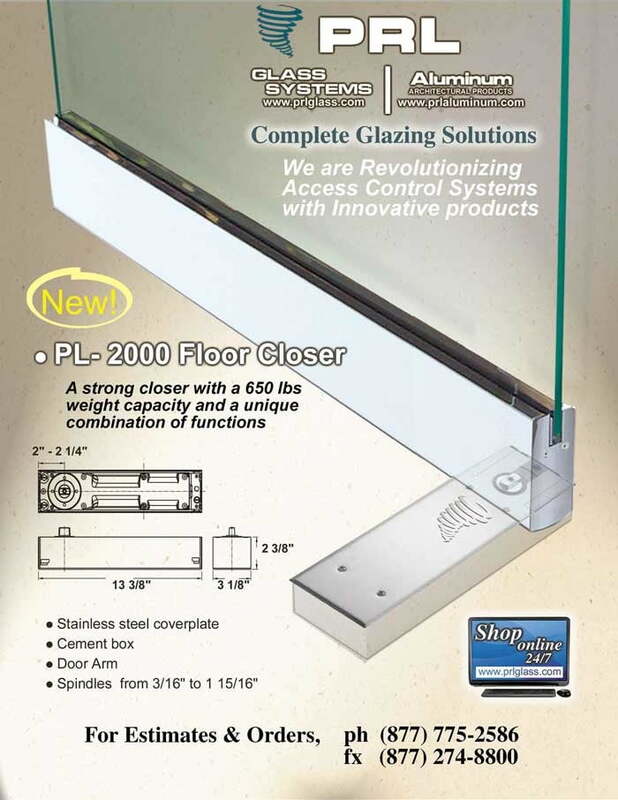 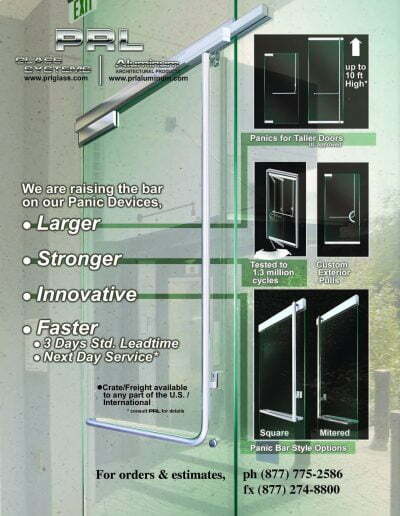 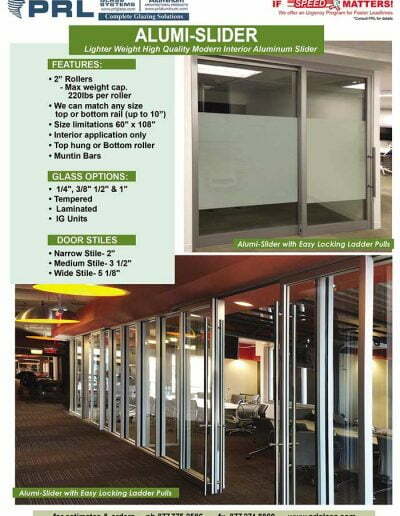 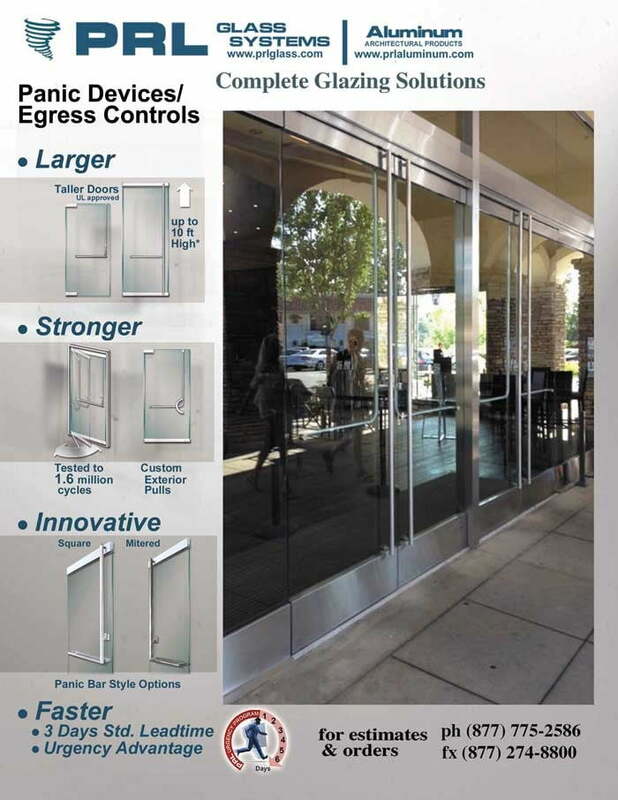 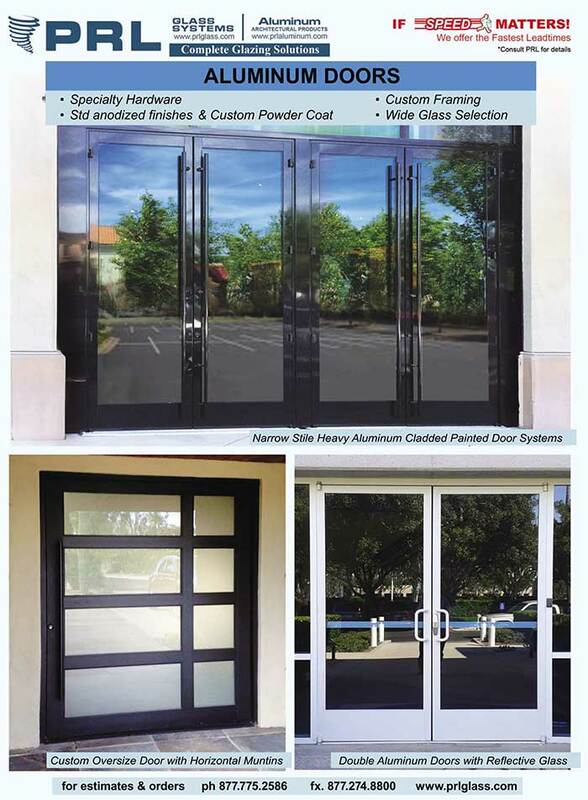 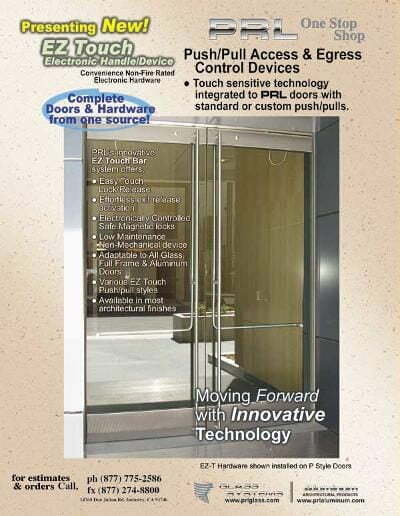 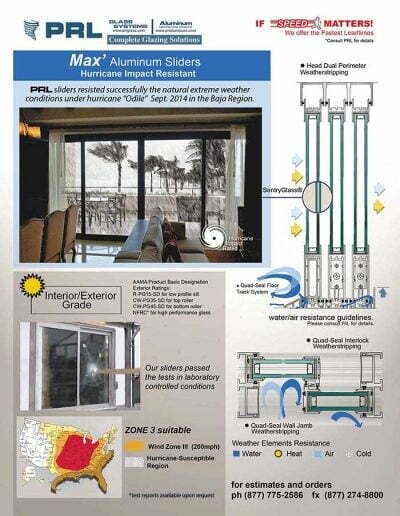 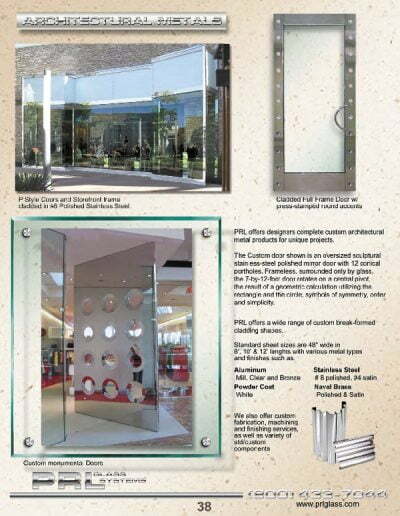 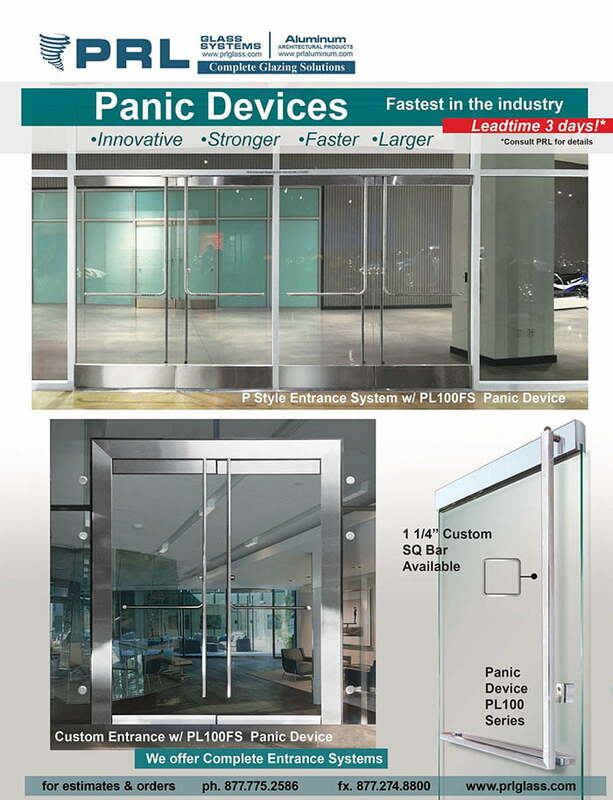 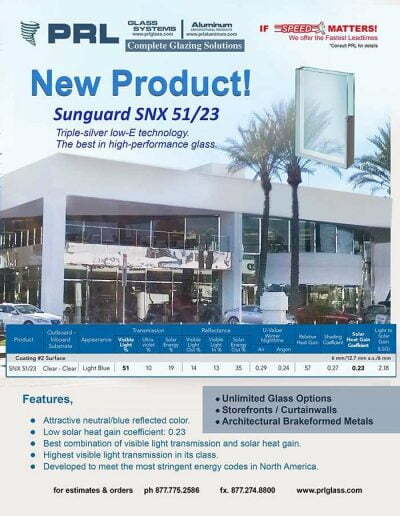 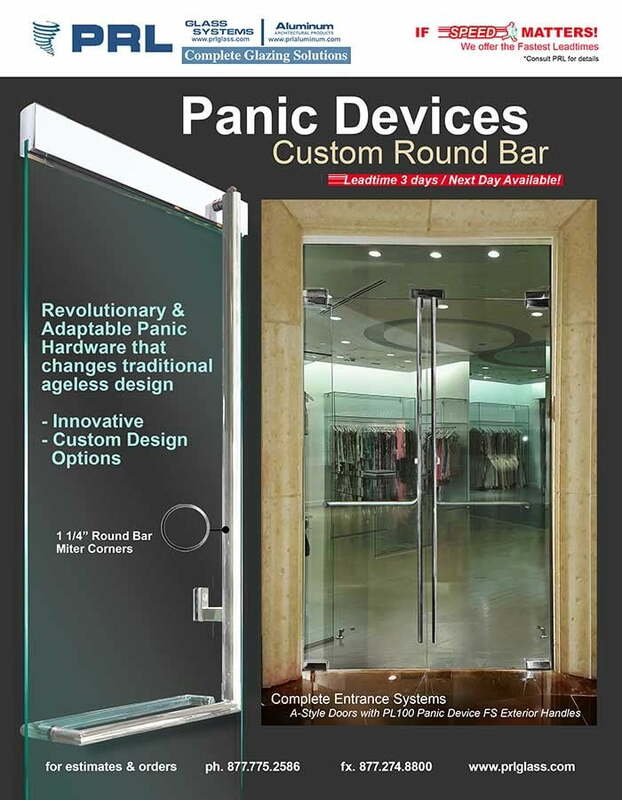 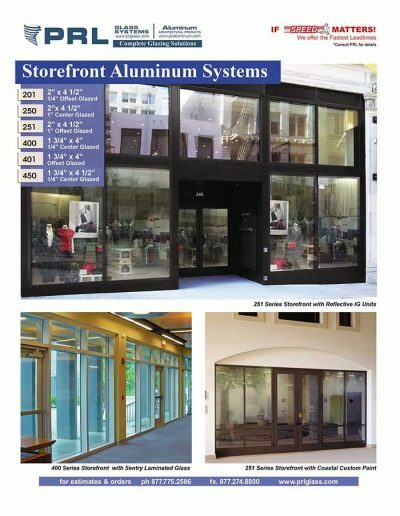 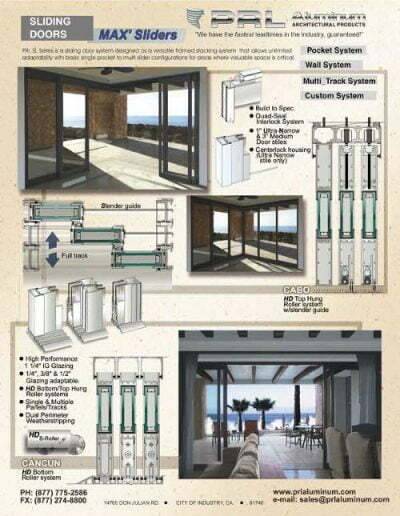 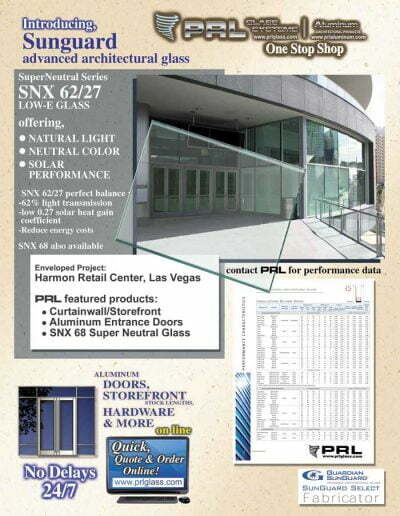 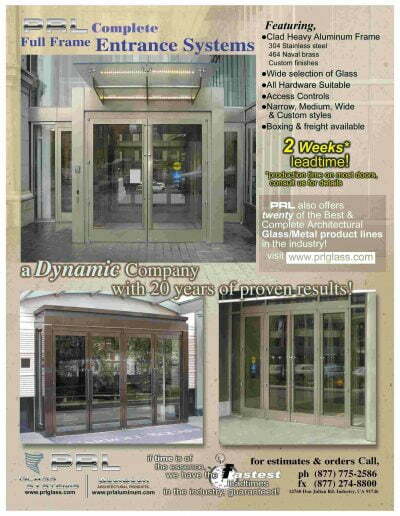 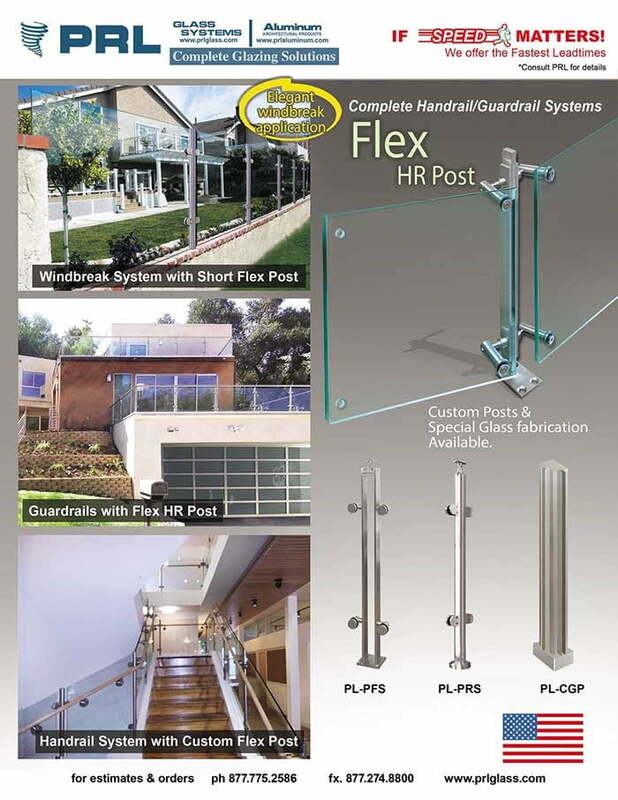 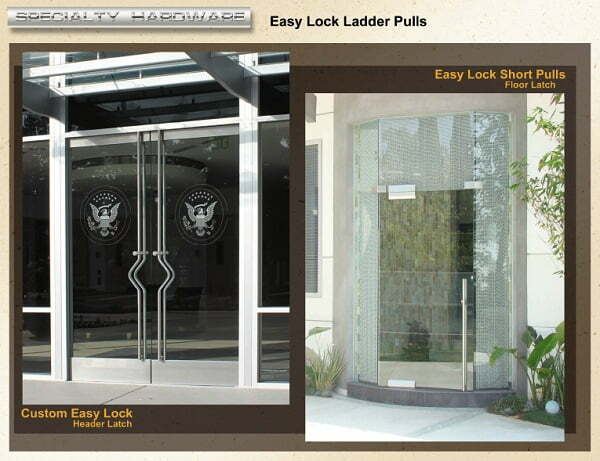 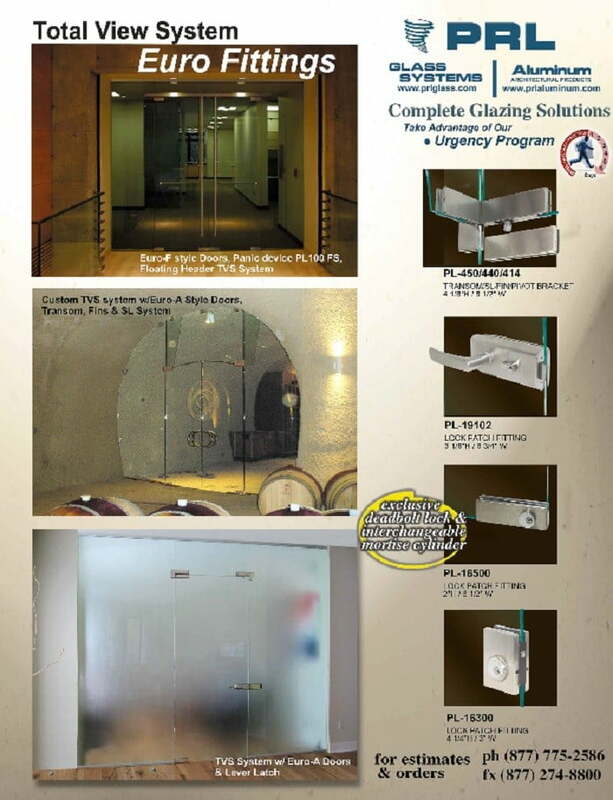 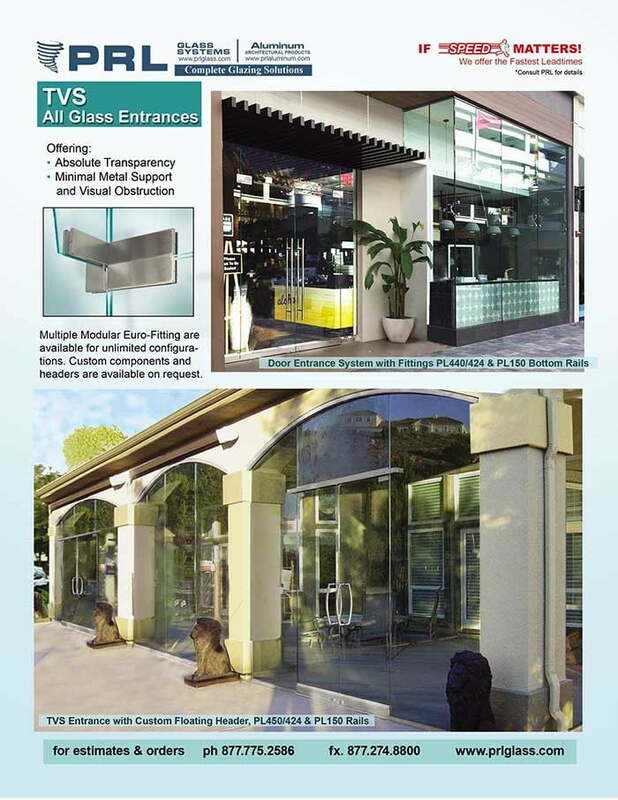 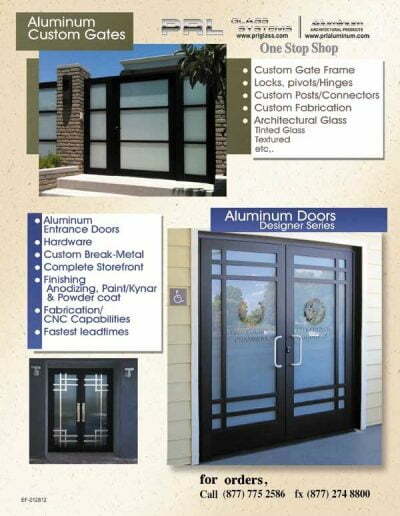 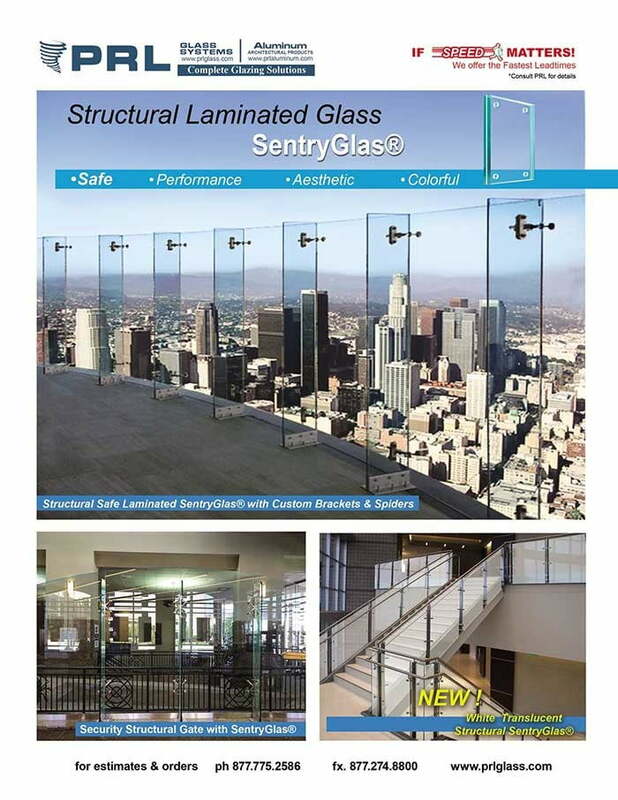 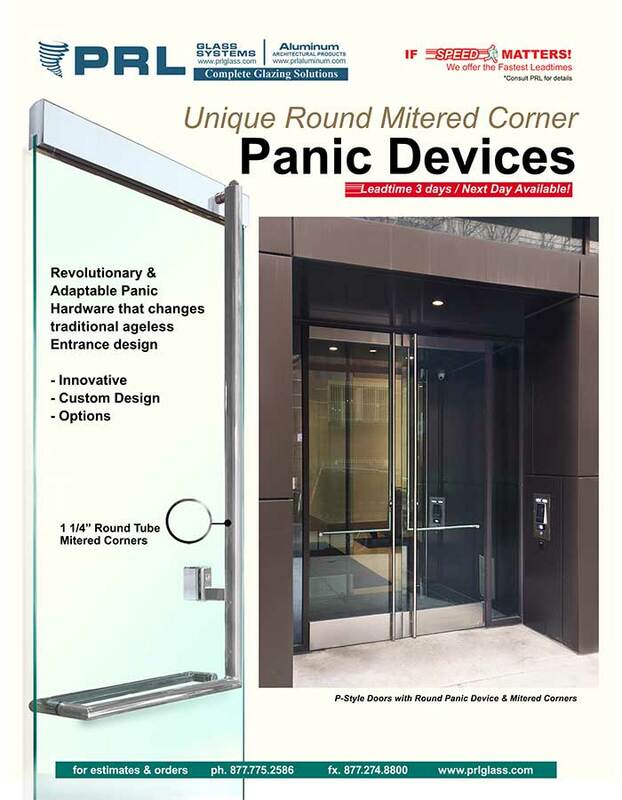 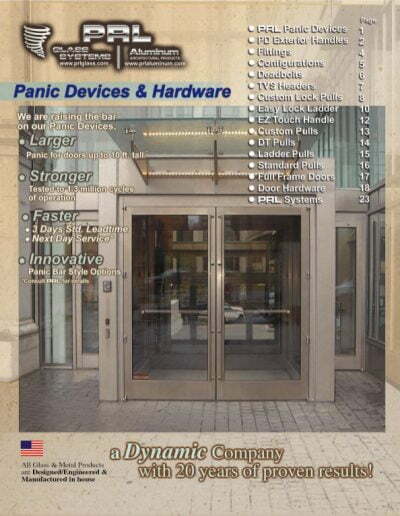 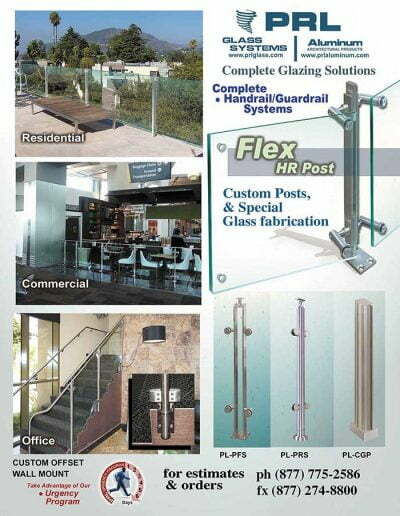 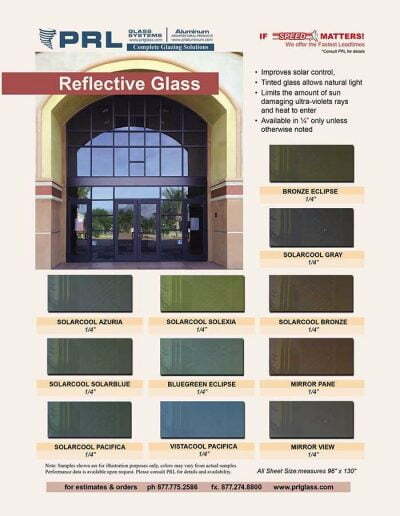 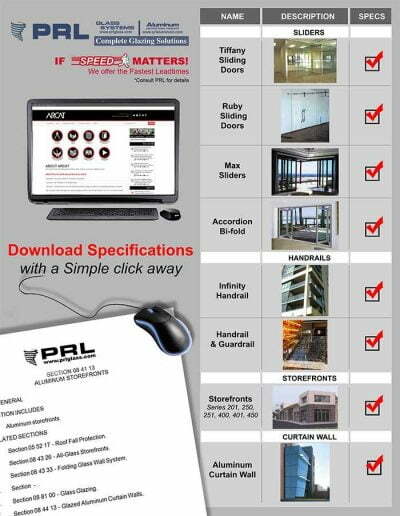 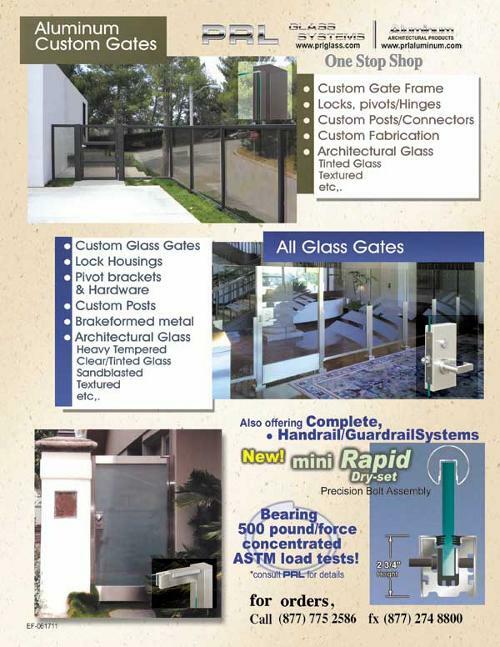 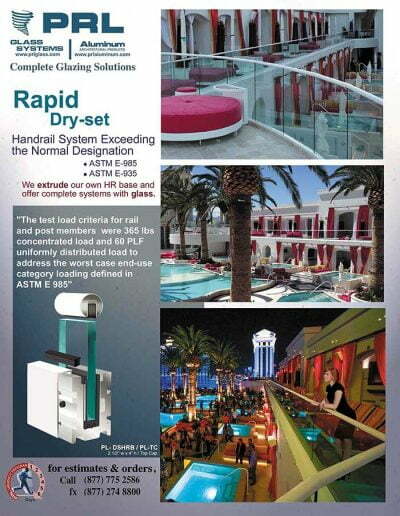 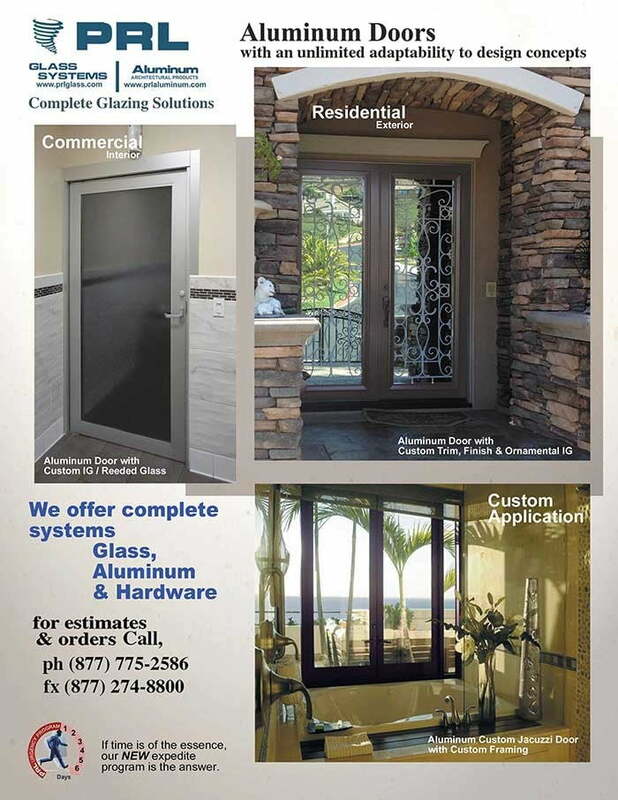 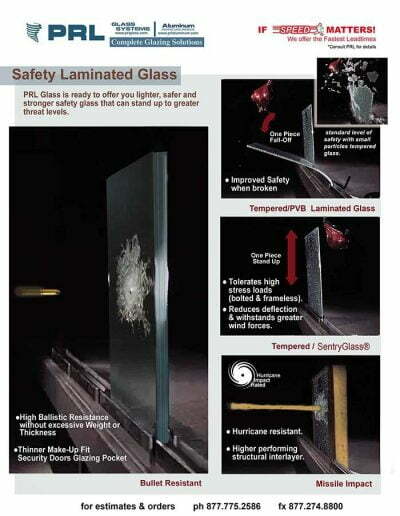 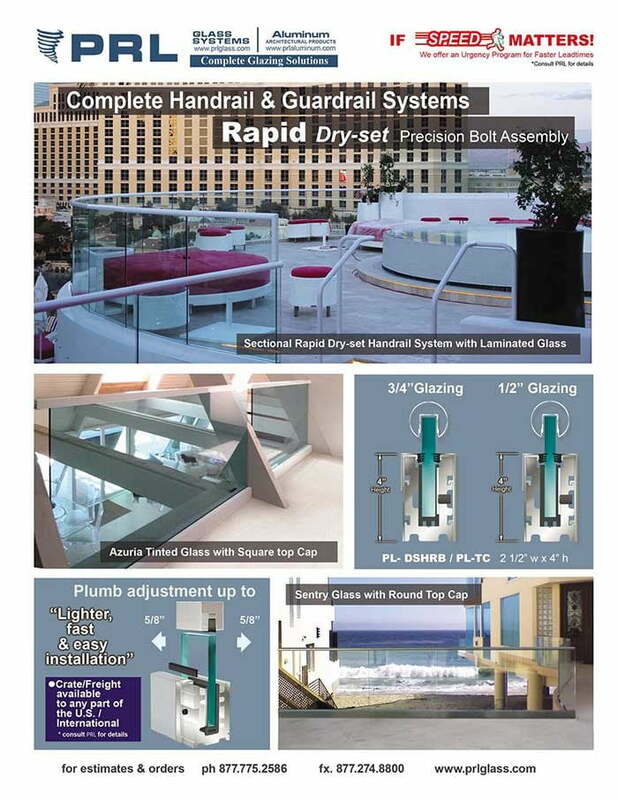 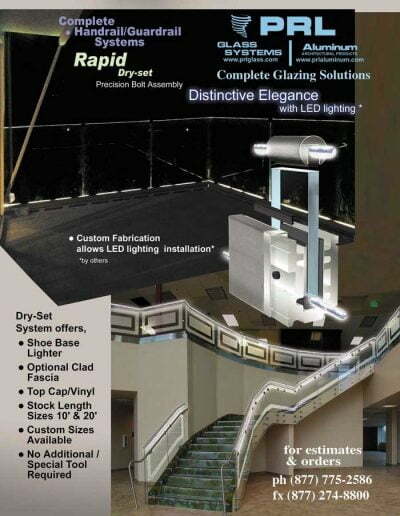 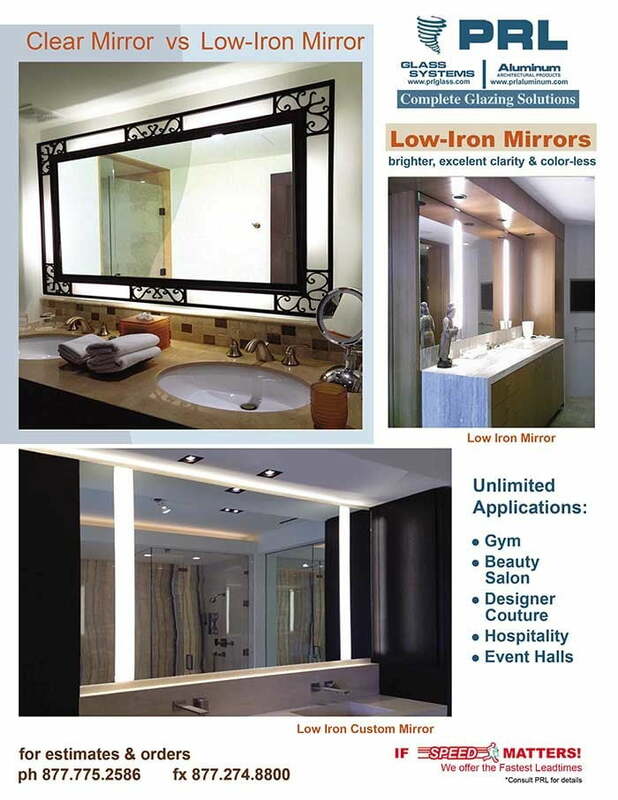 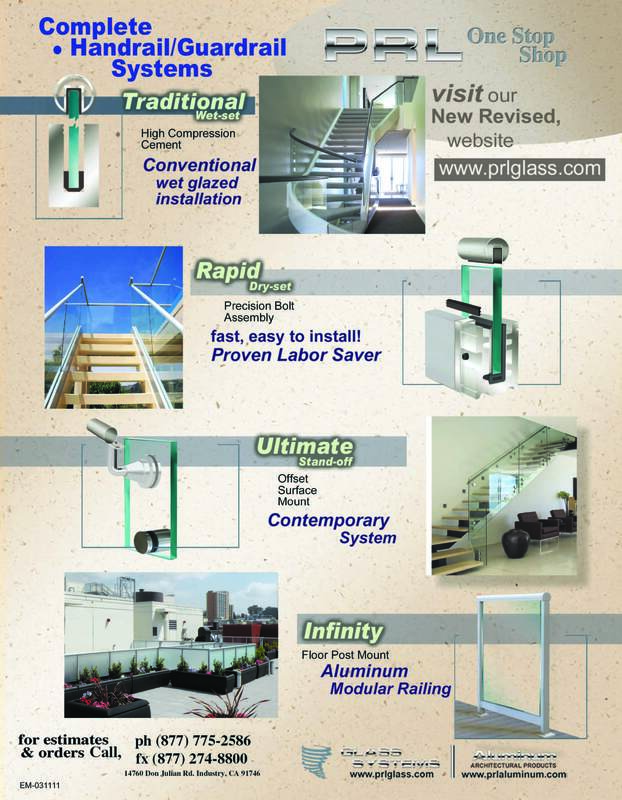 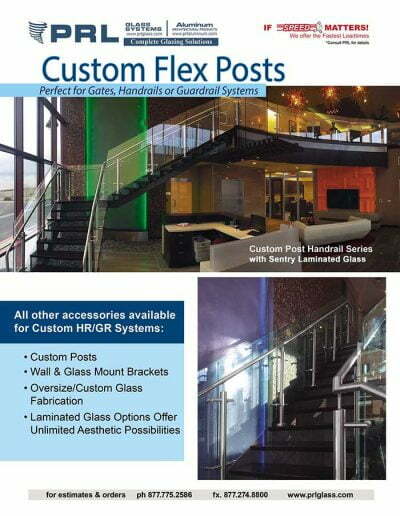 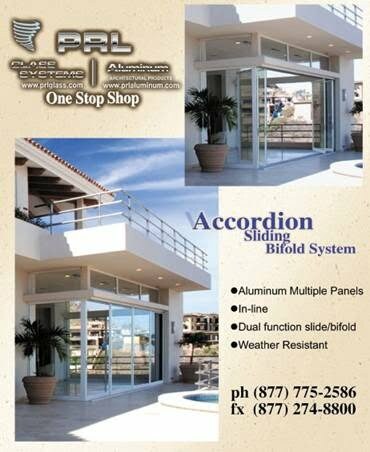 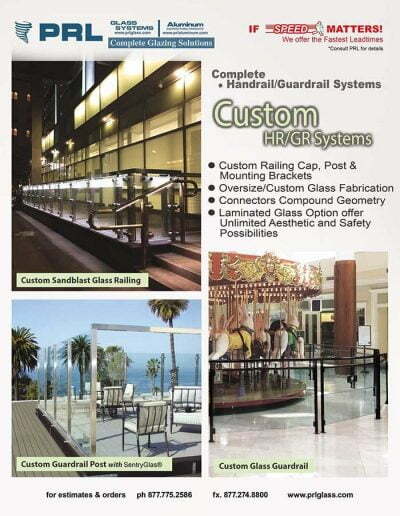 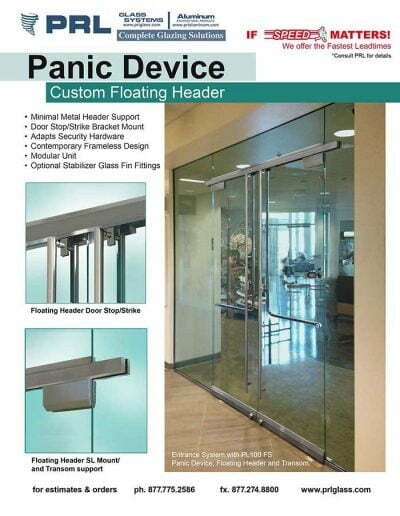 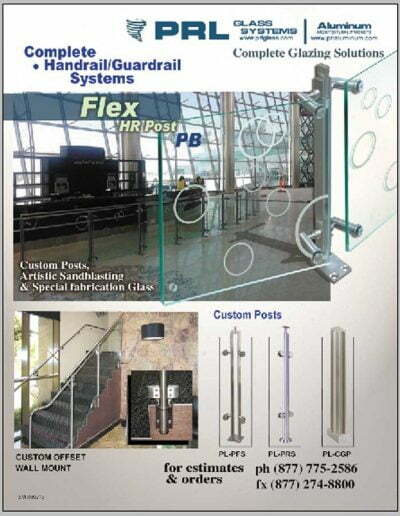 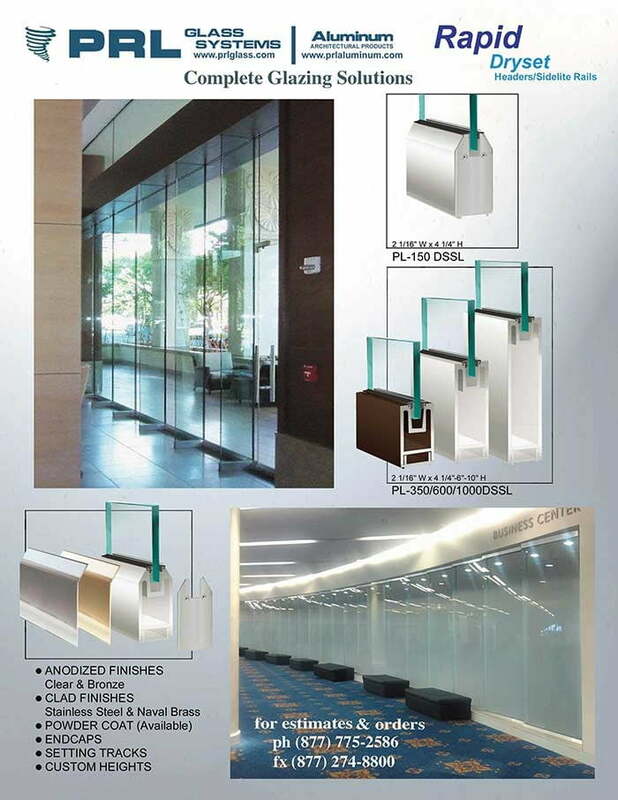 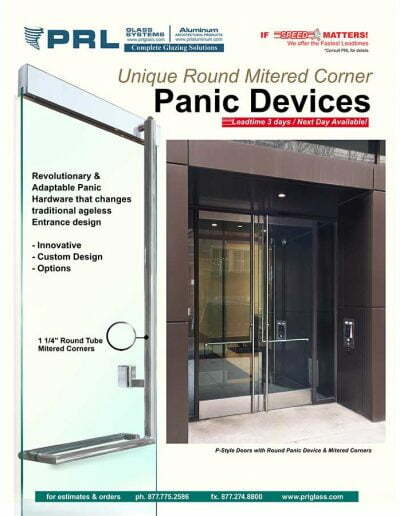 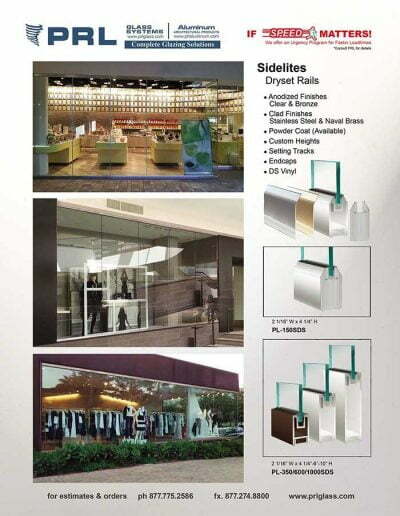 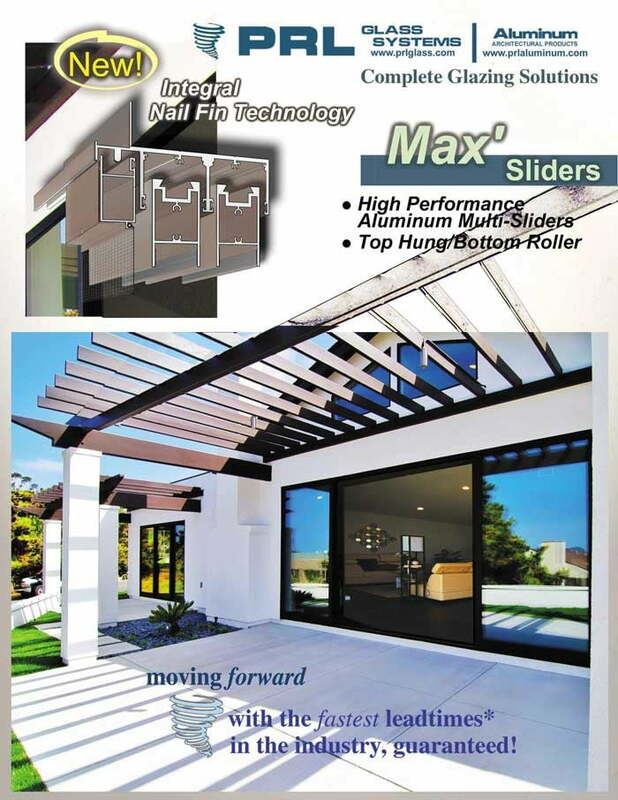 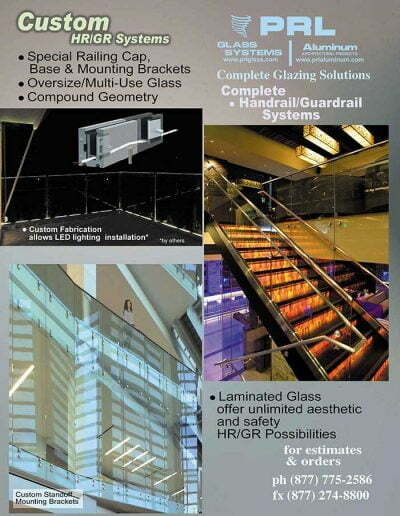 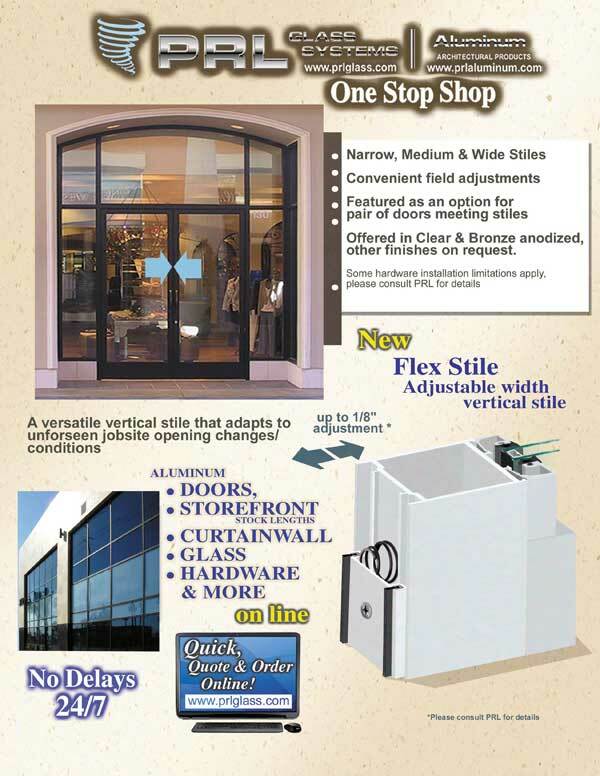 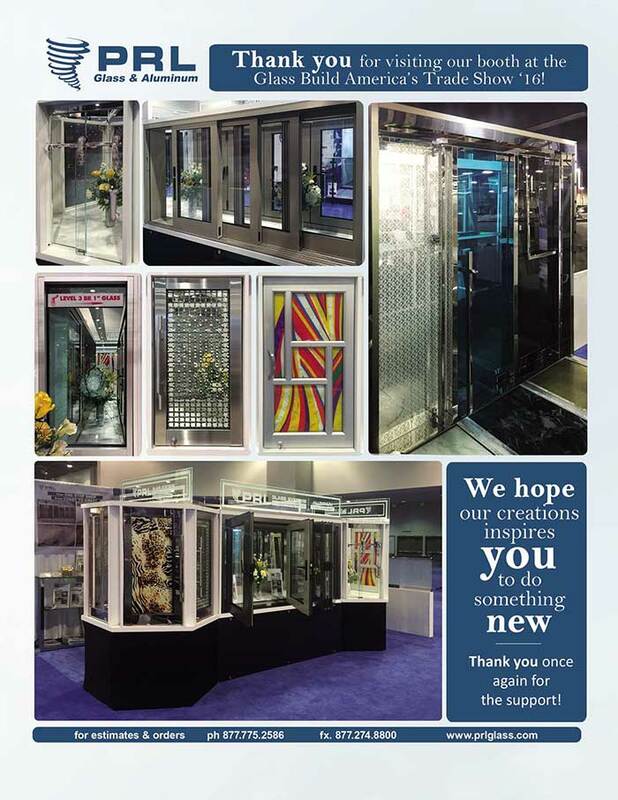 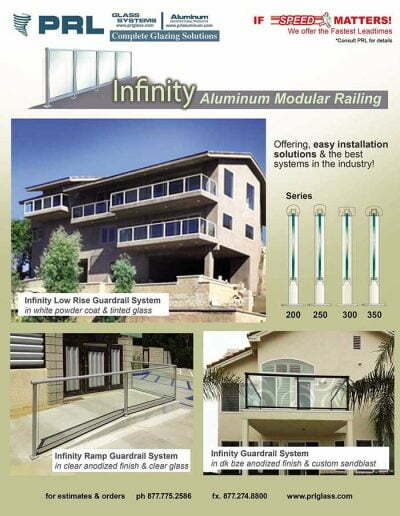 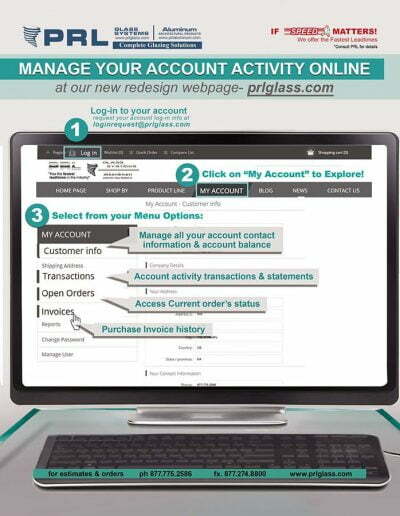 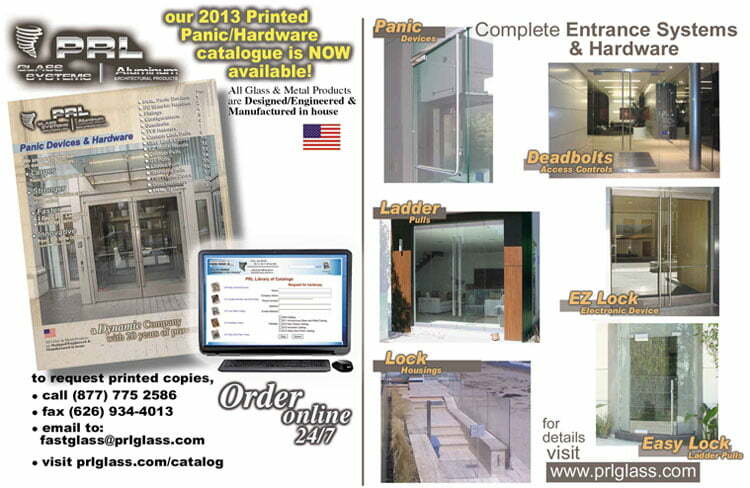 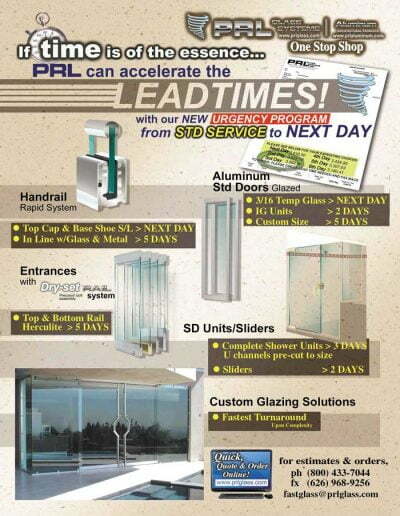 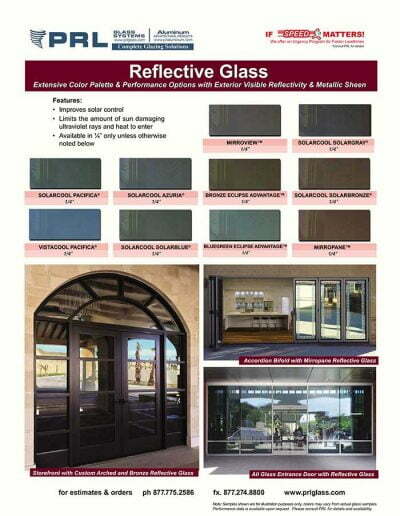 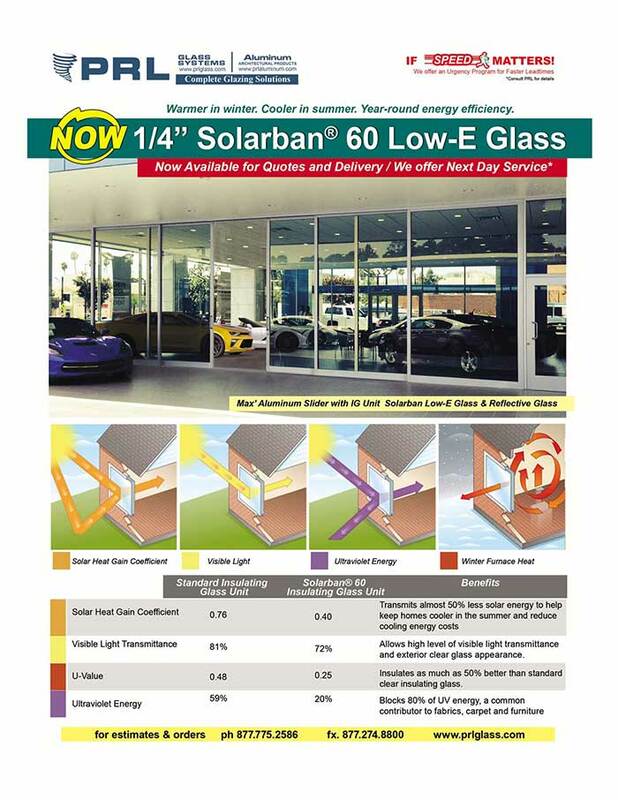 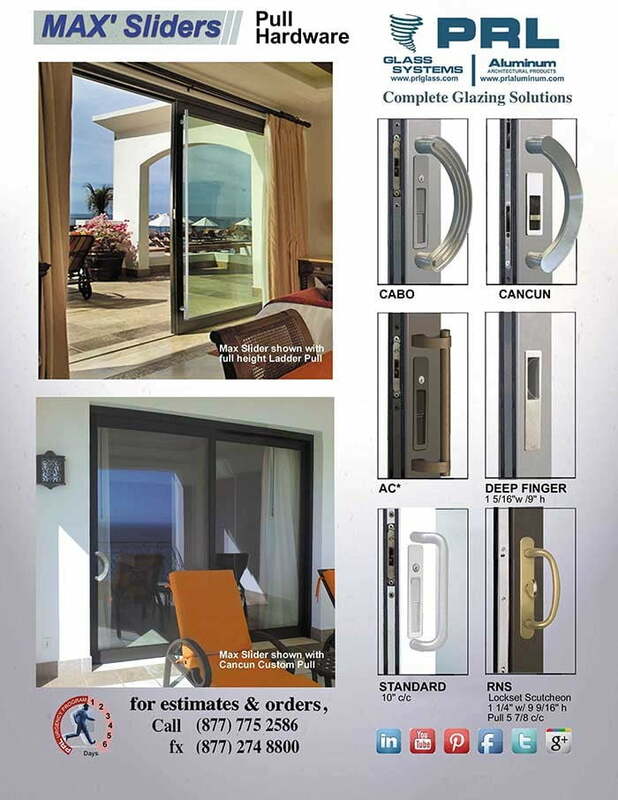 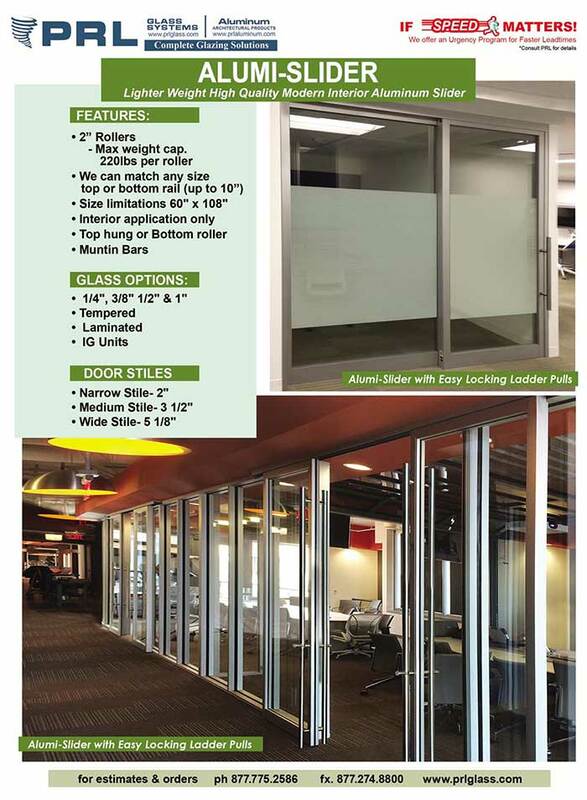 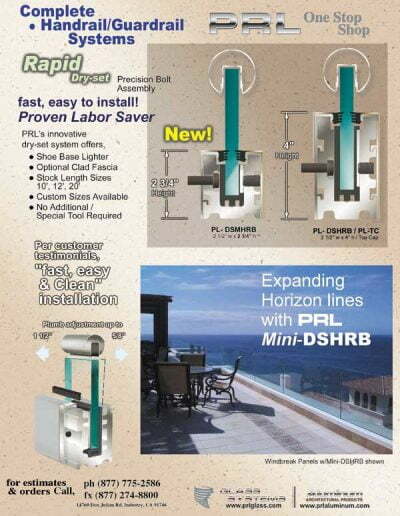 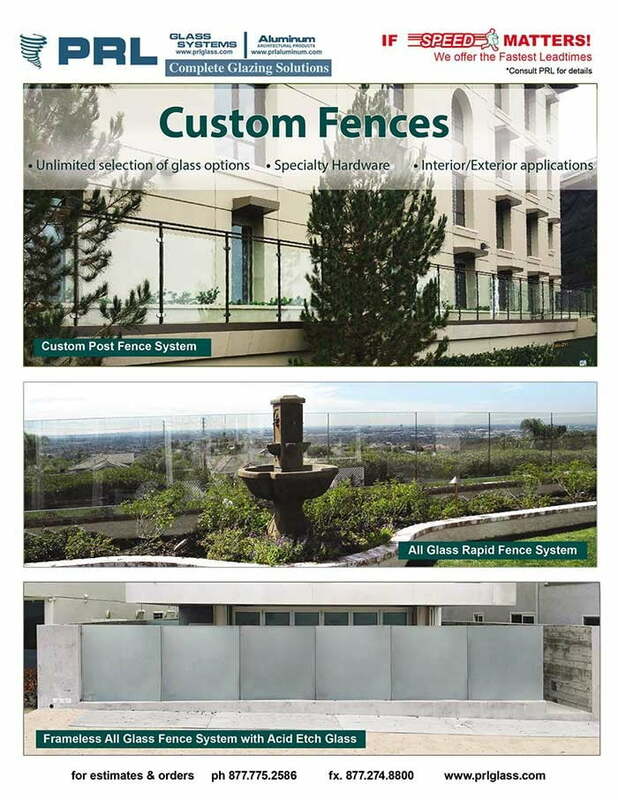 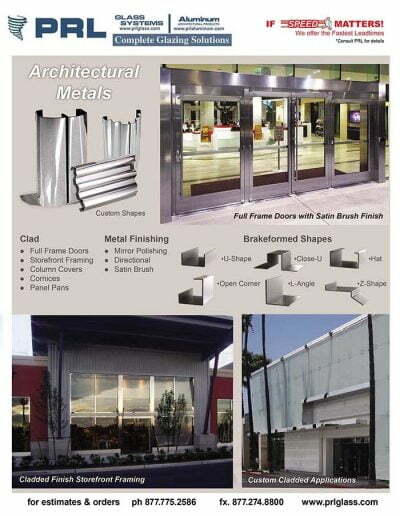 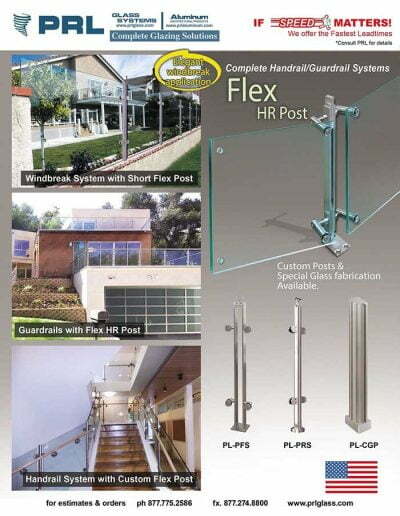 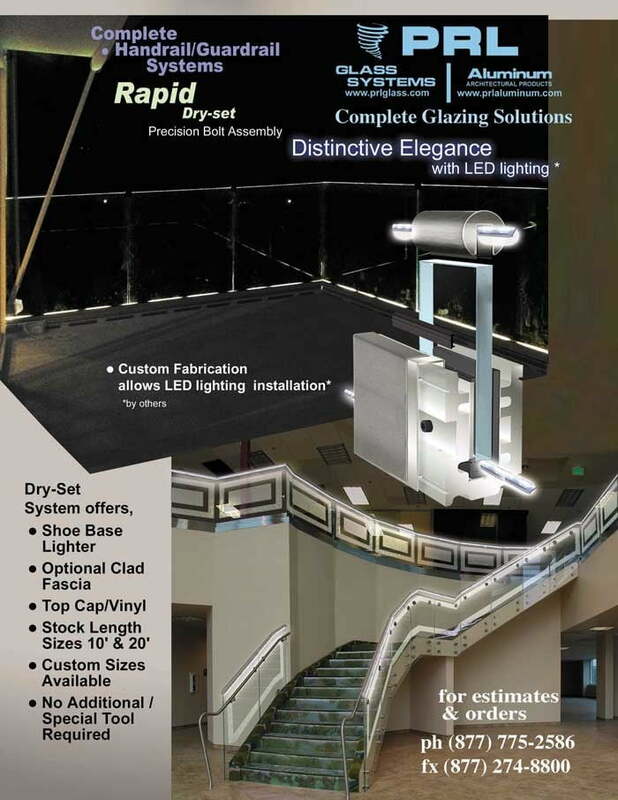 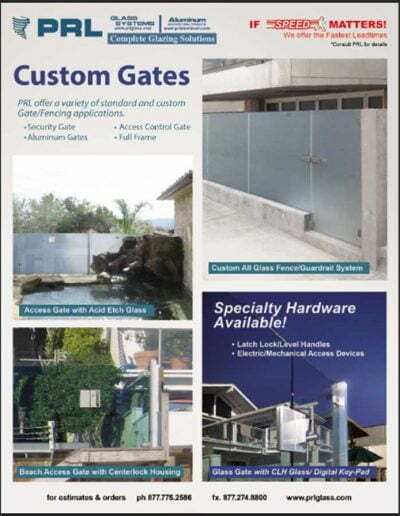 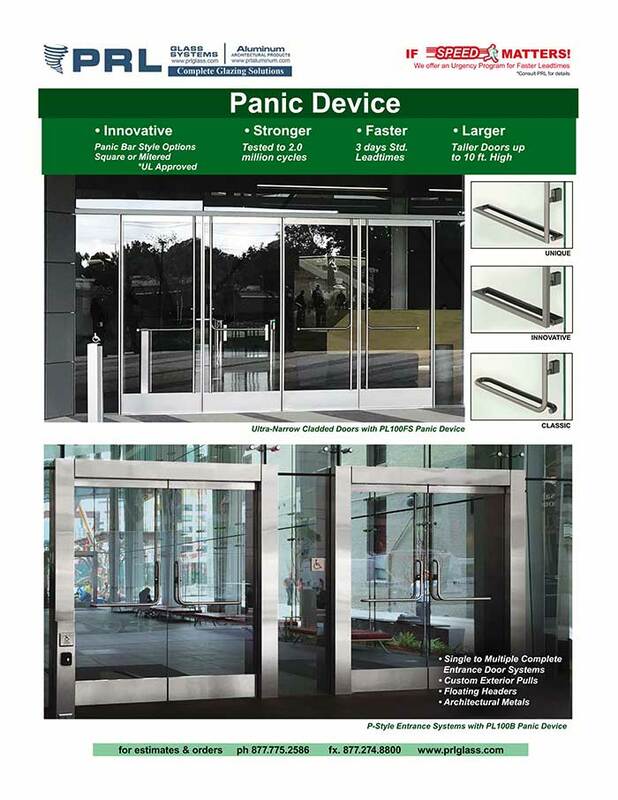 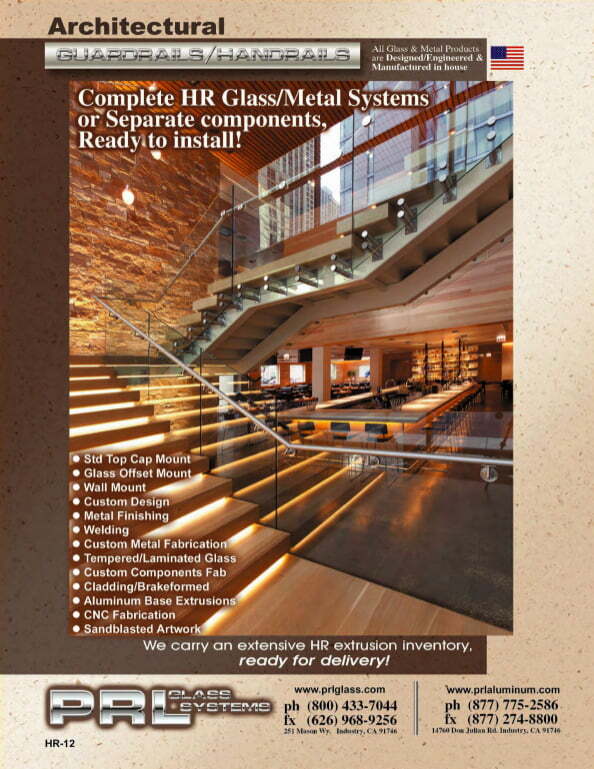 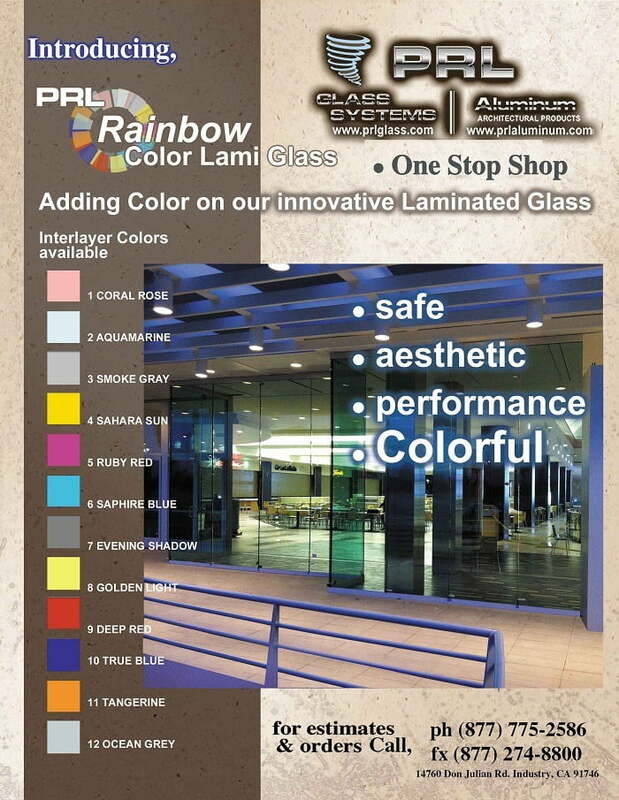 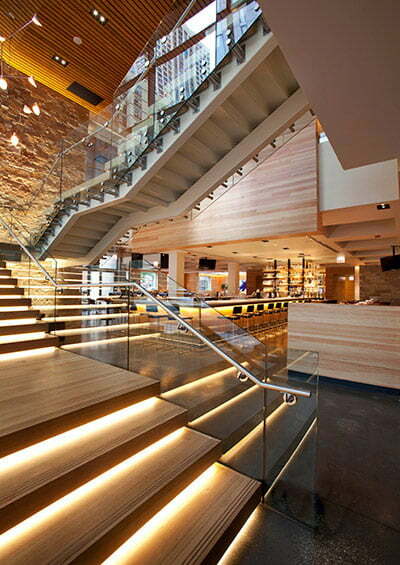 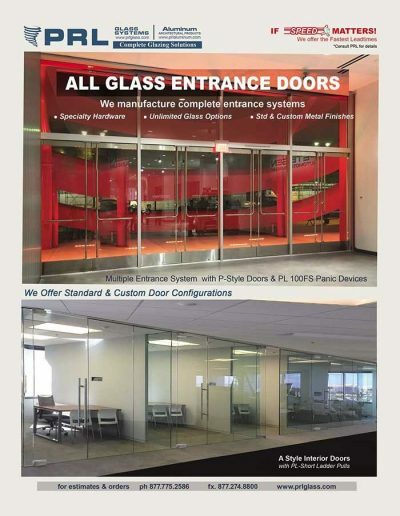 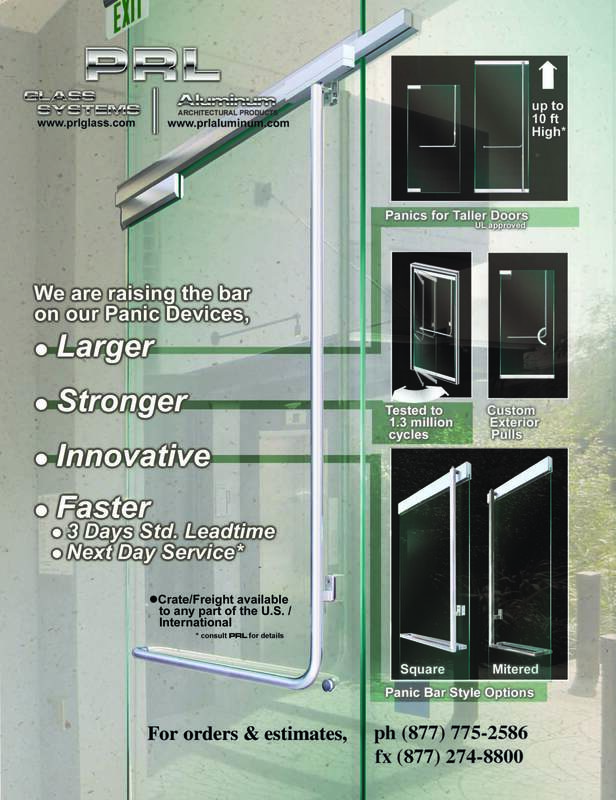 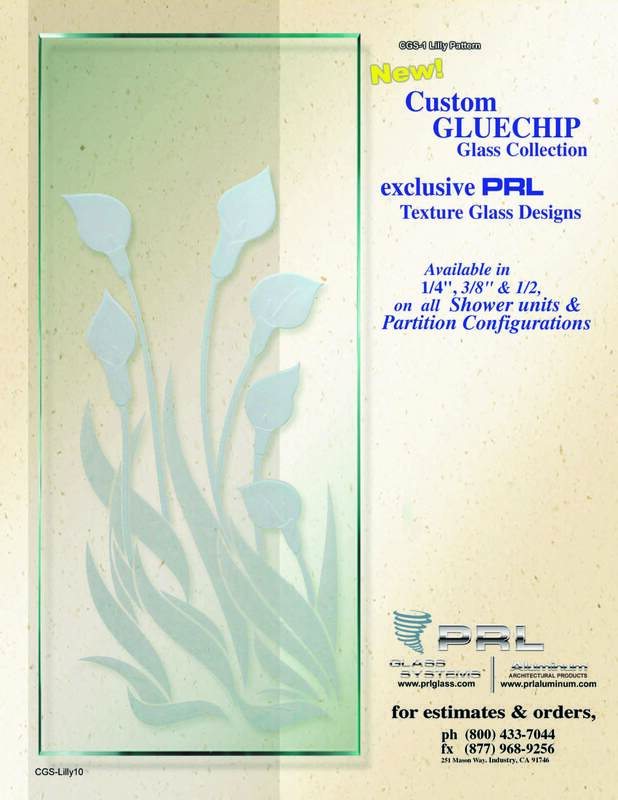 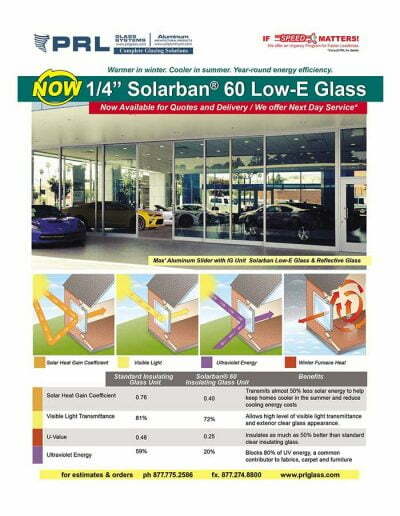 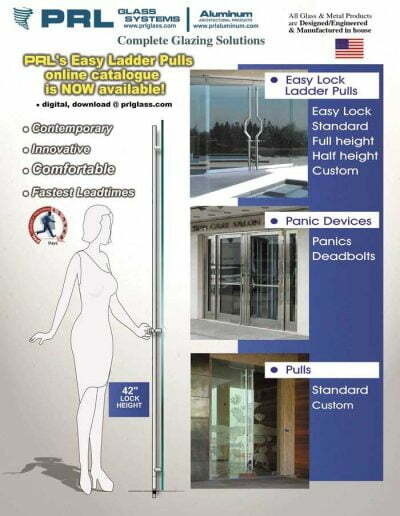 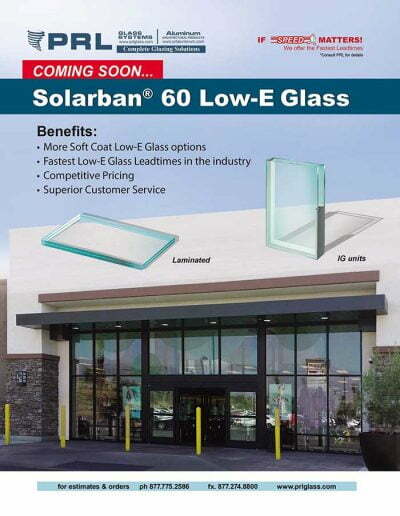 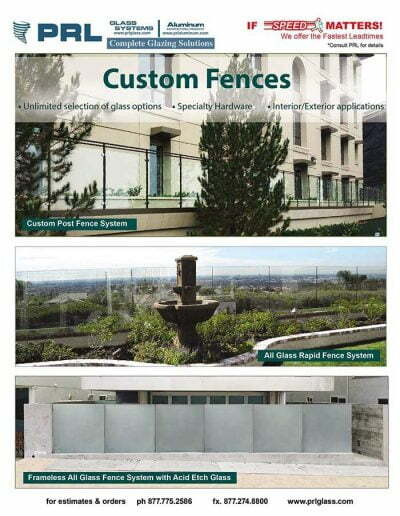 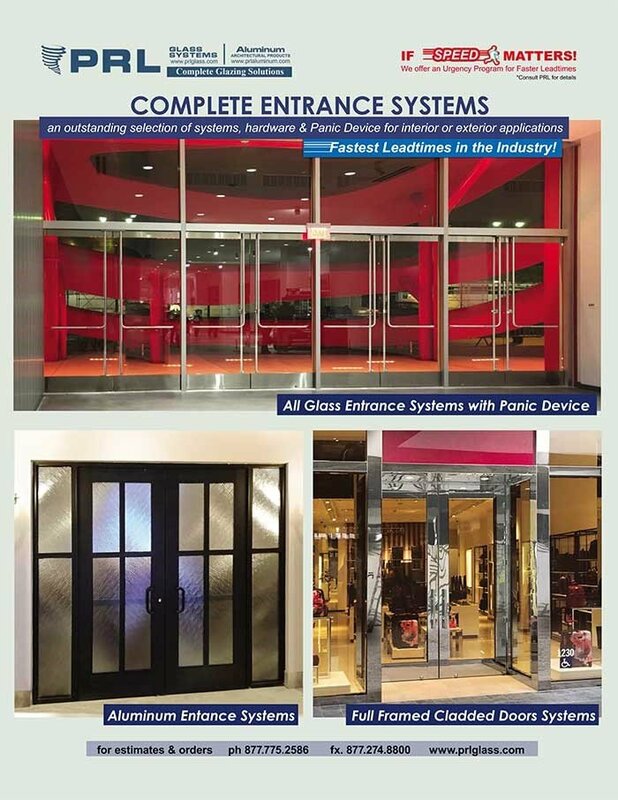 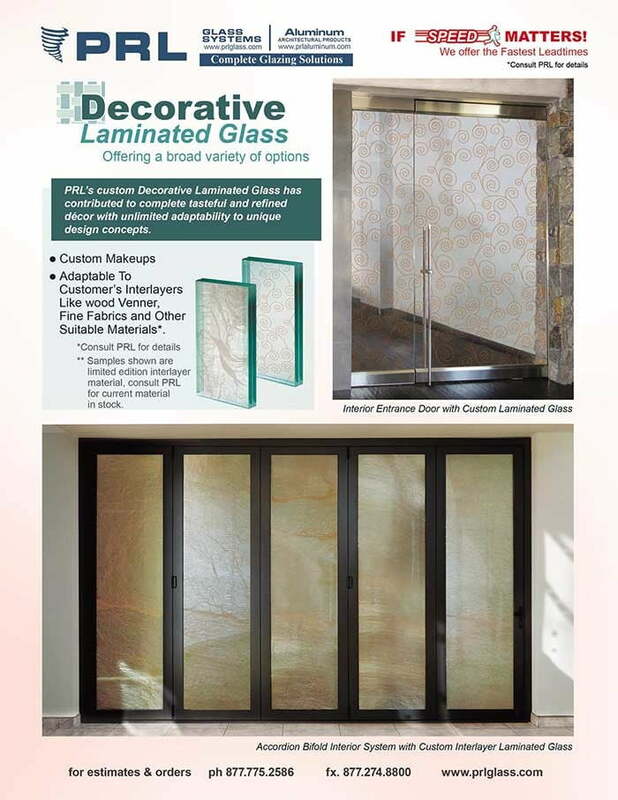 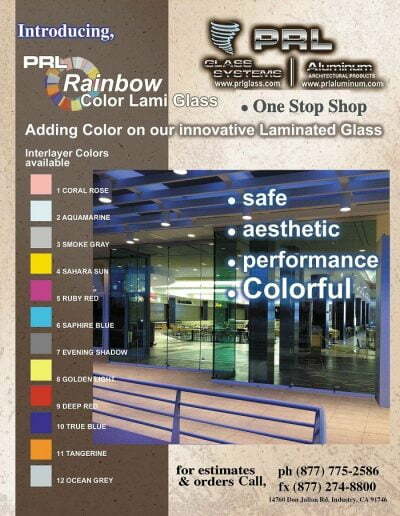 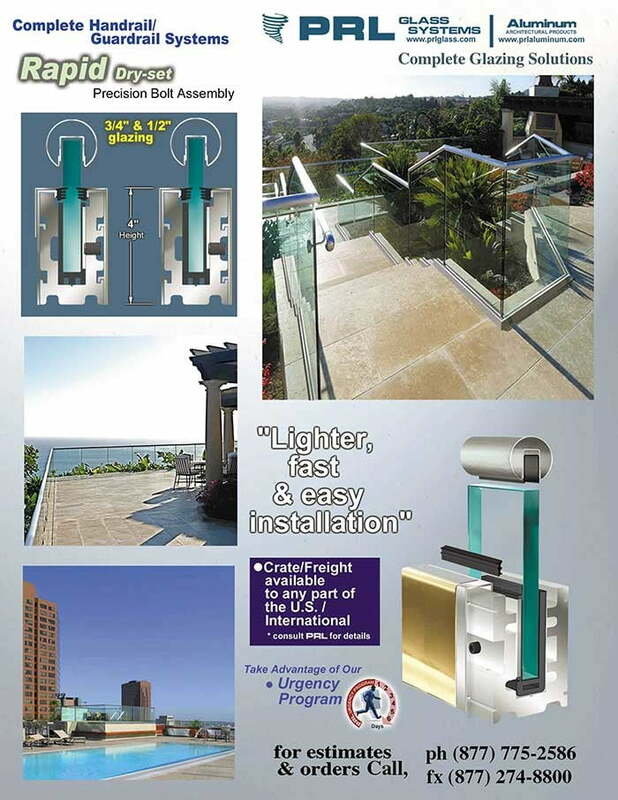 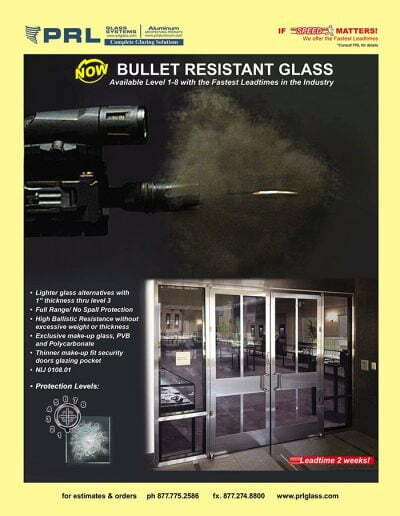 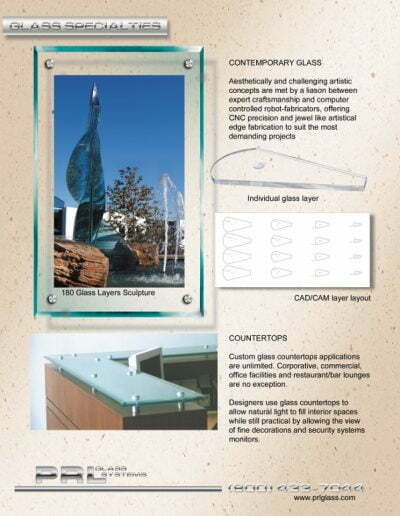 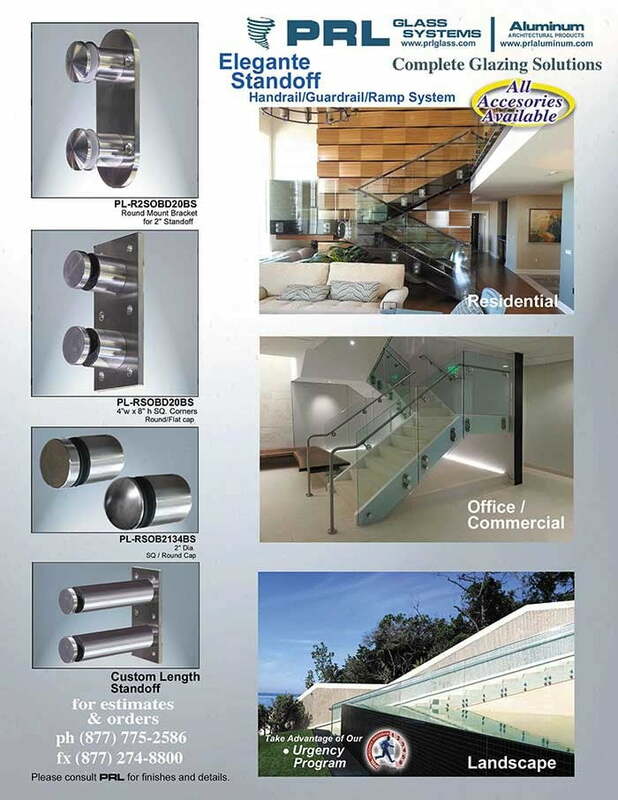 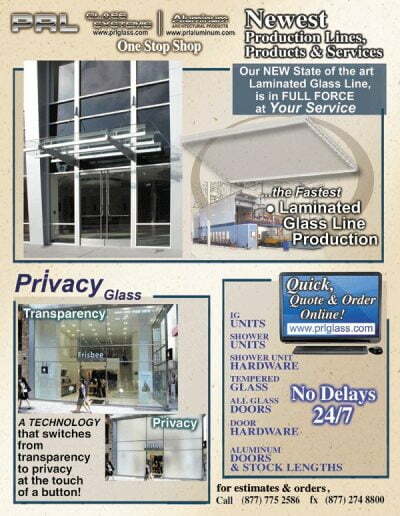 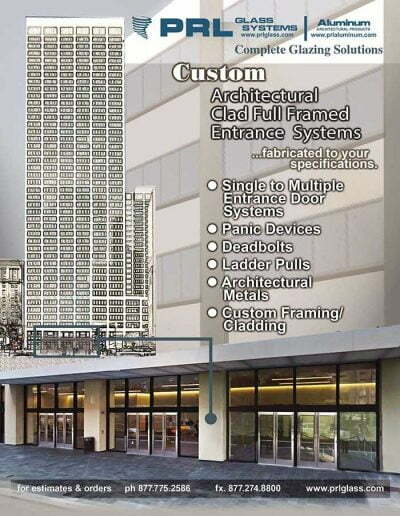 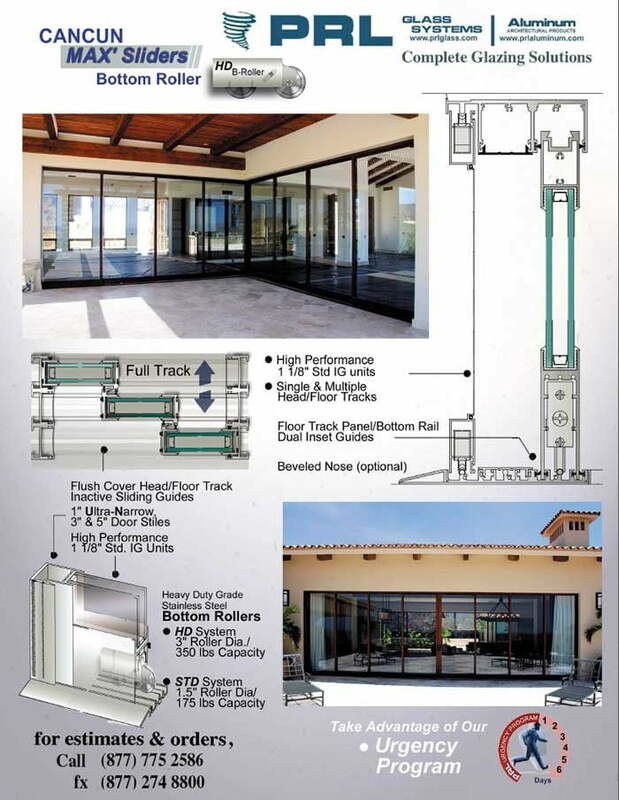 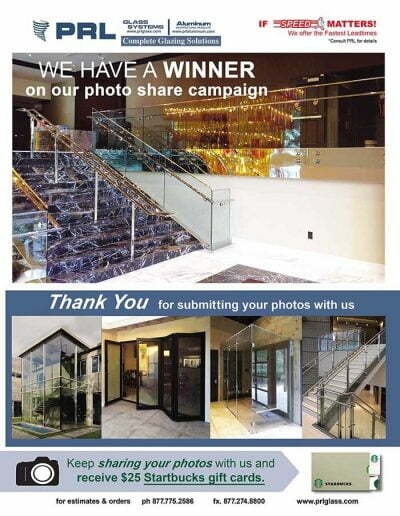 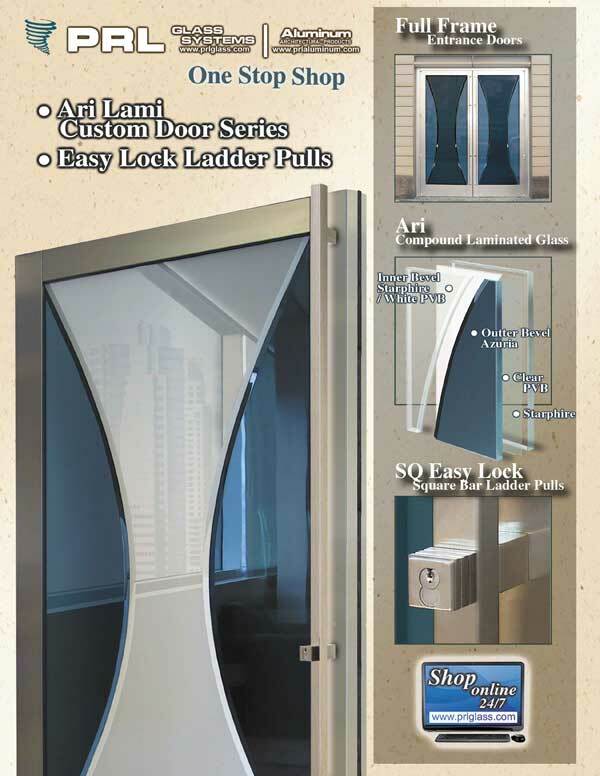 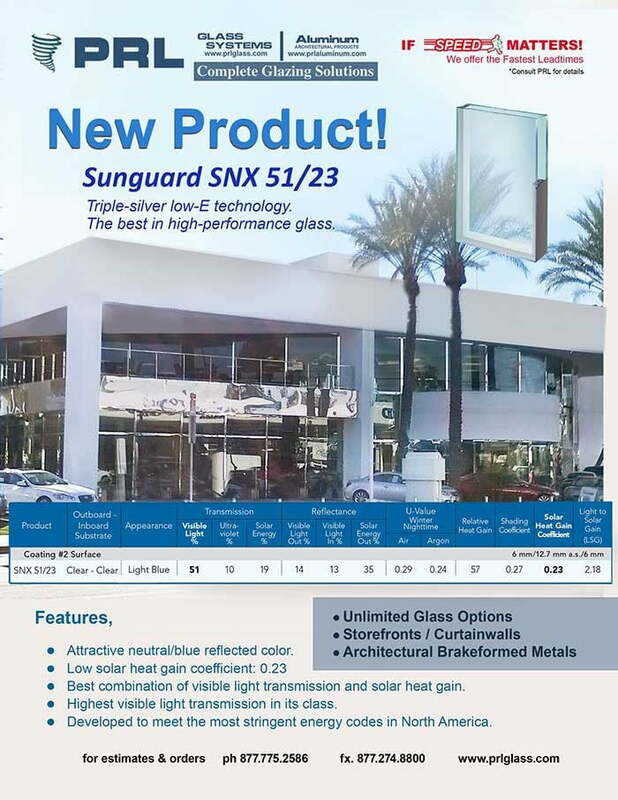 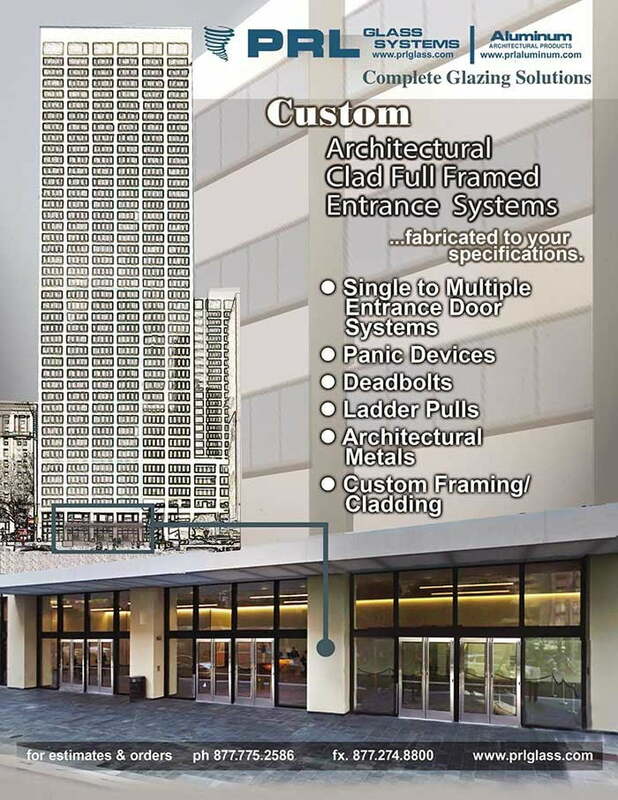 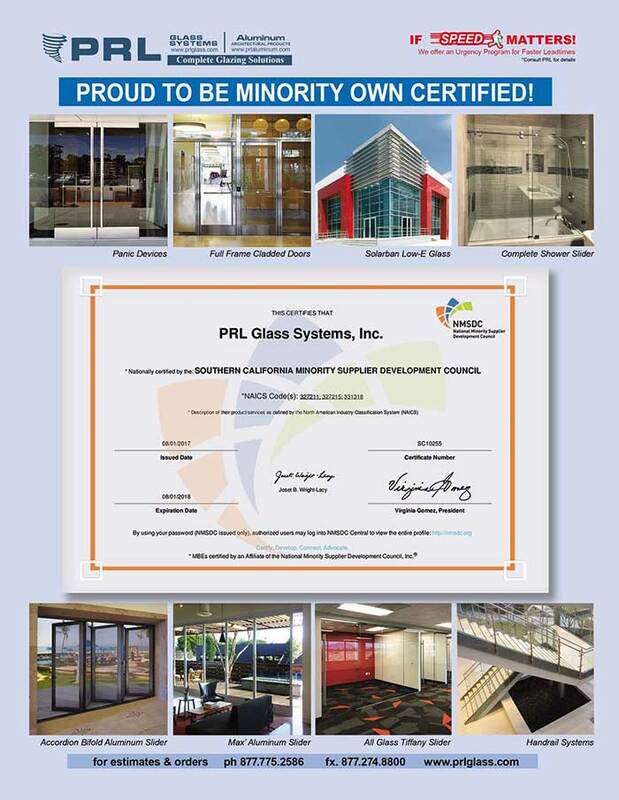 PRL offers complete custom architectural metal products for entrance systems. 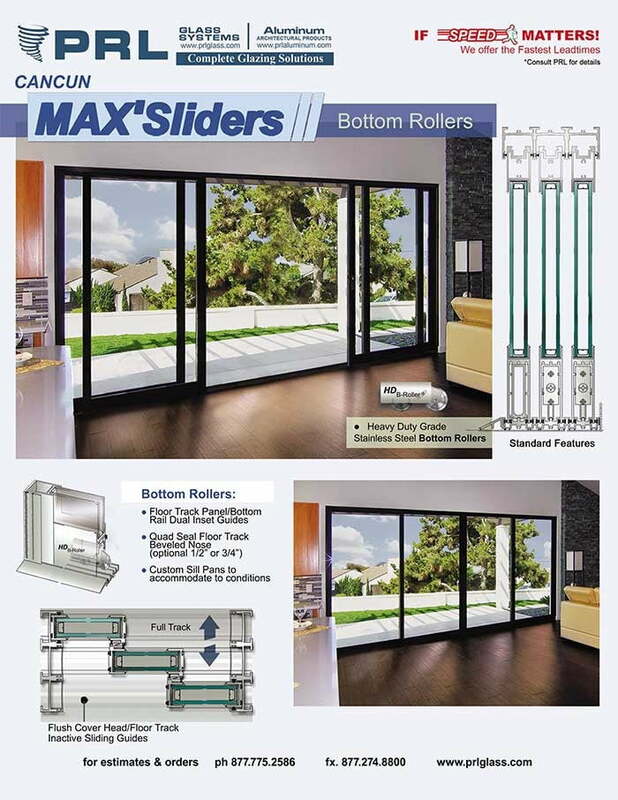 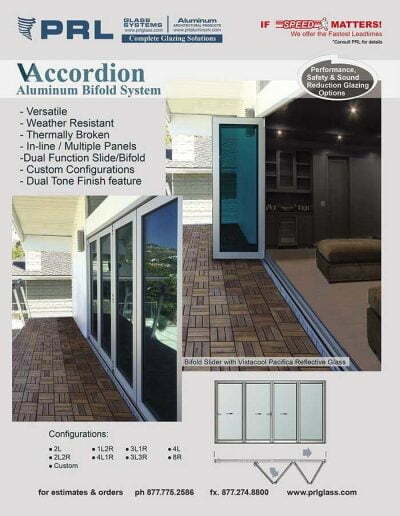 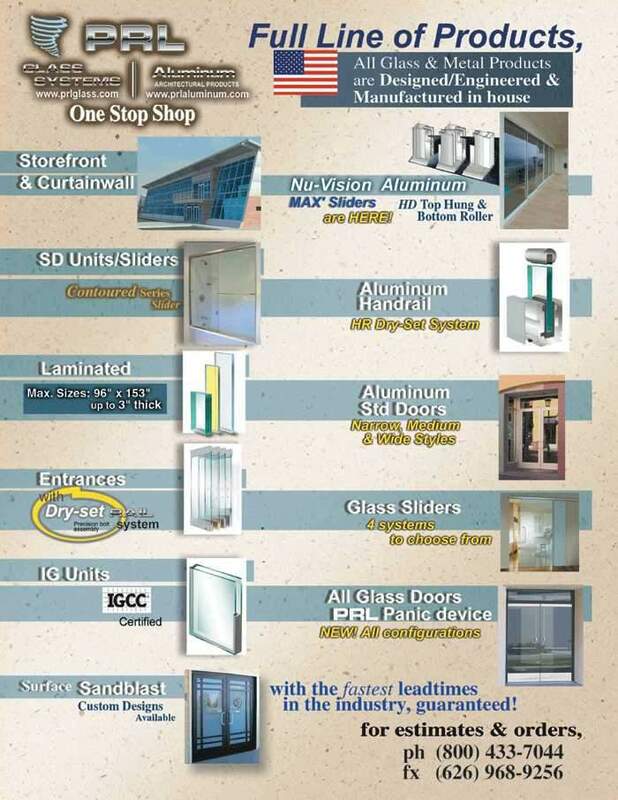 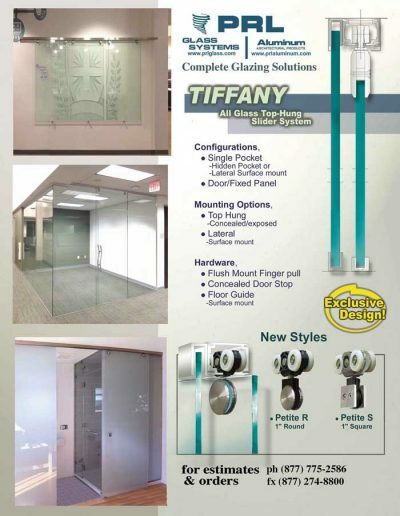 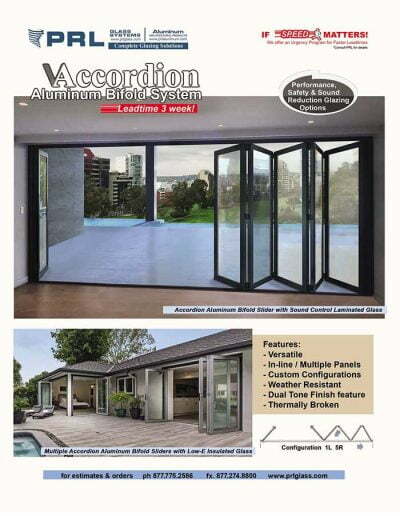 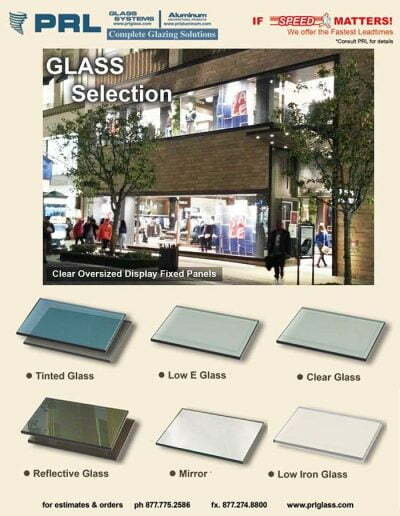 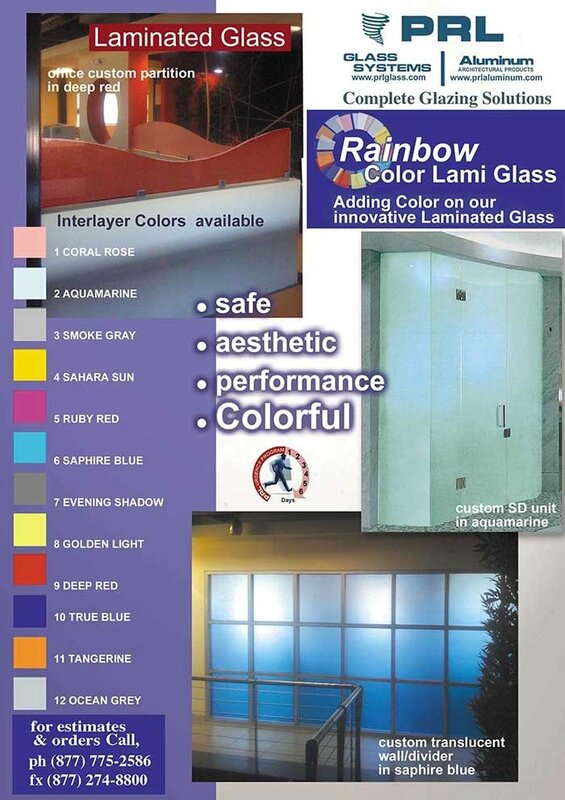 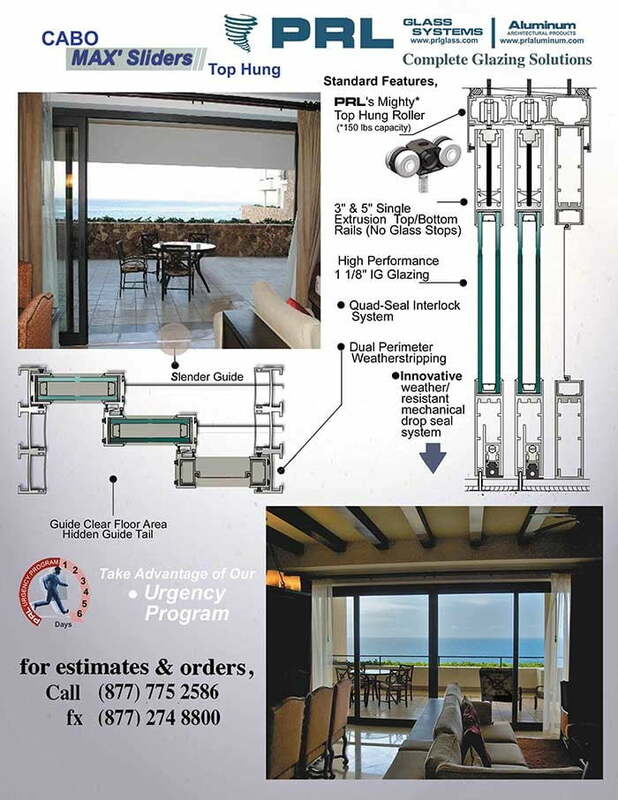 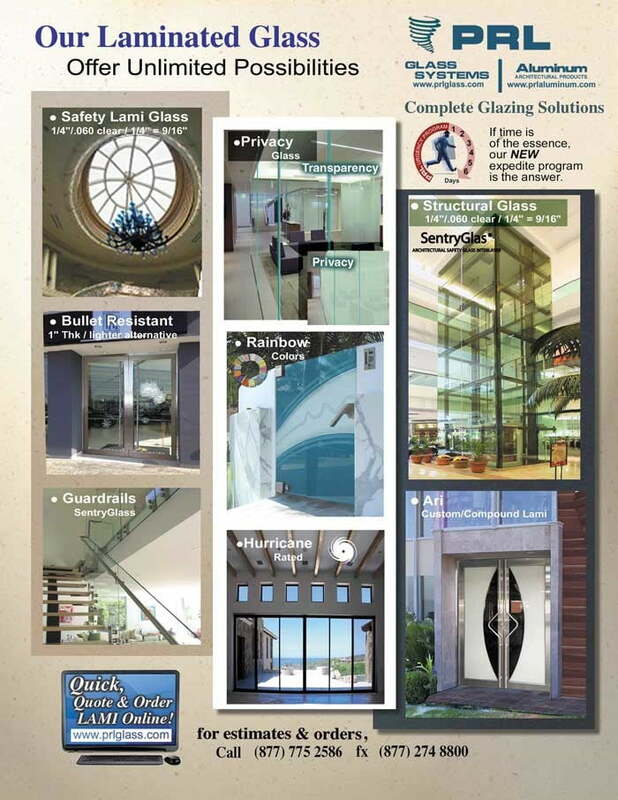 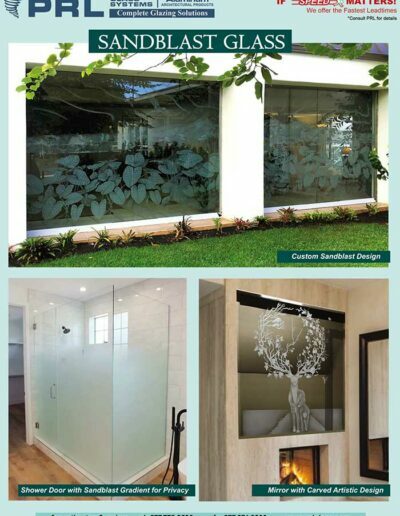 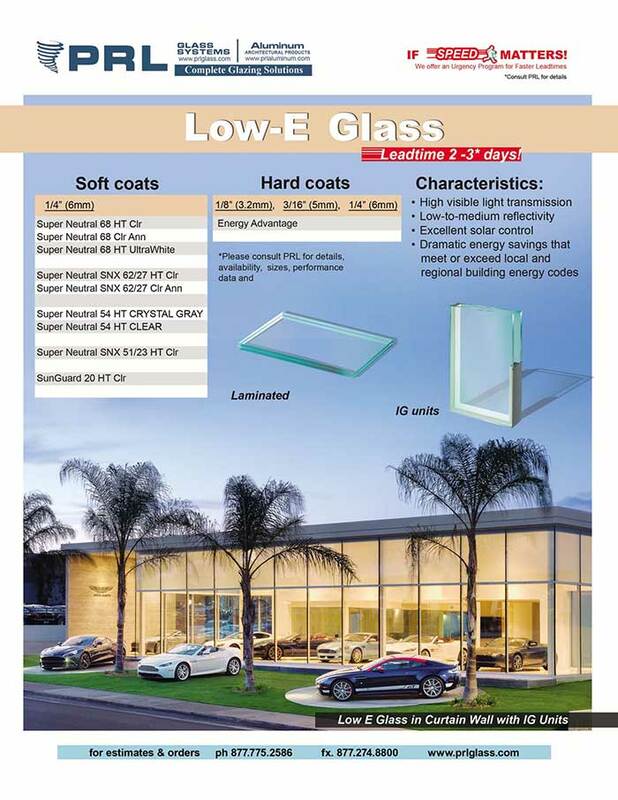 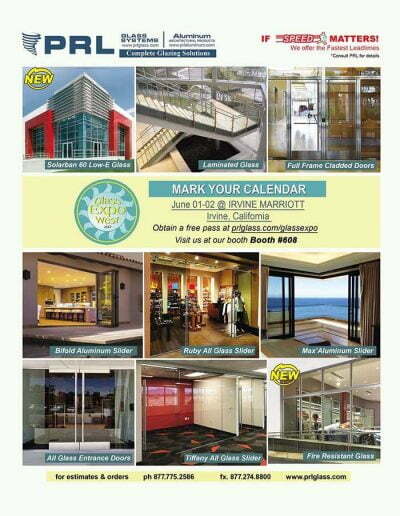 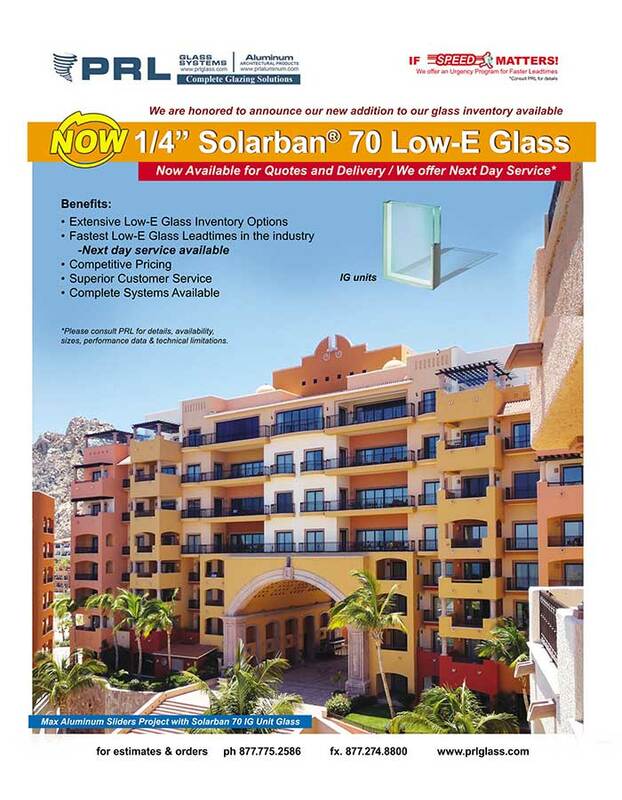 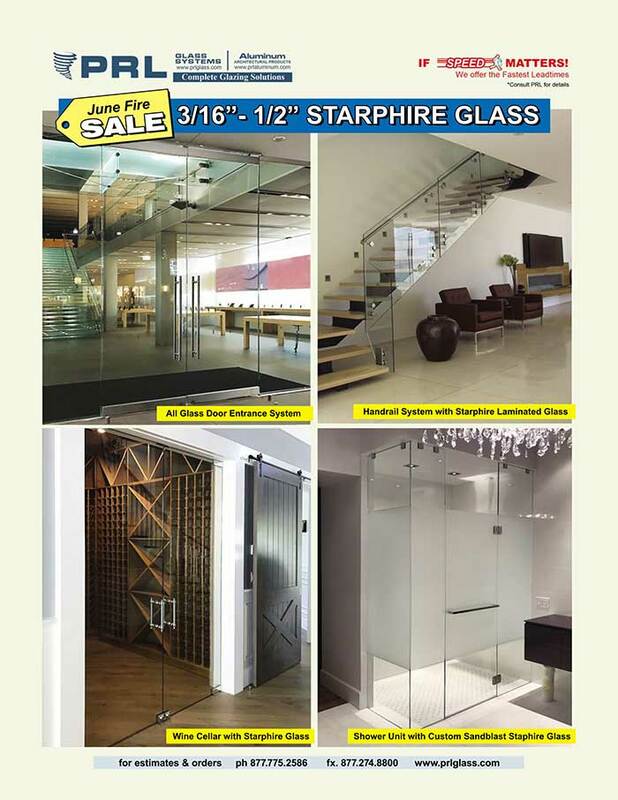 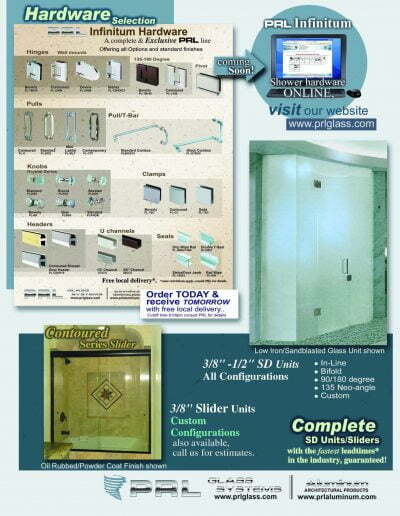 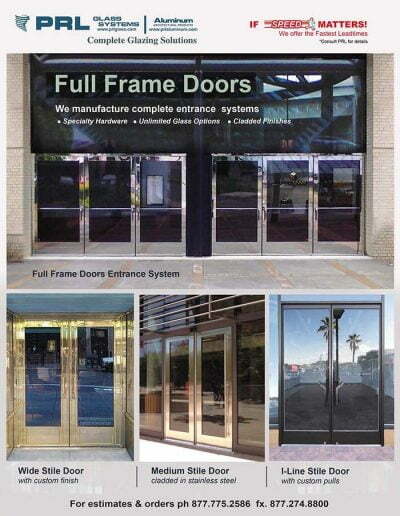 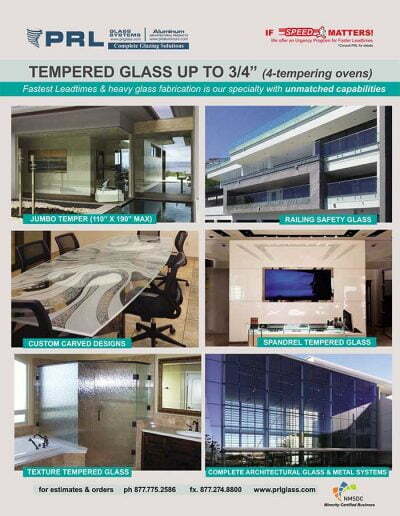 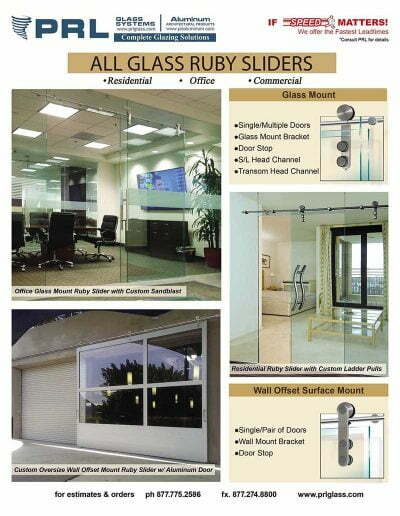 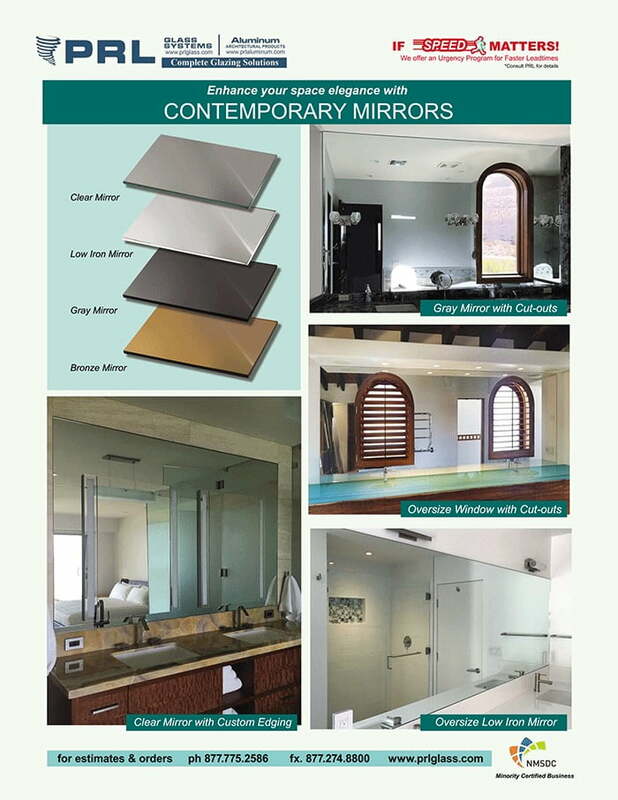 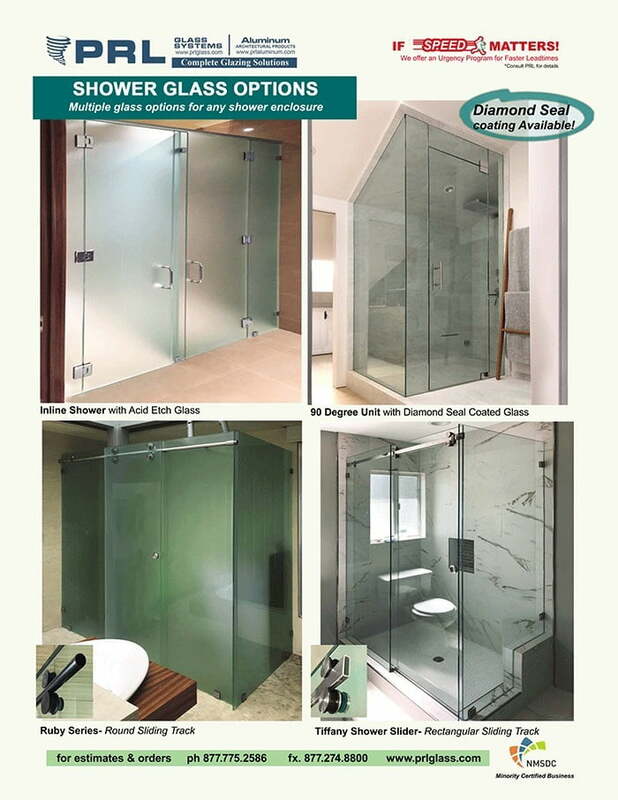 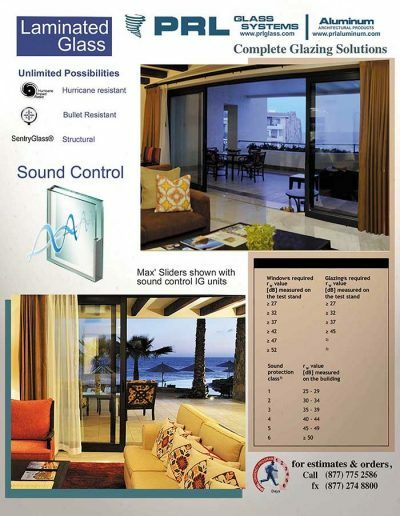 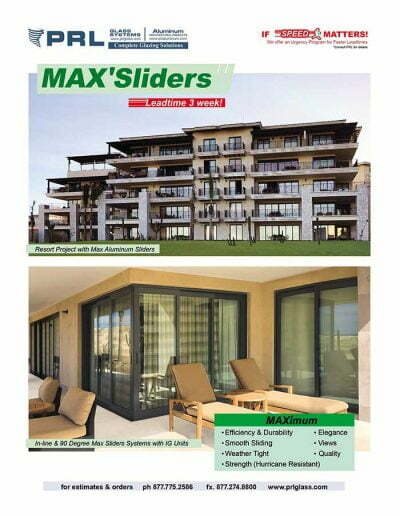 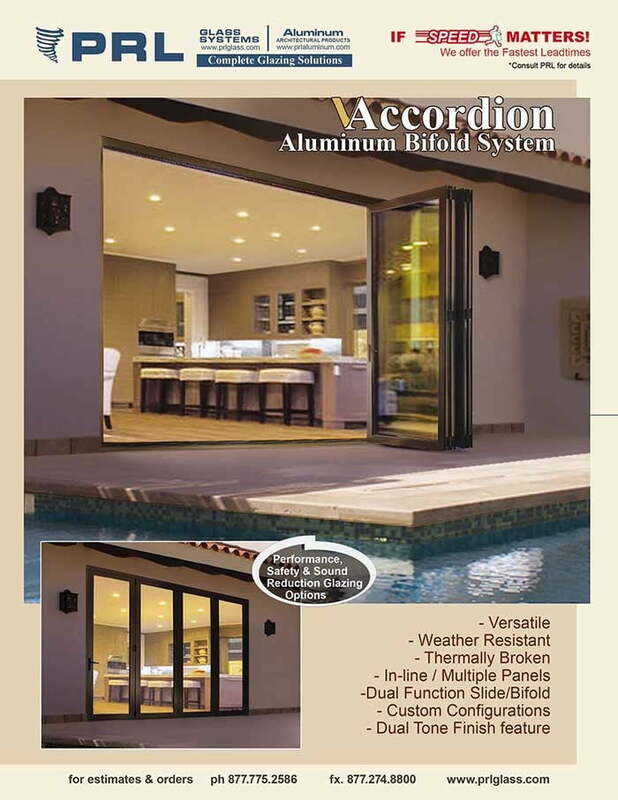 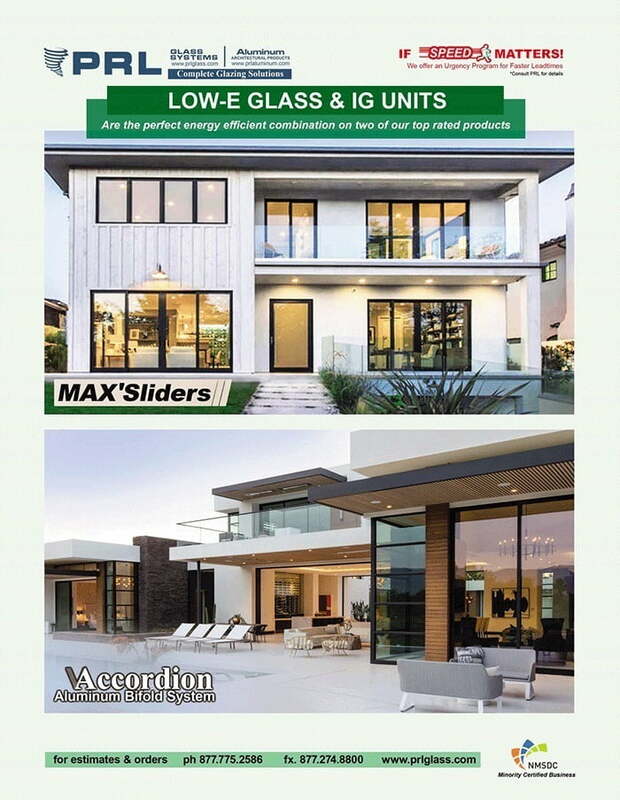 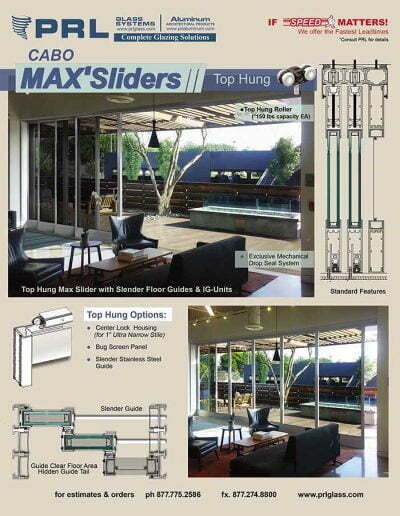 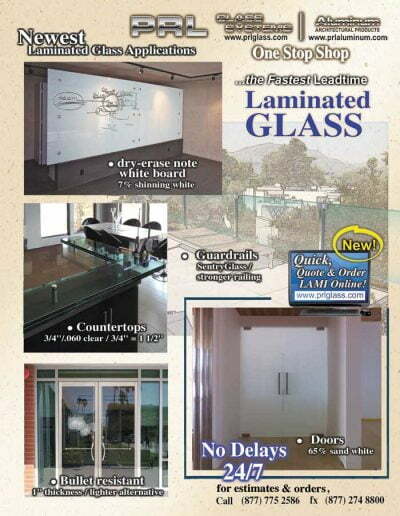 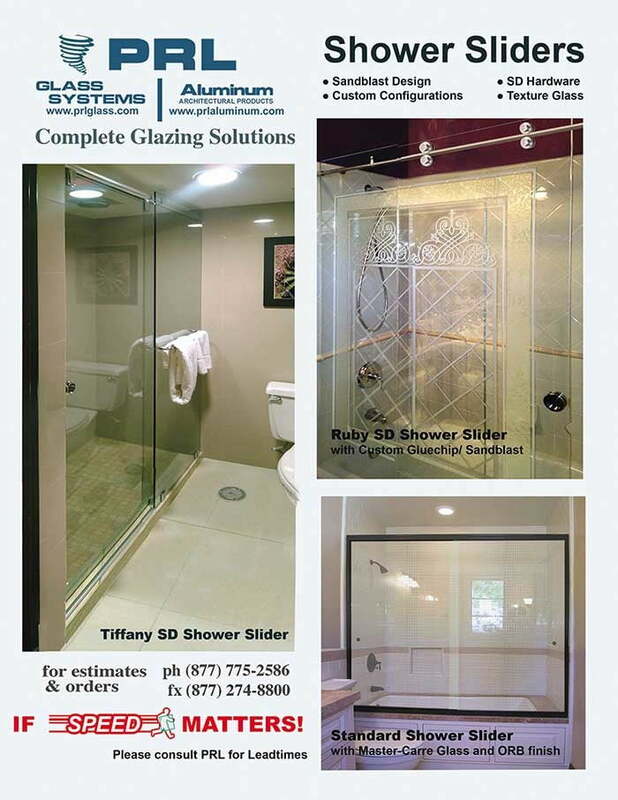 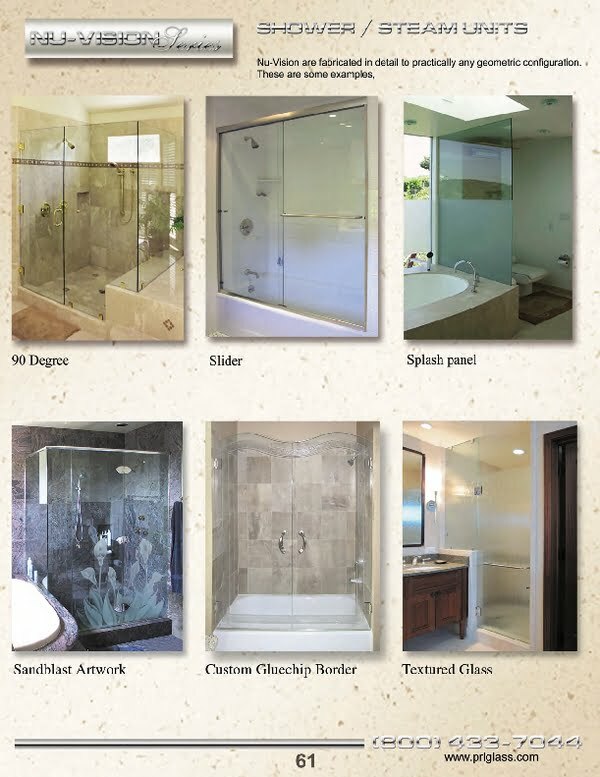 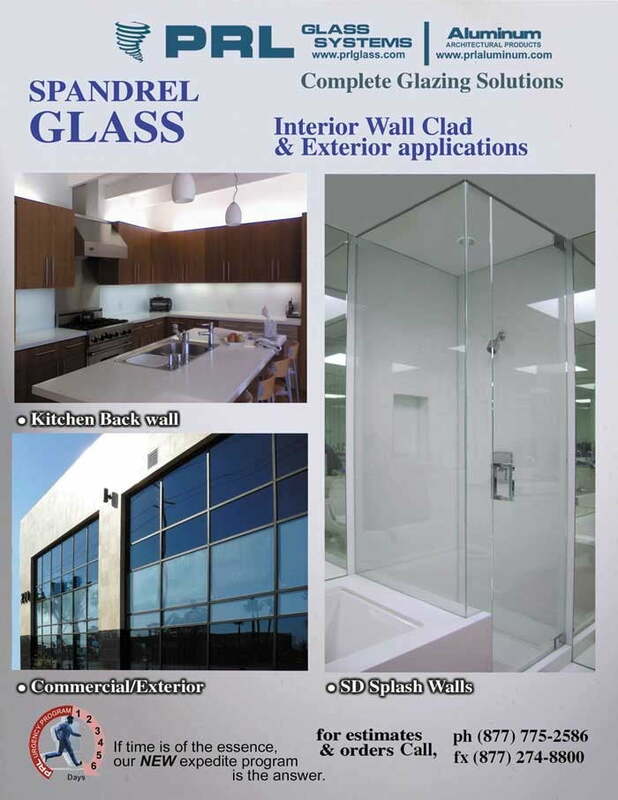 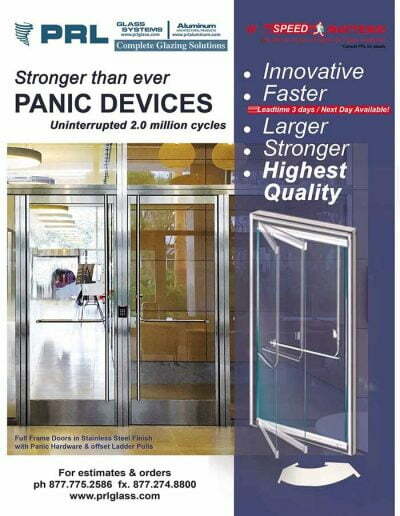 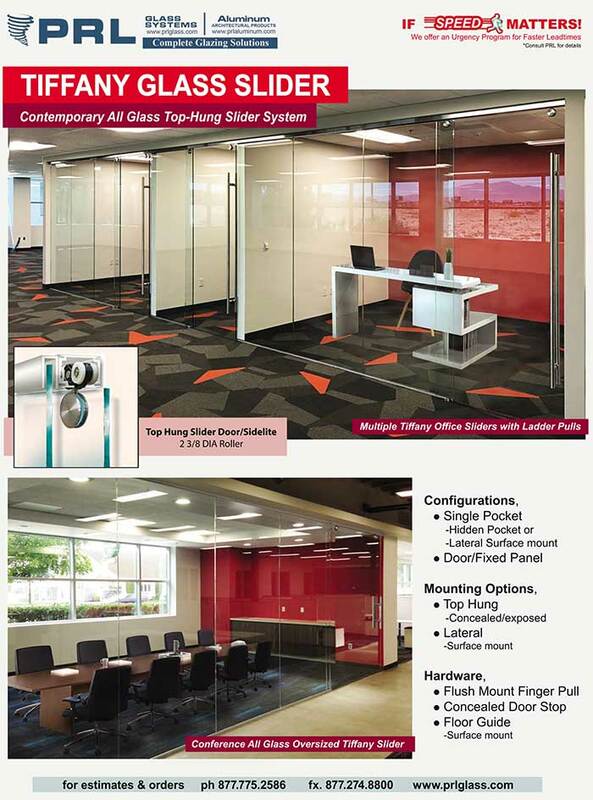 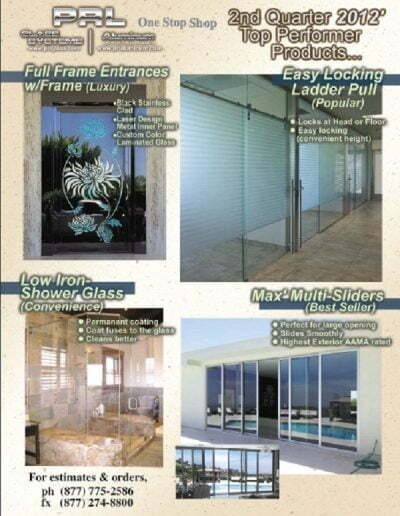 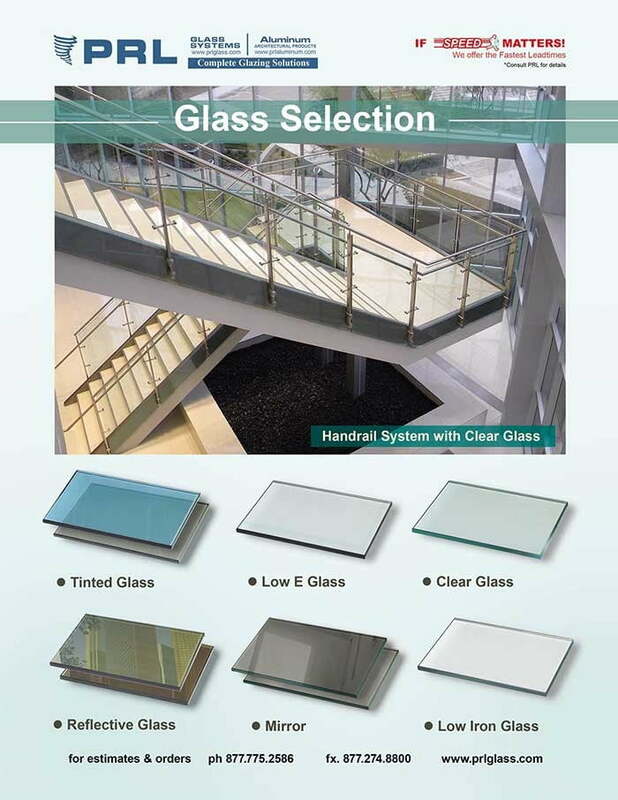 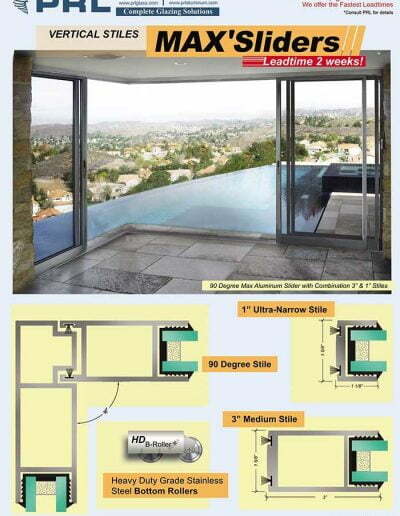 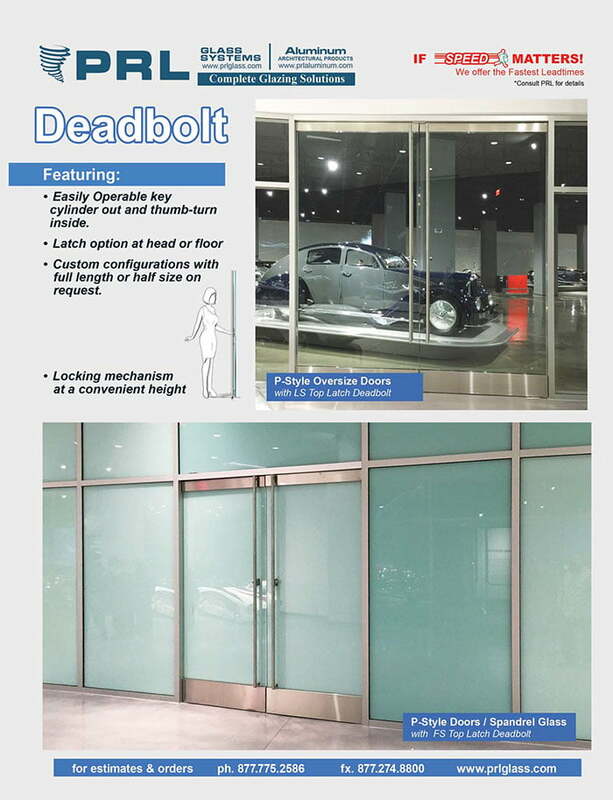 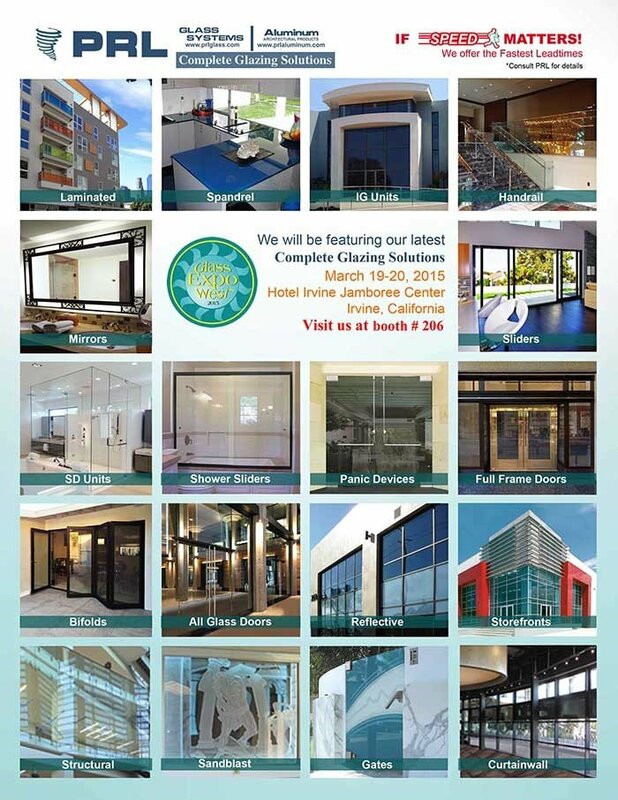 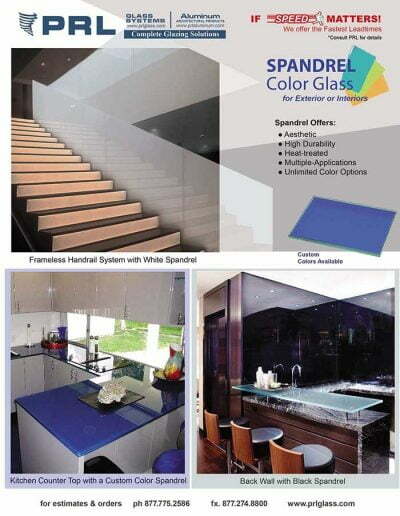 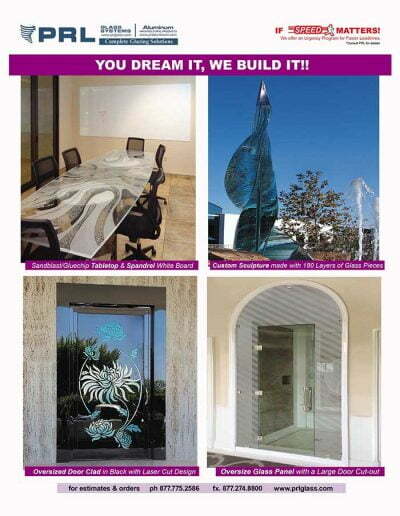 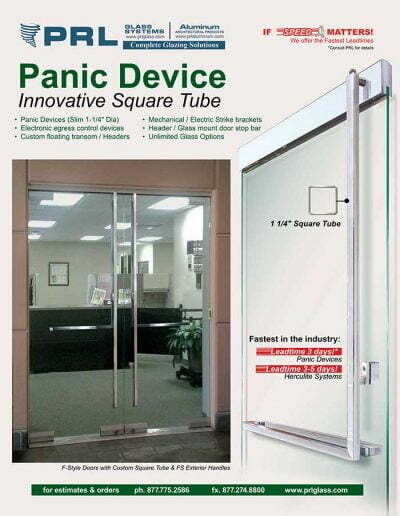 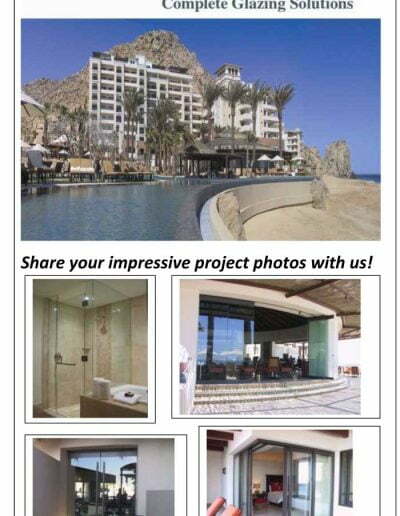 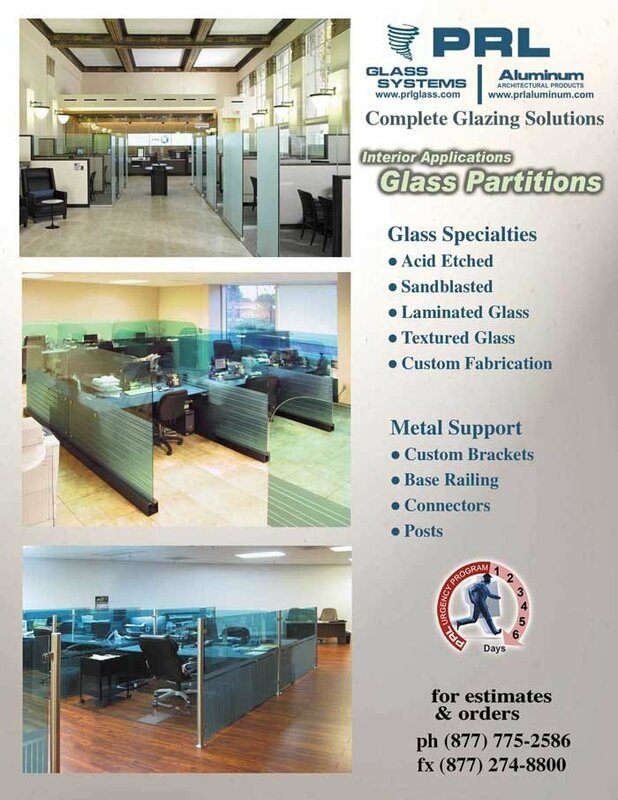 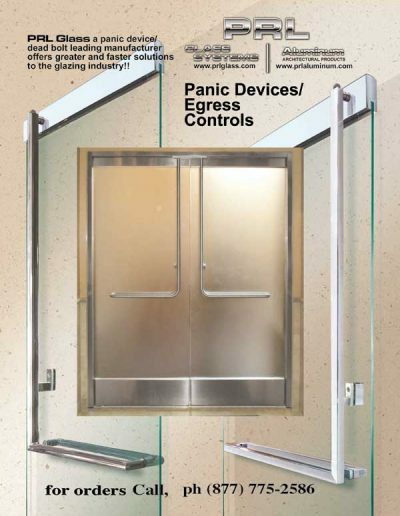 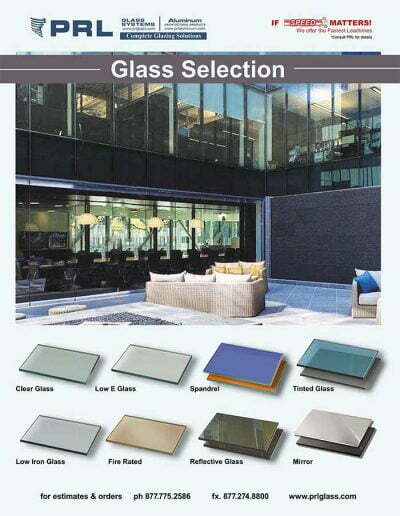 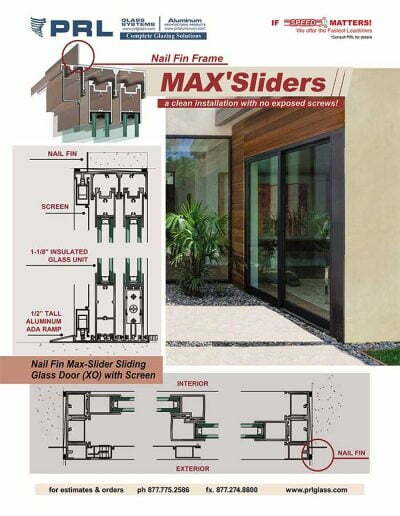 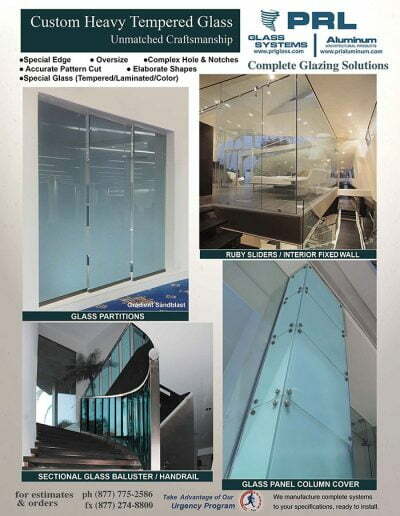 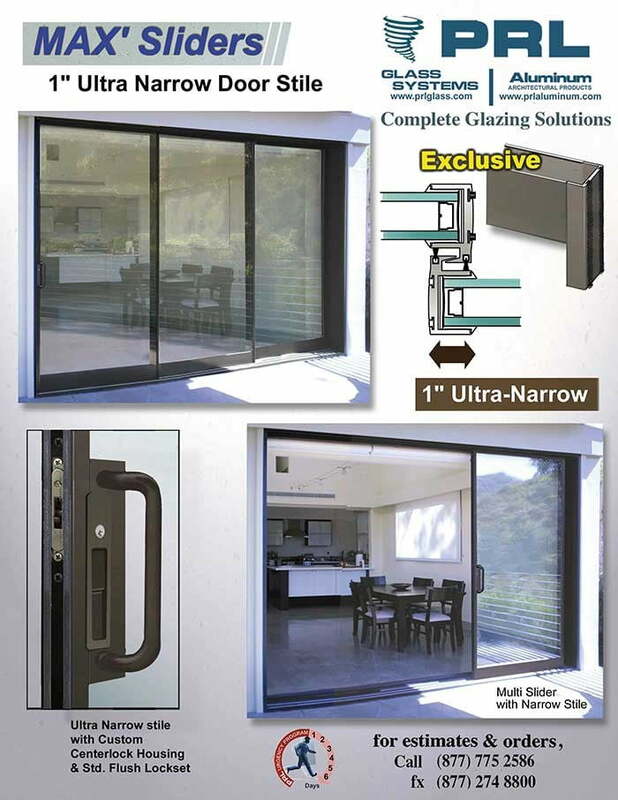 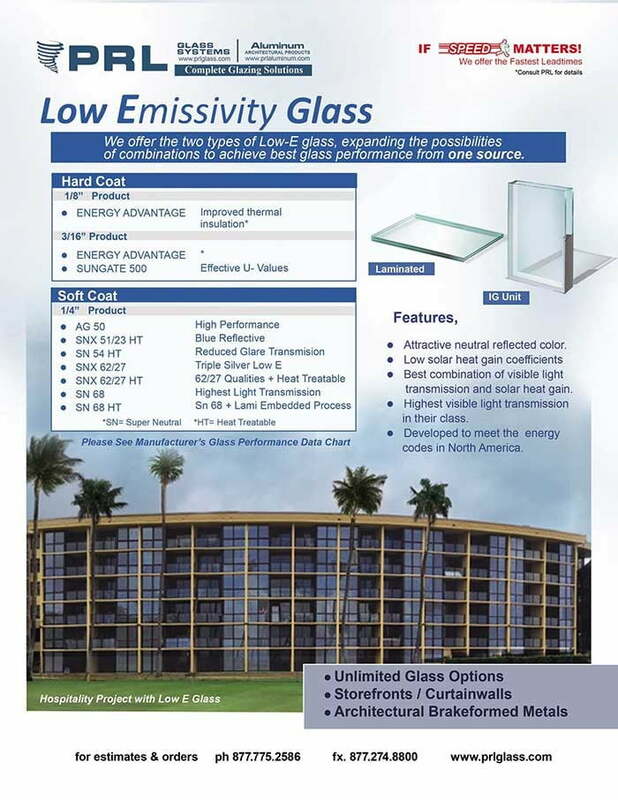 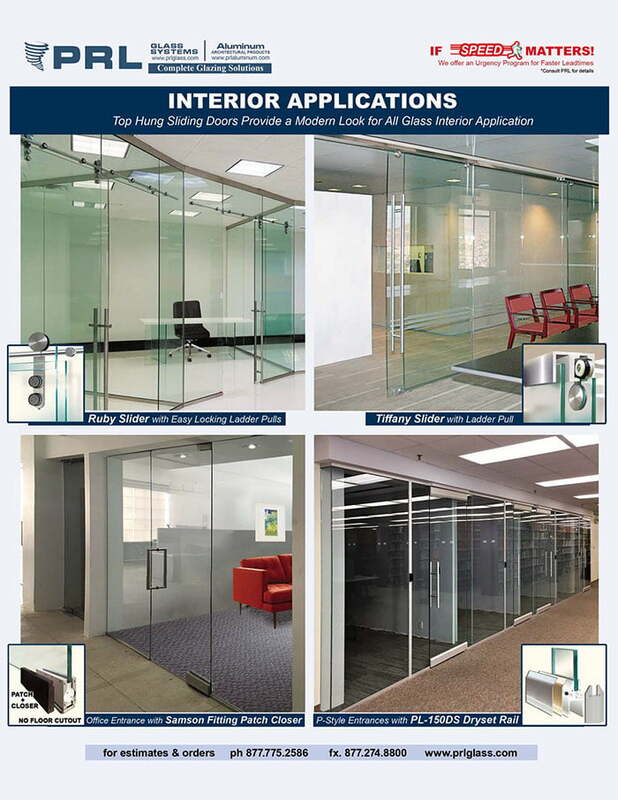 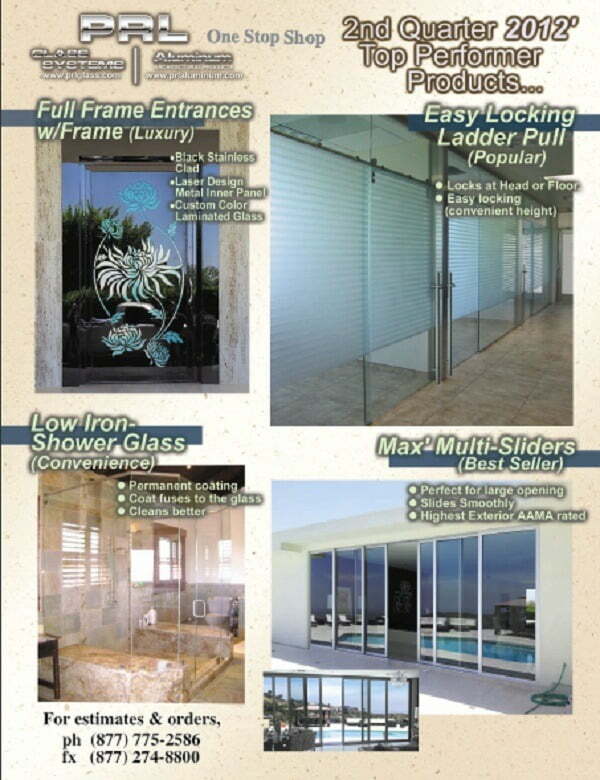 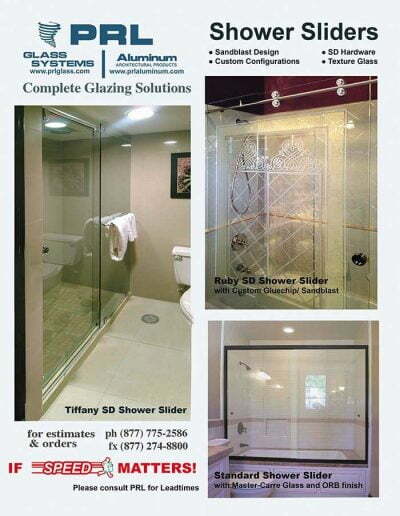 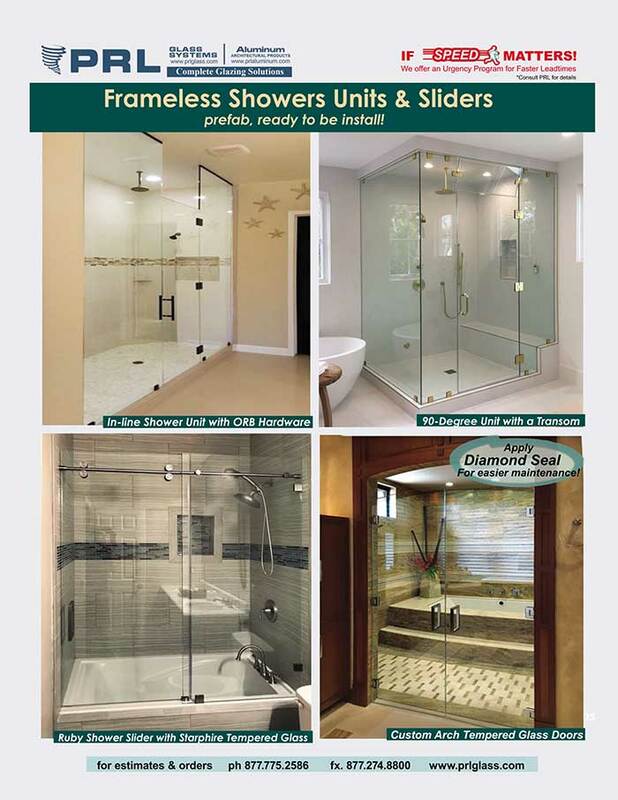 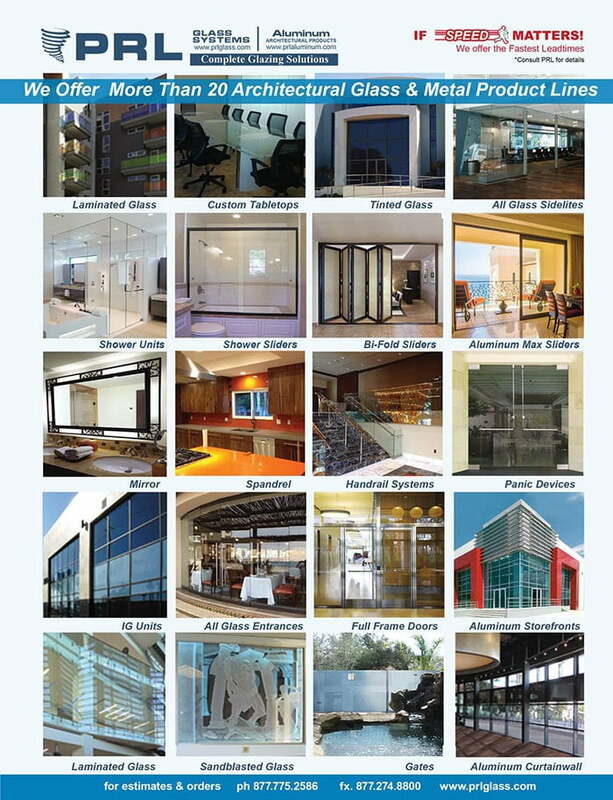 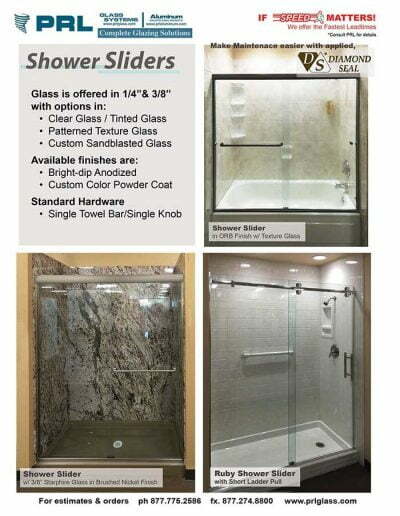 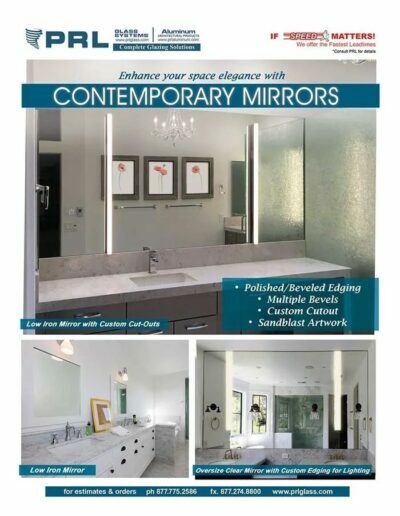 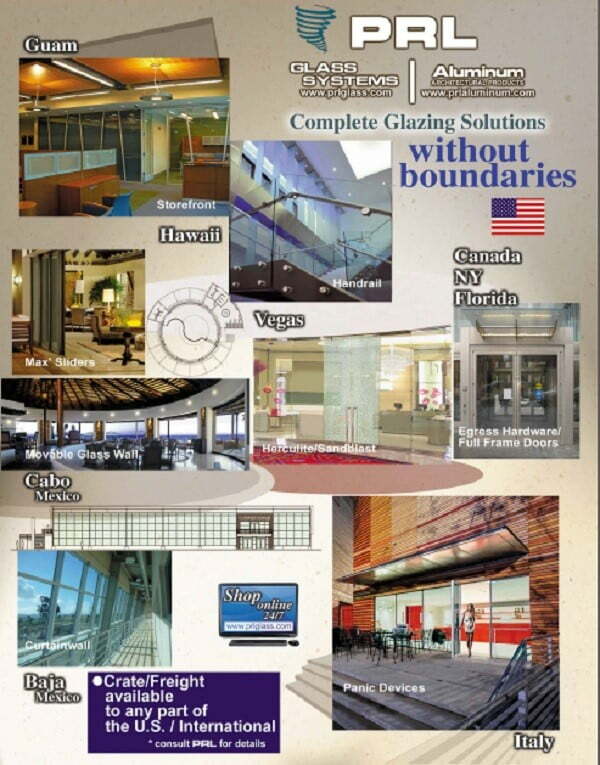 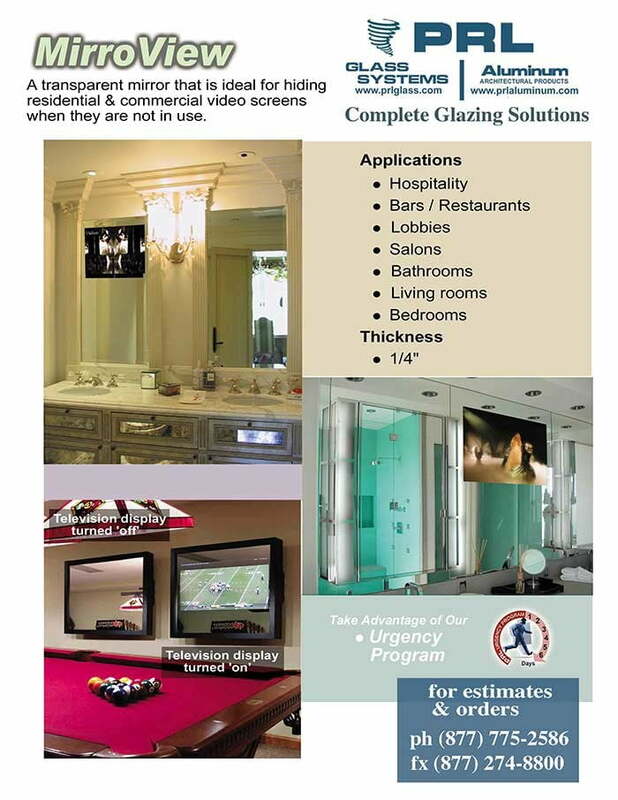 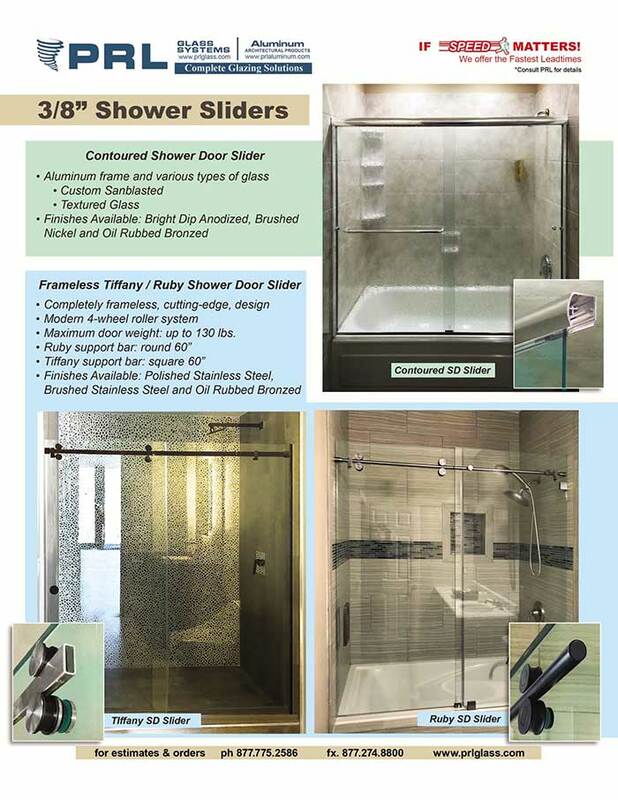 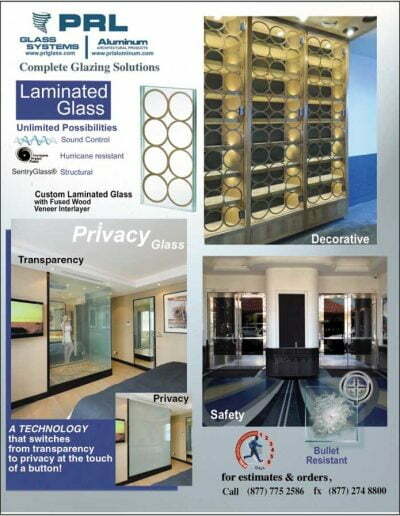 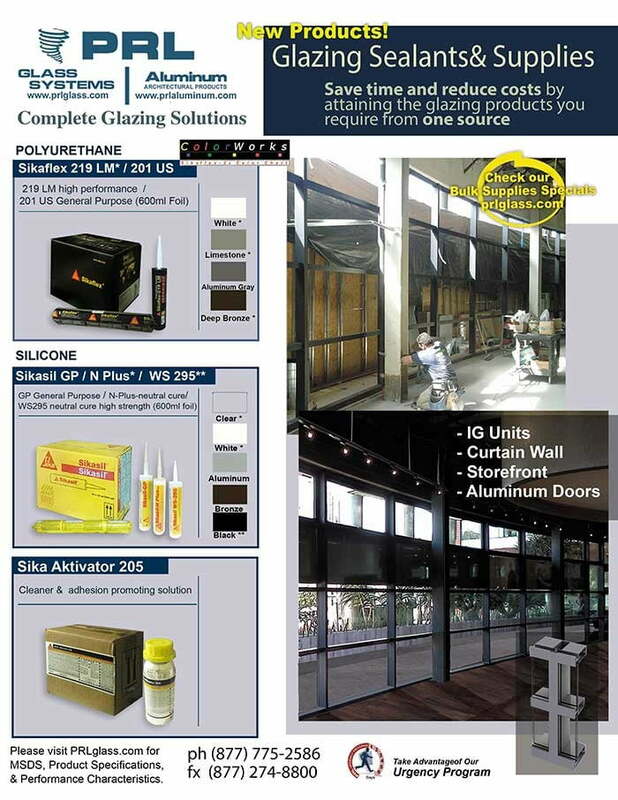 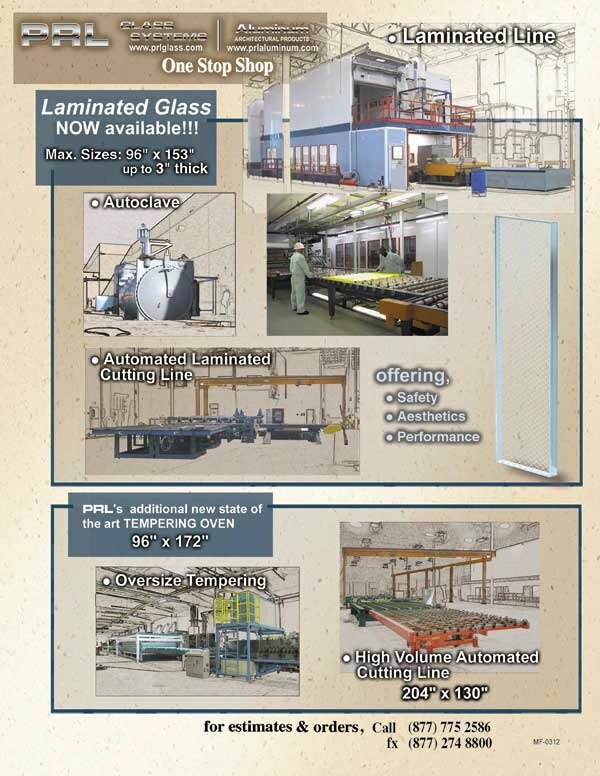 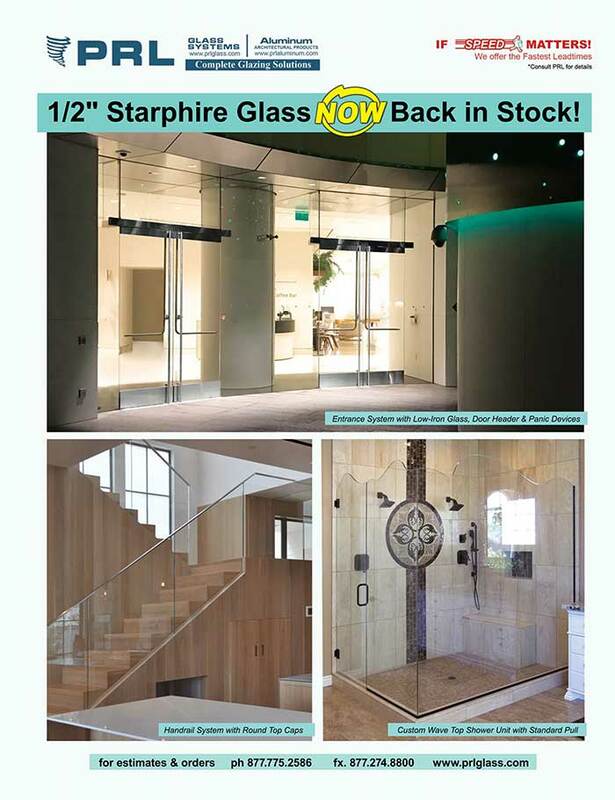 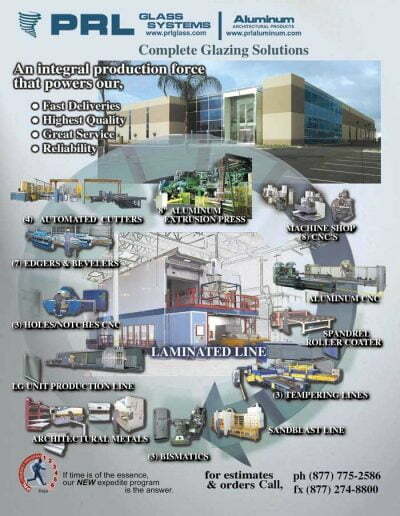 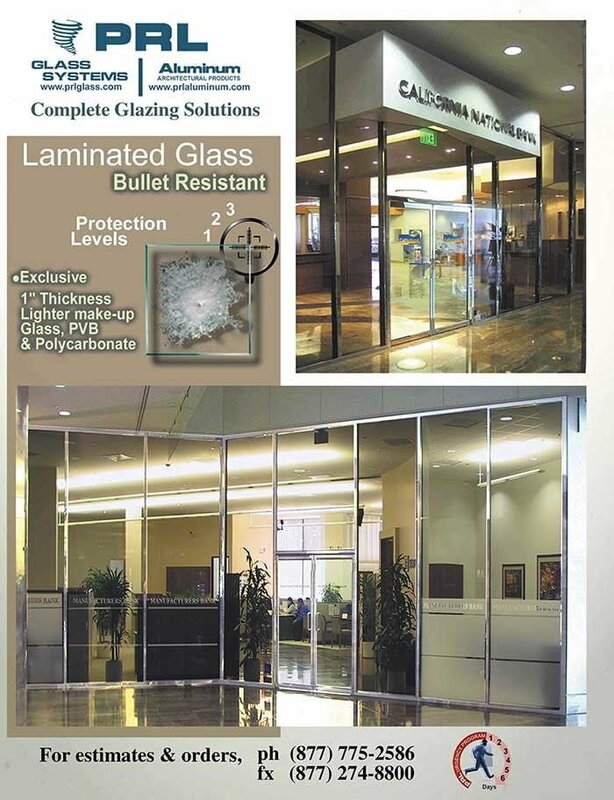 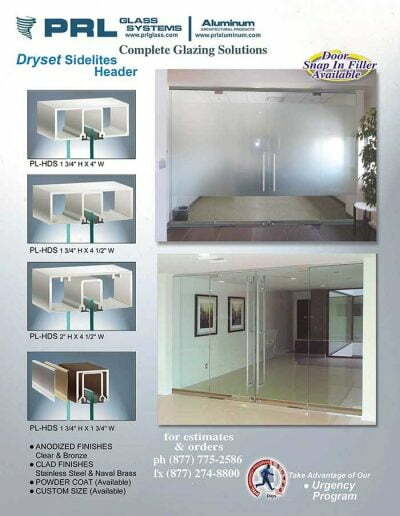 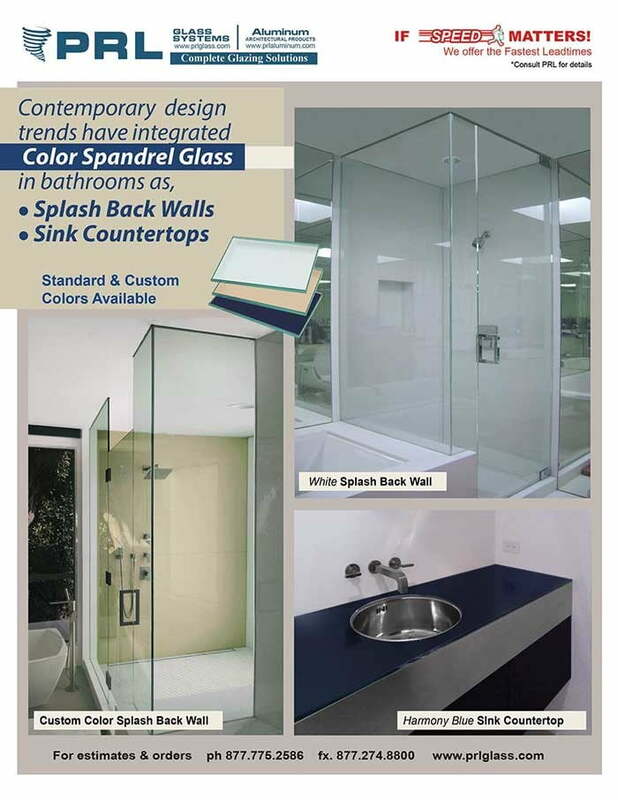 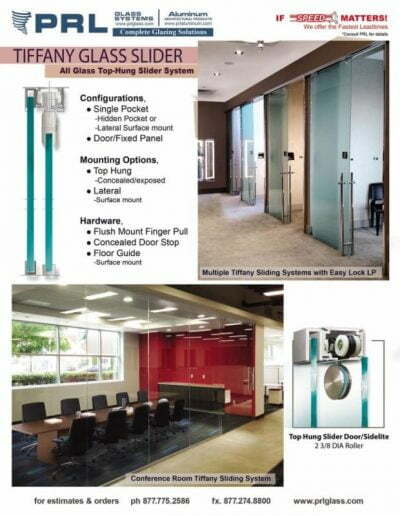 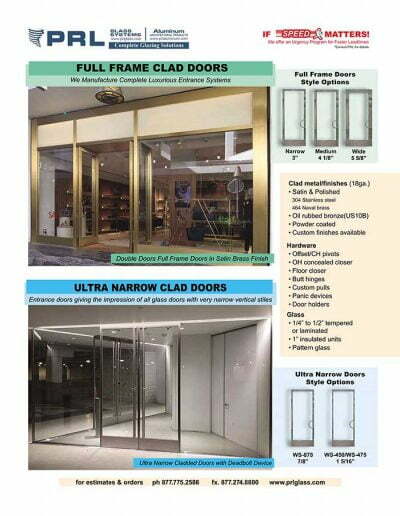 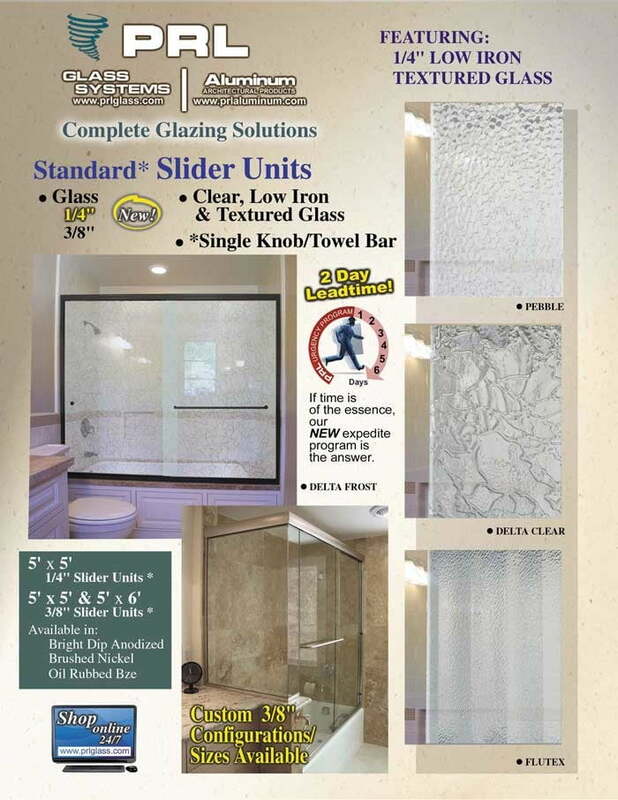 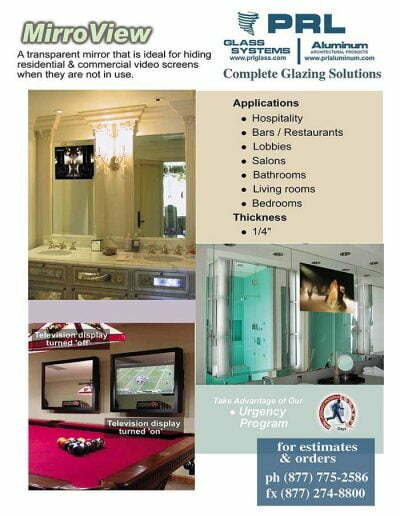 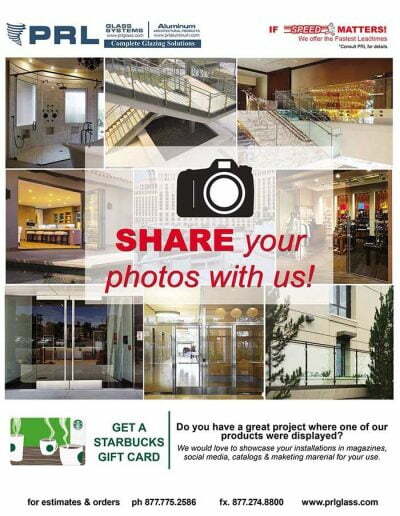 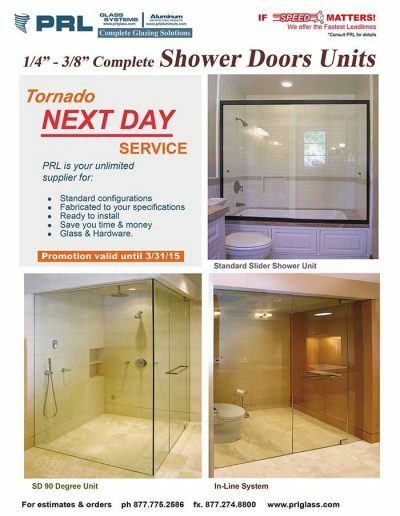 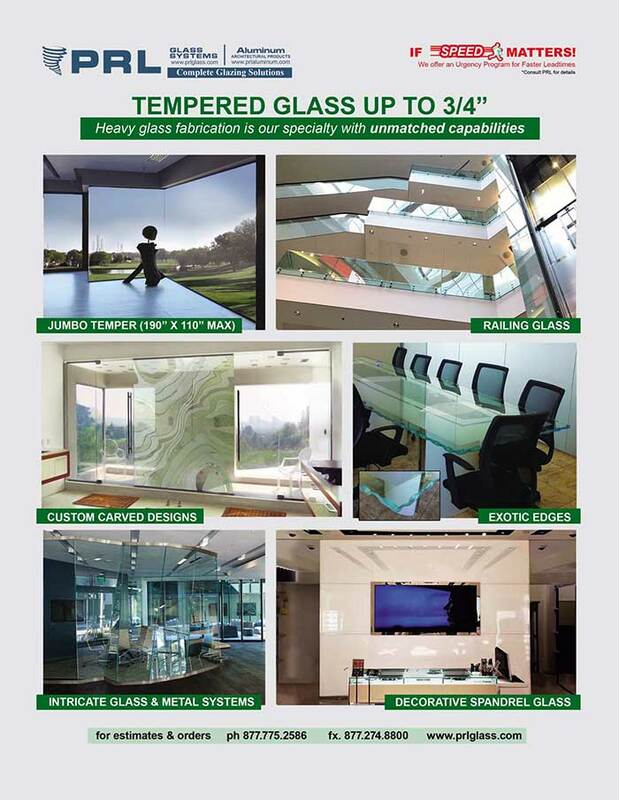 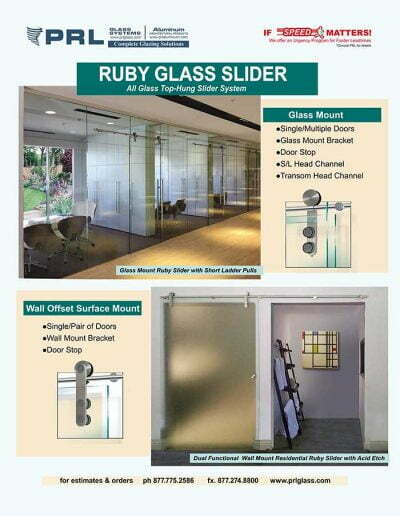 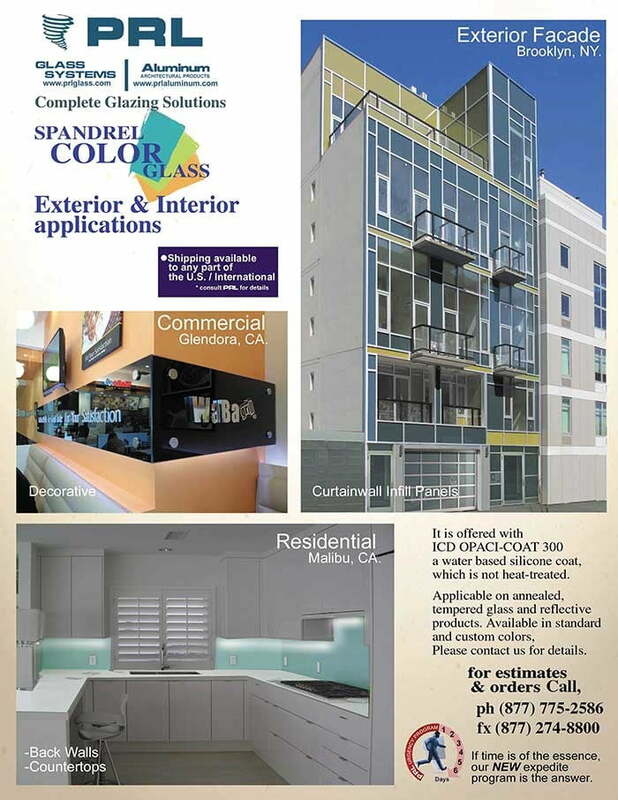 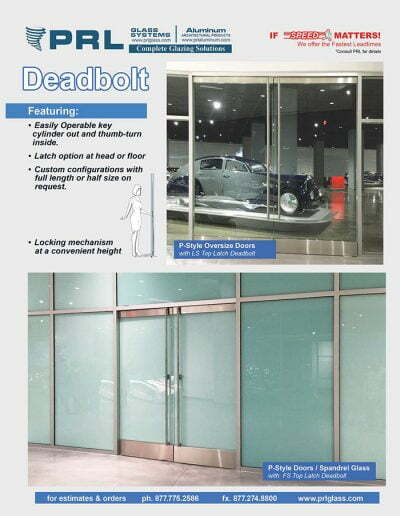 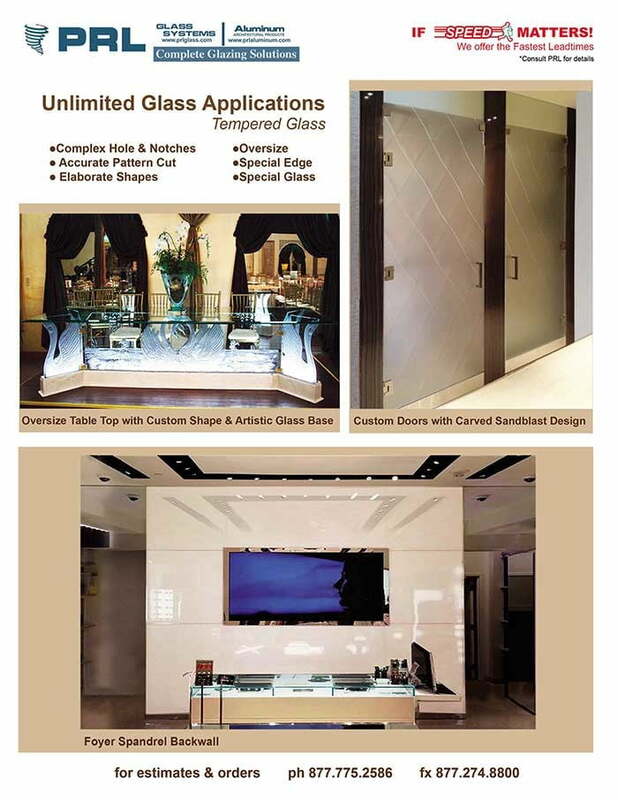 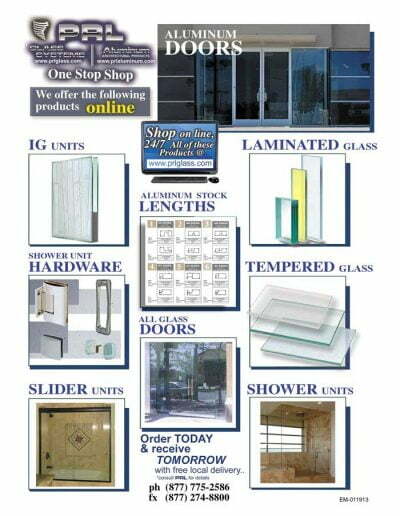 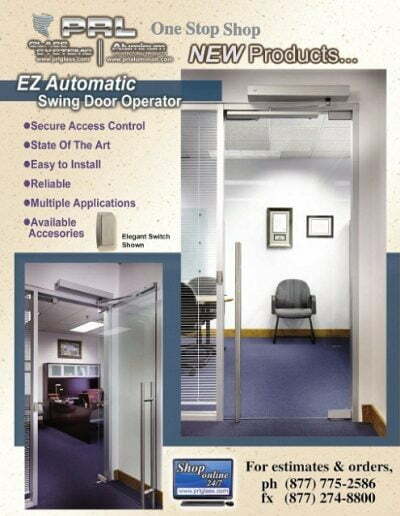 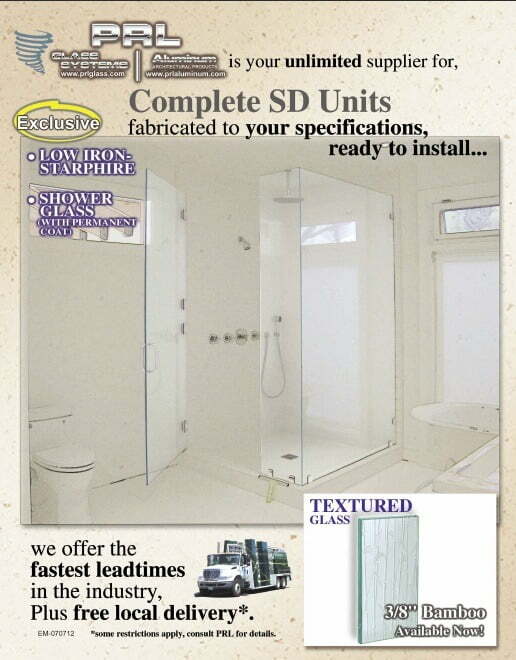 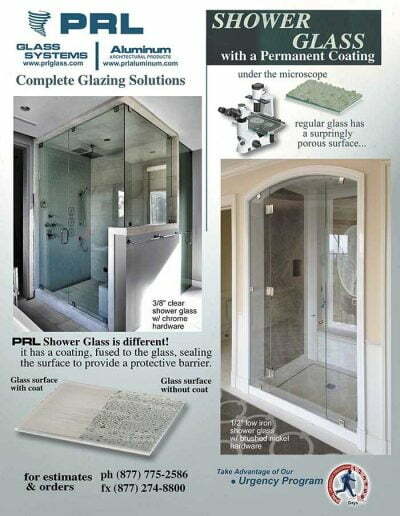 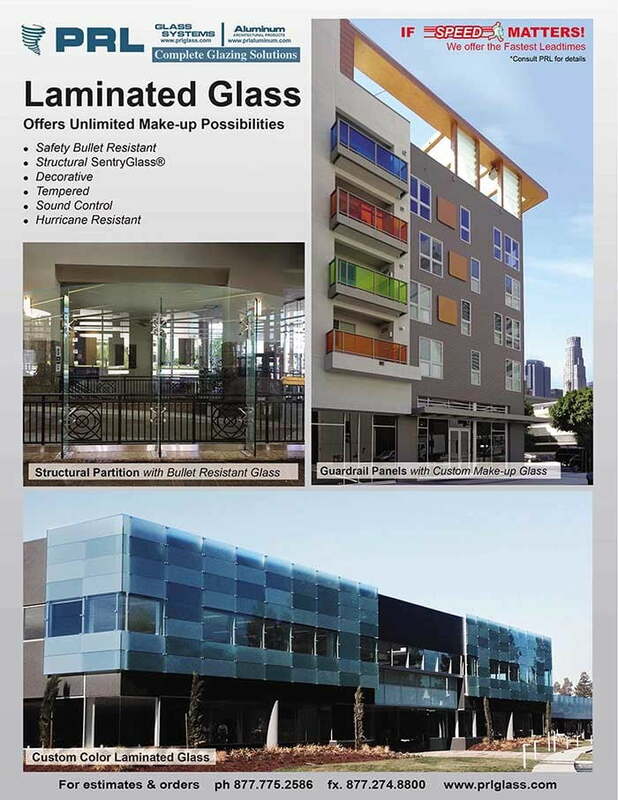 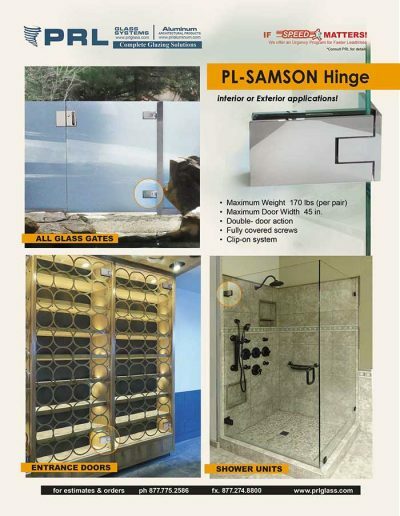 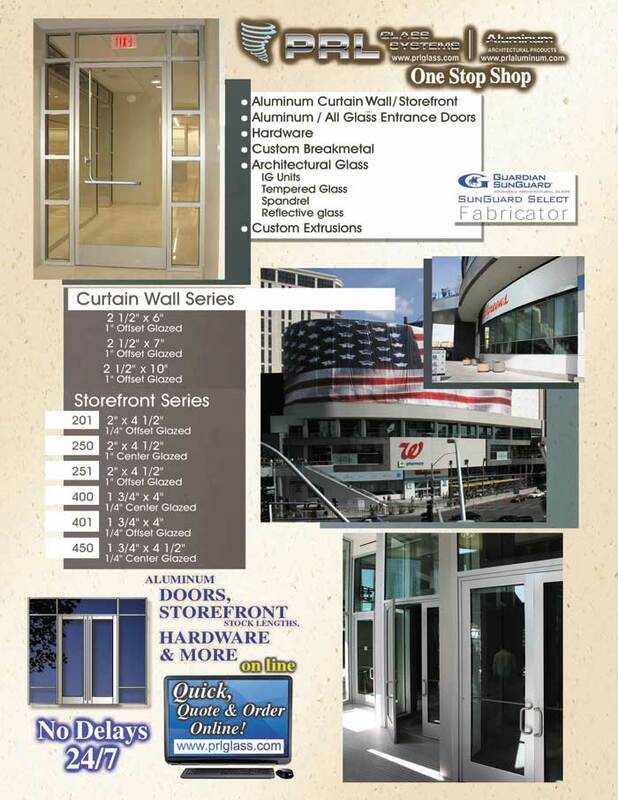 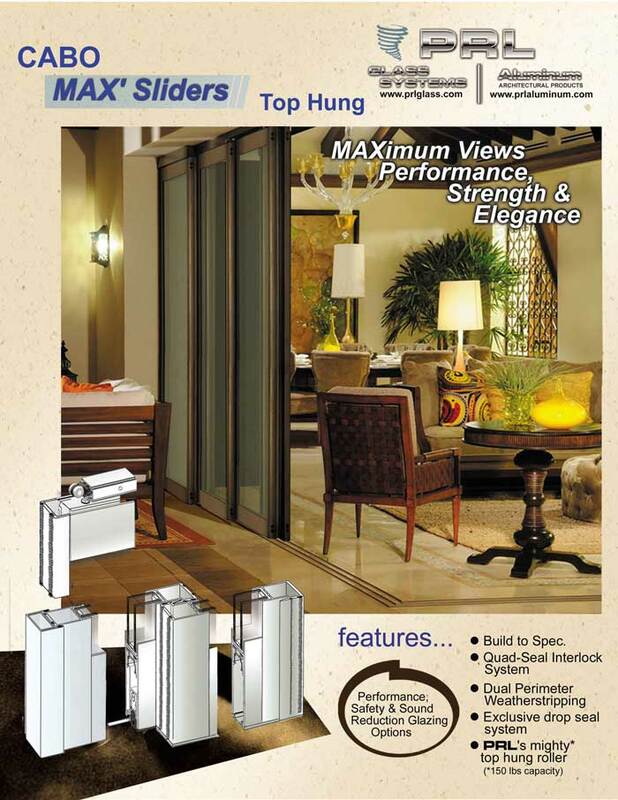 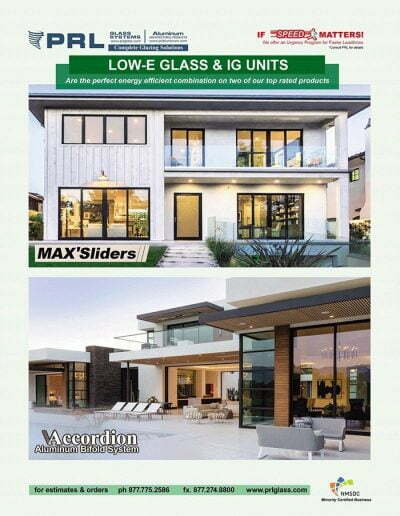 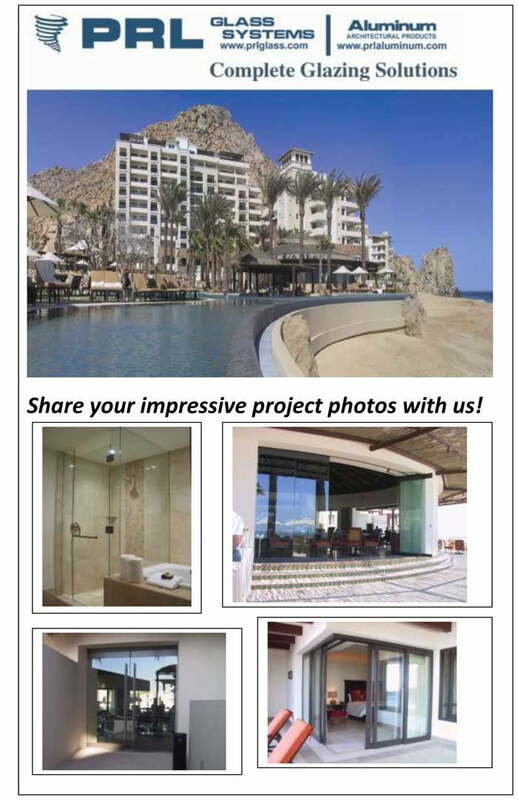 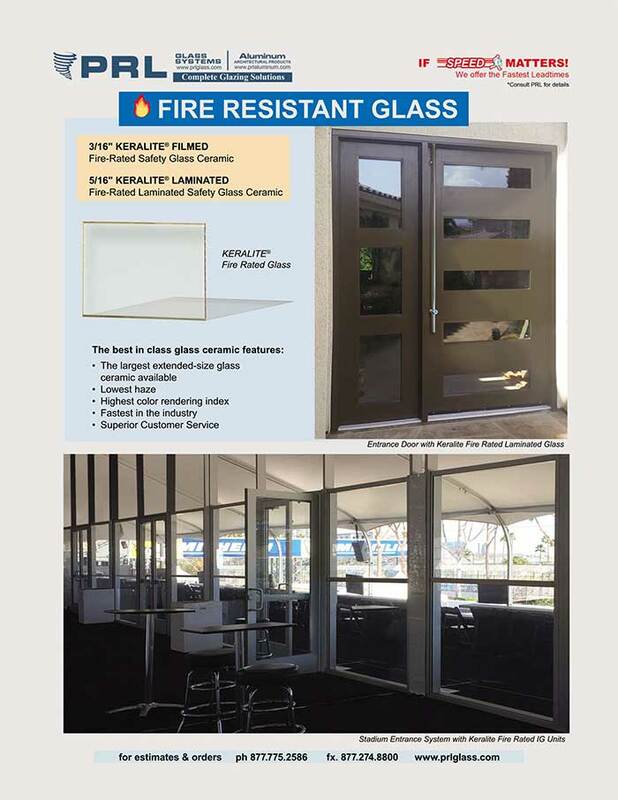 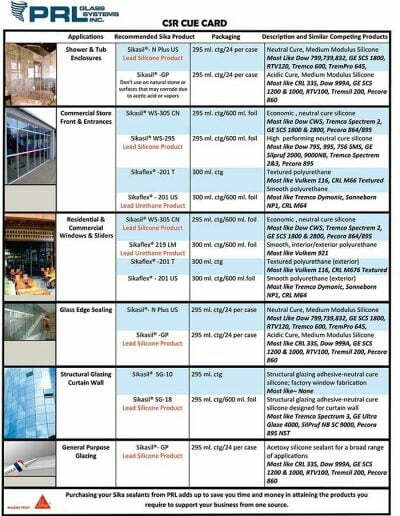 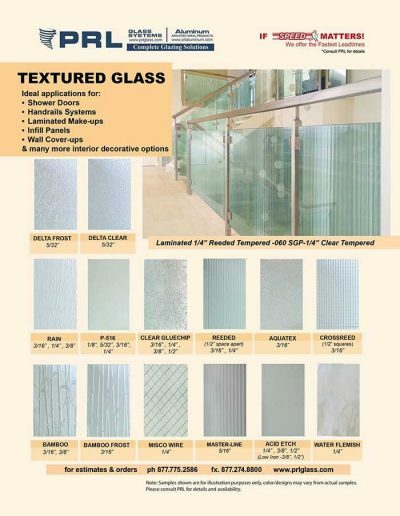 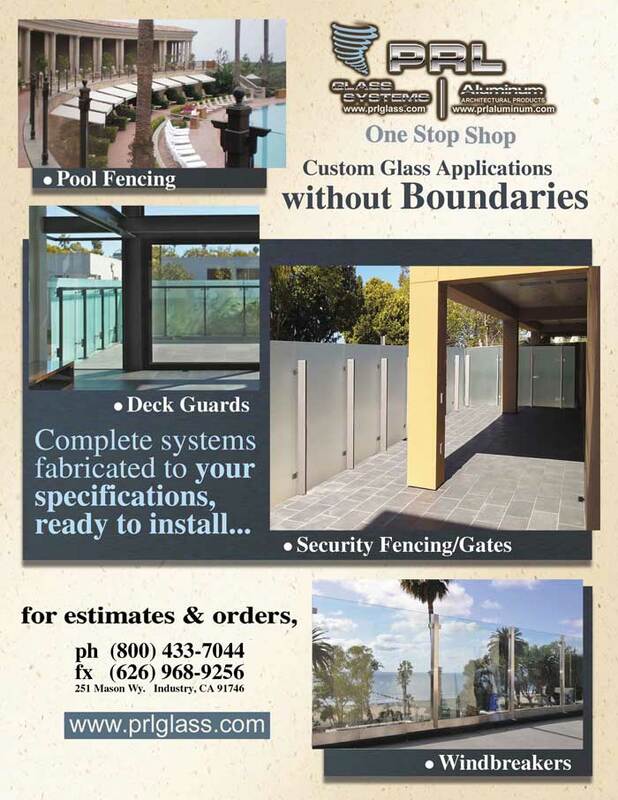 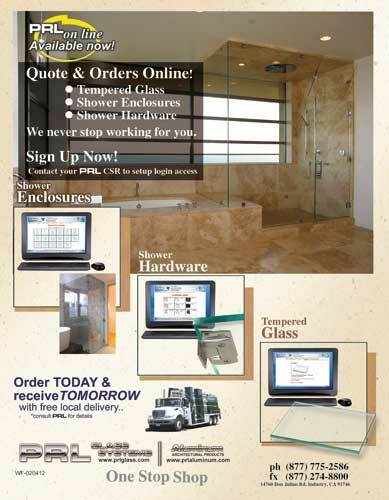 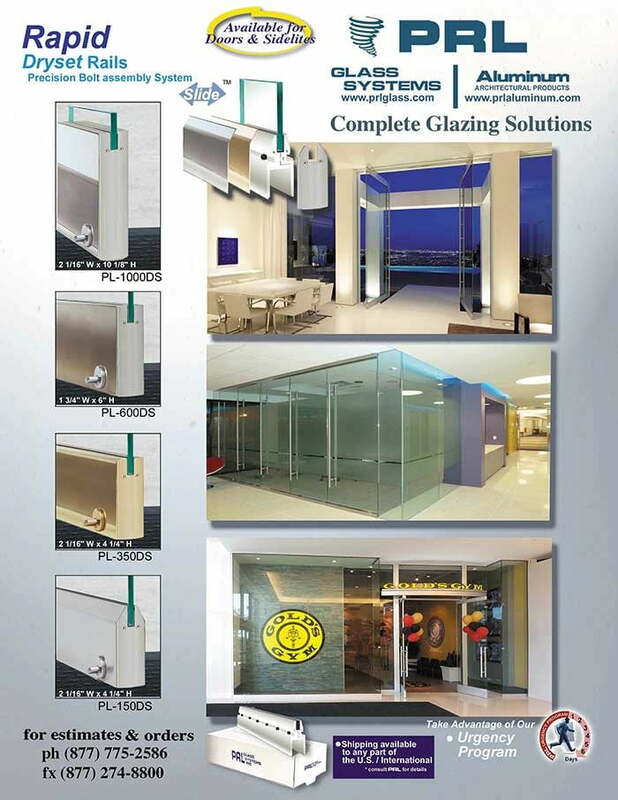 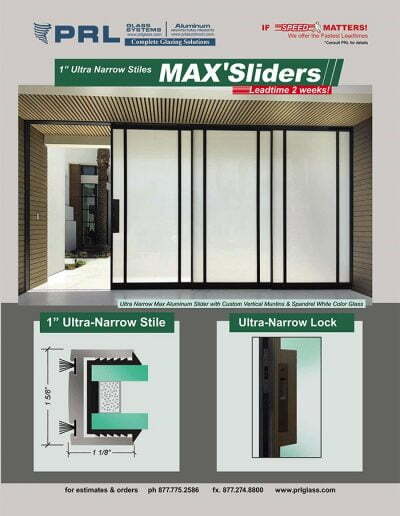 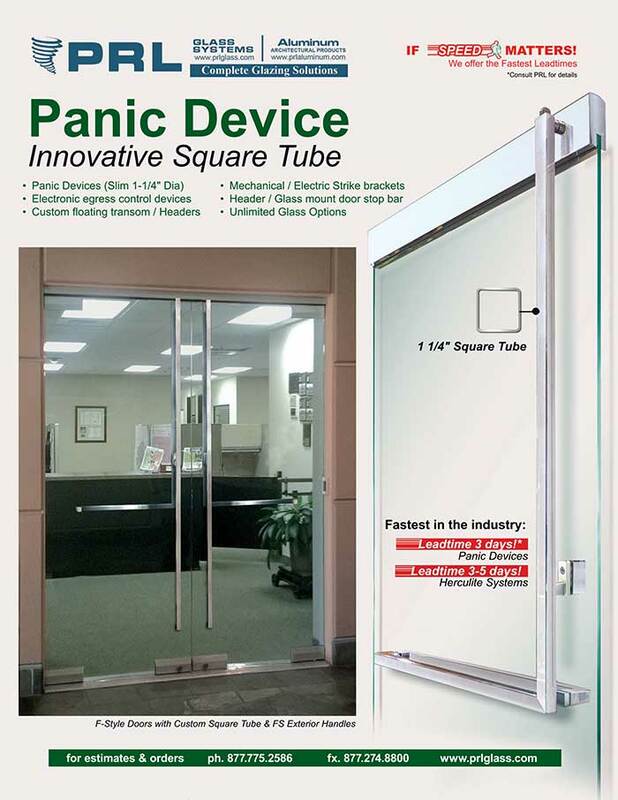 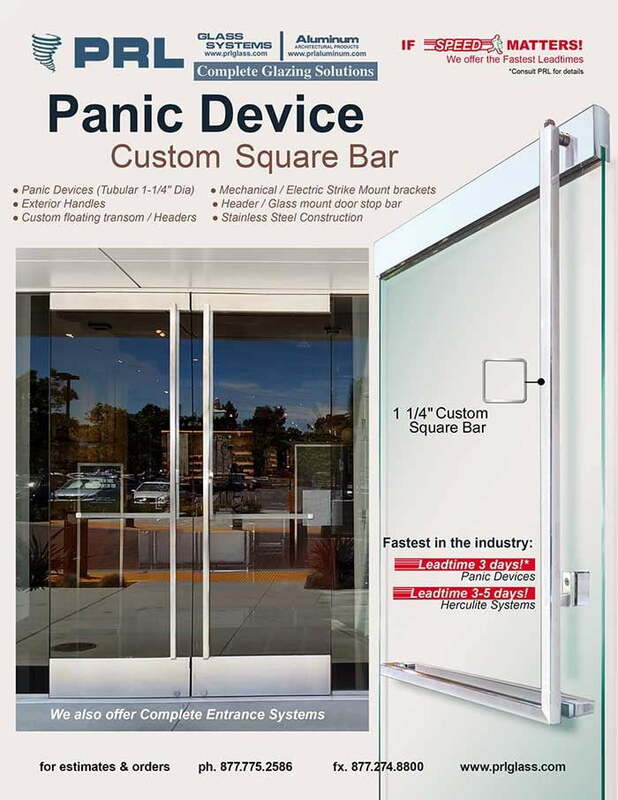 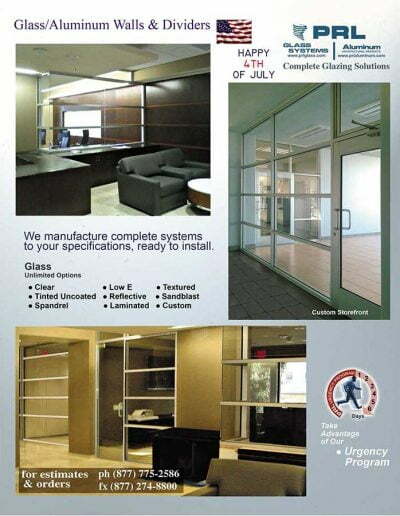 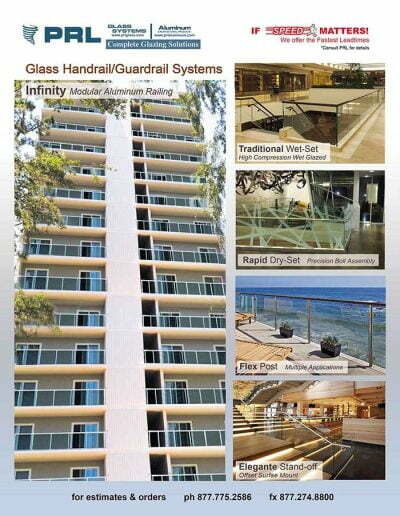 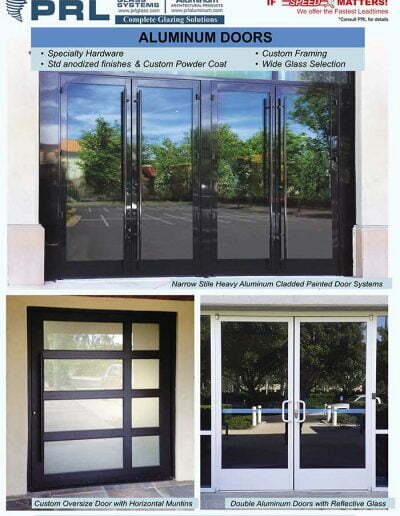 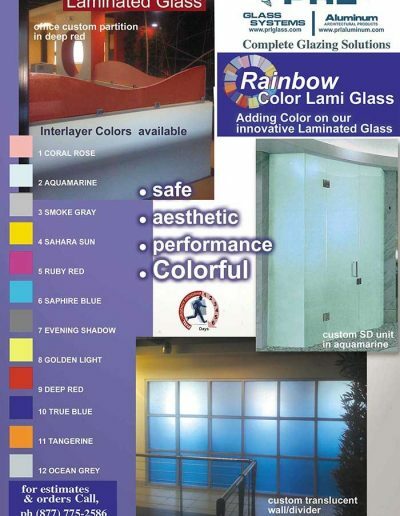 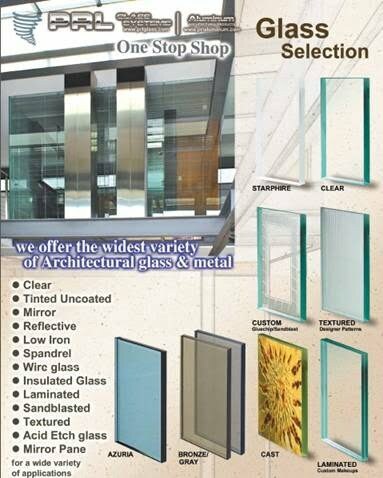 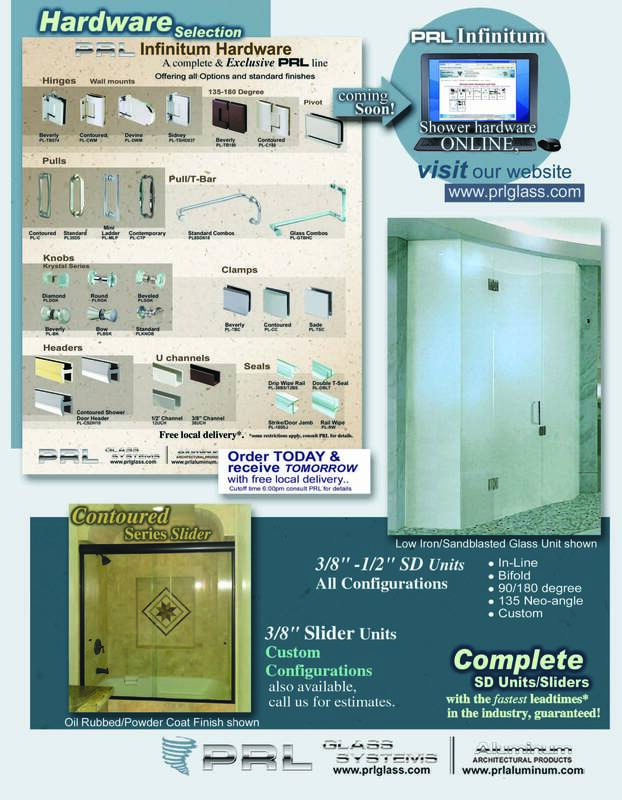 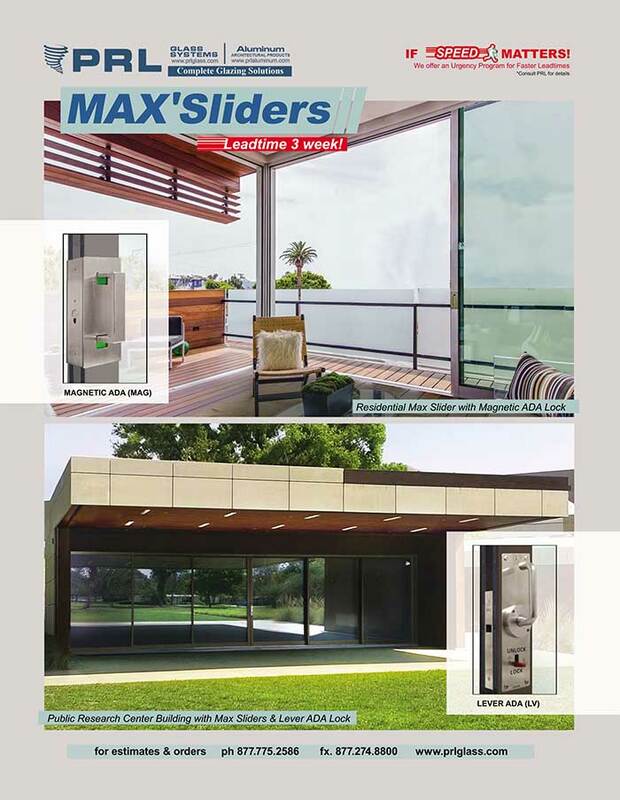 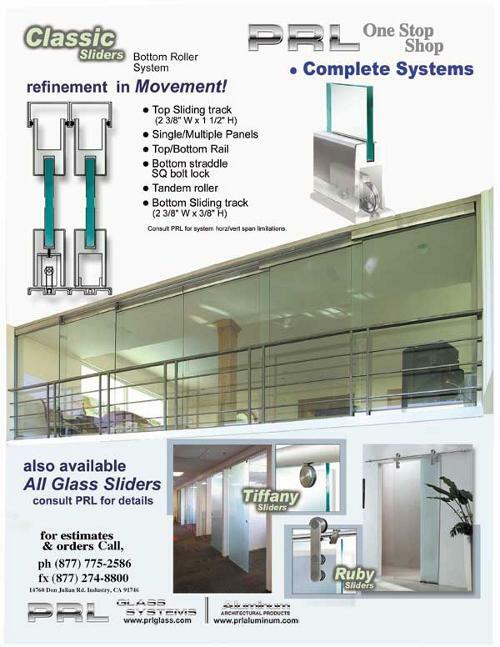 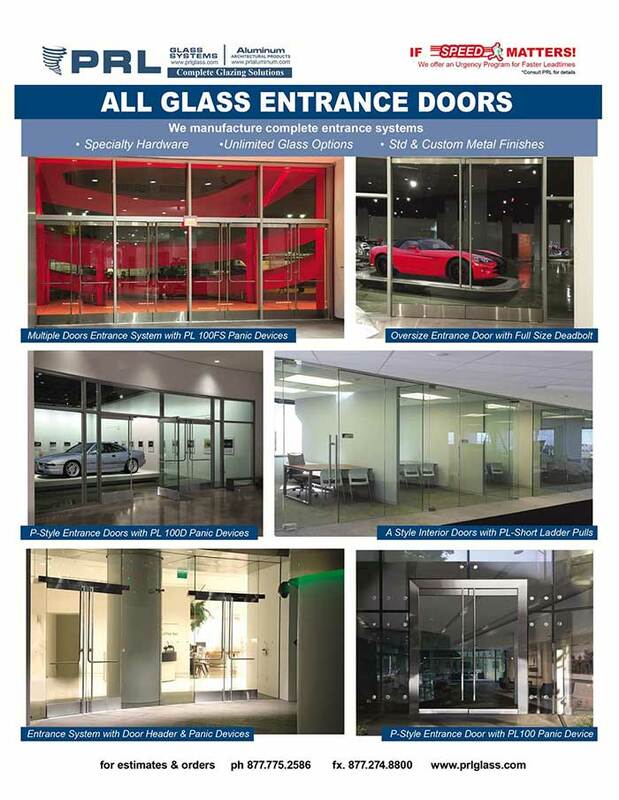 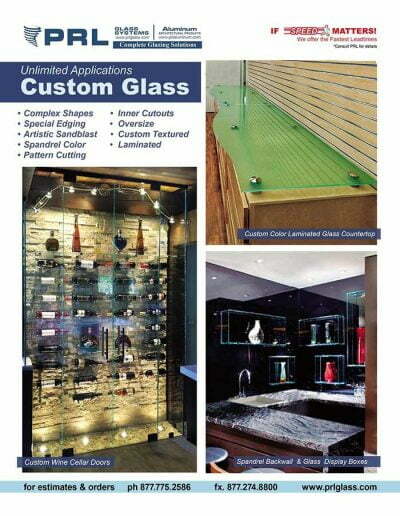 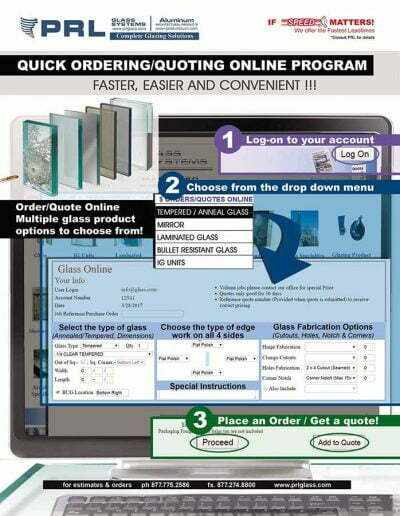 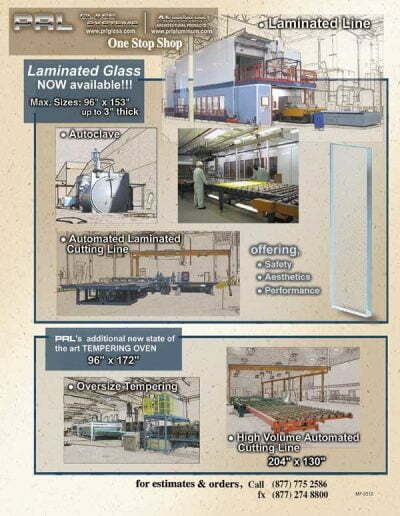 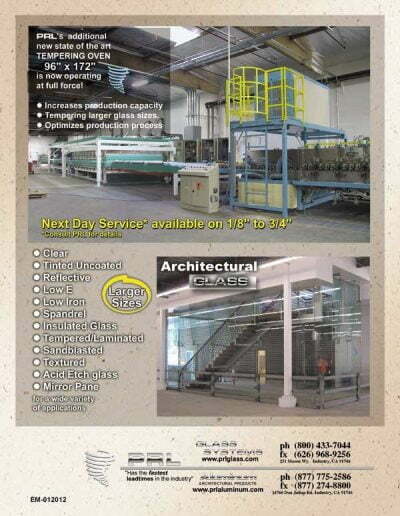 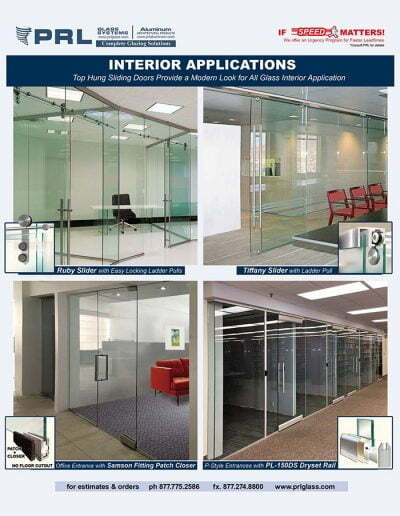 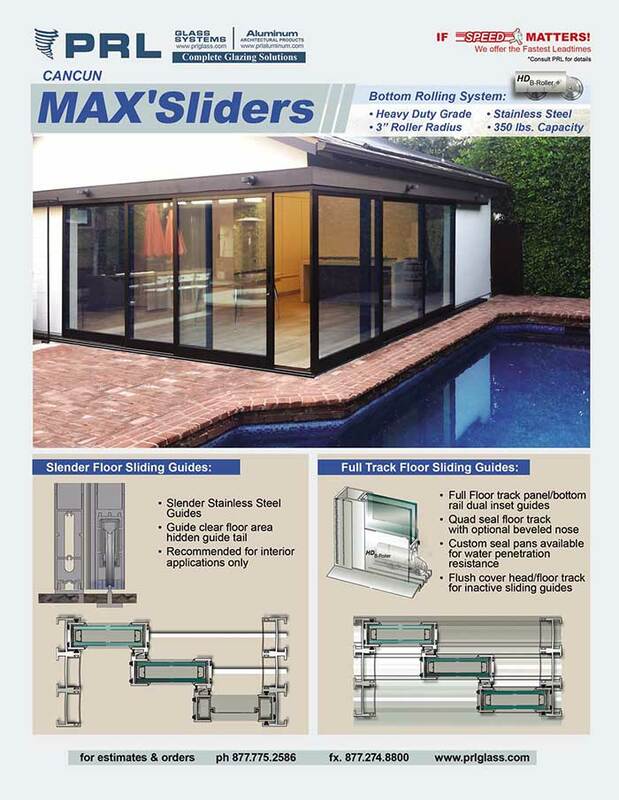 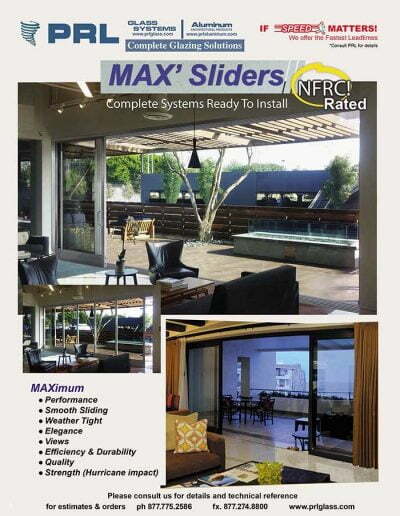 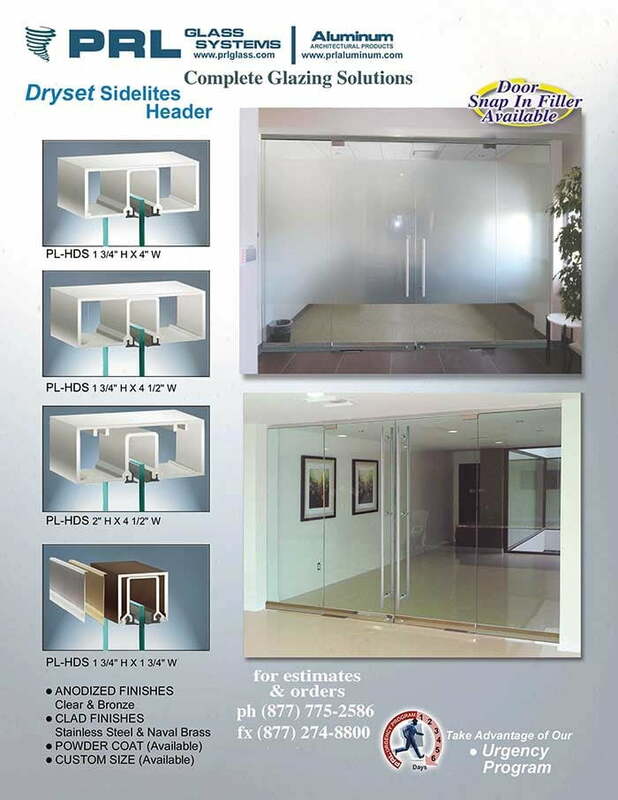 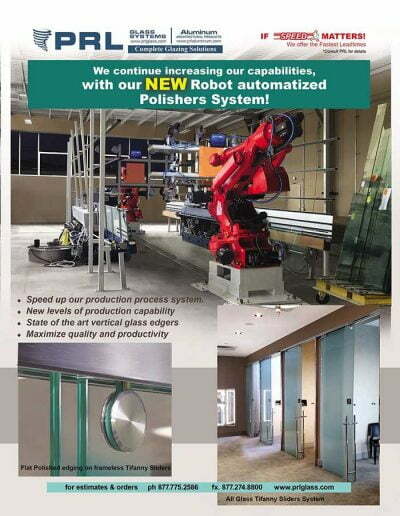 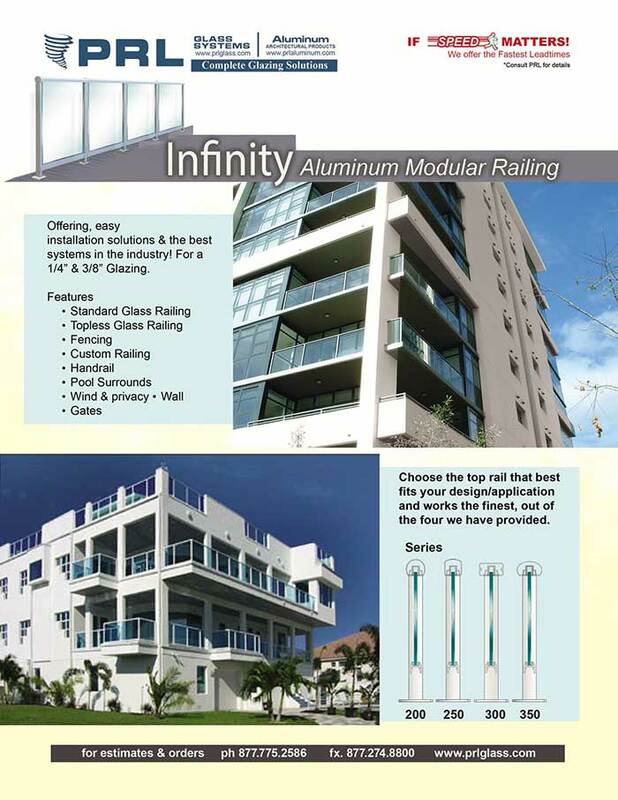 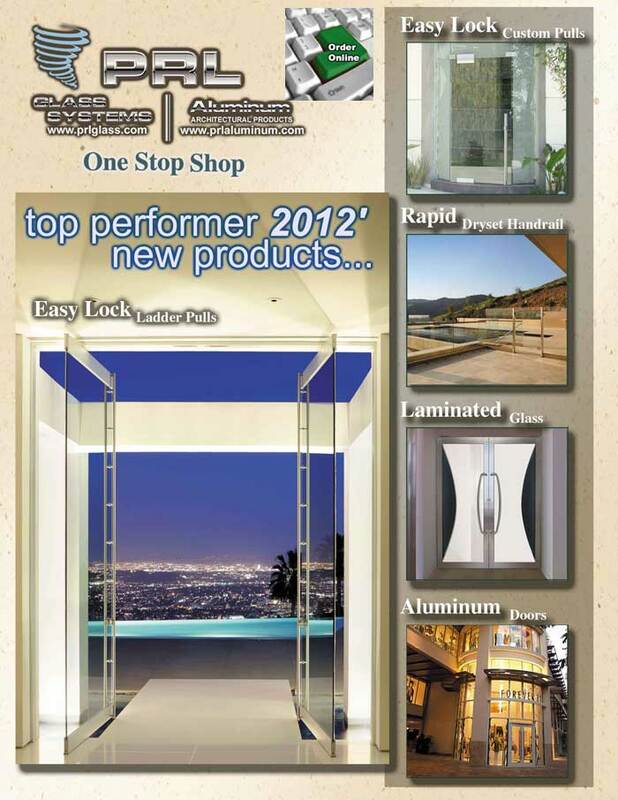 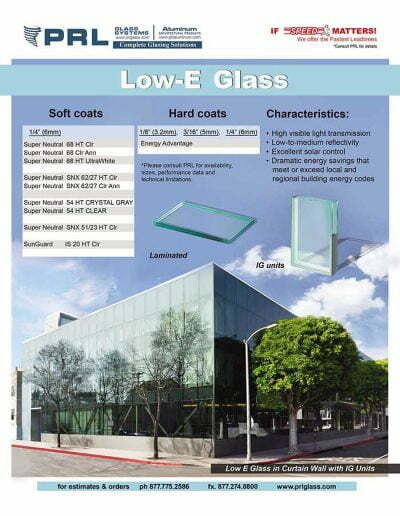 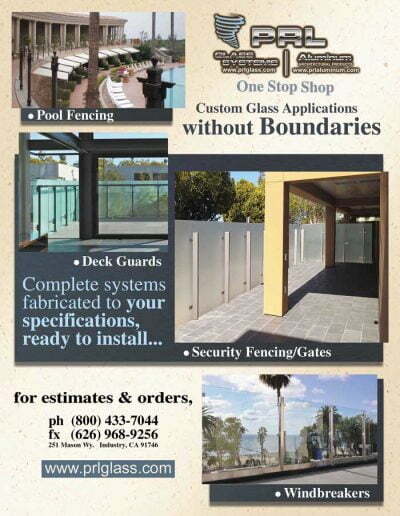 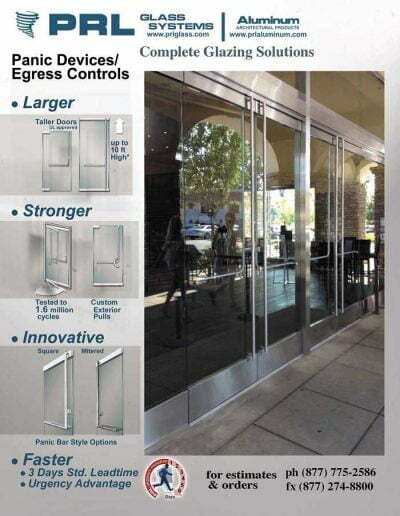 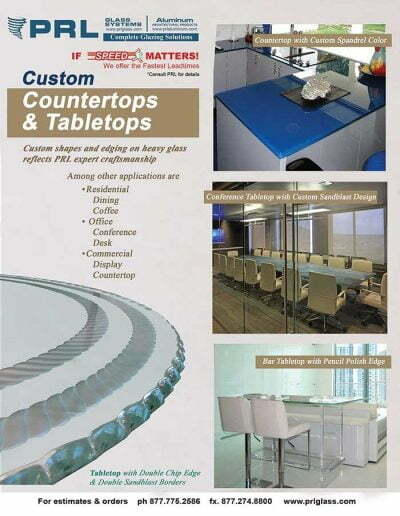 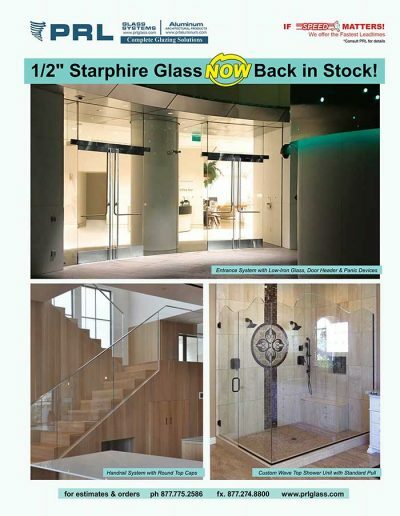 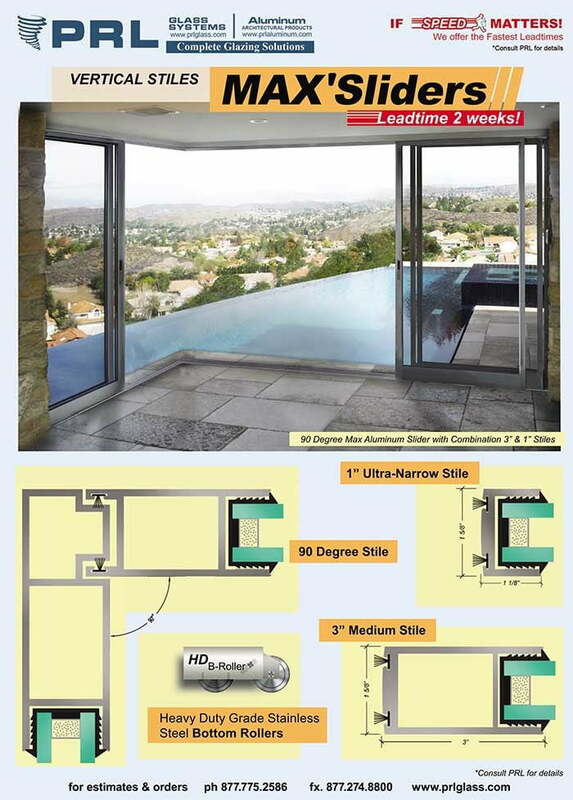 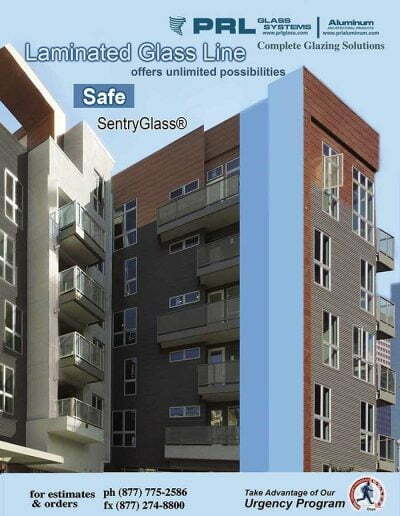 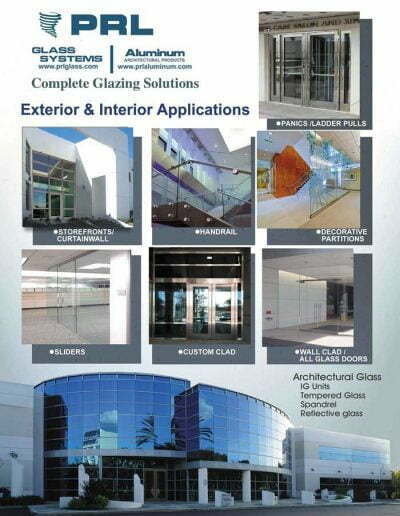 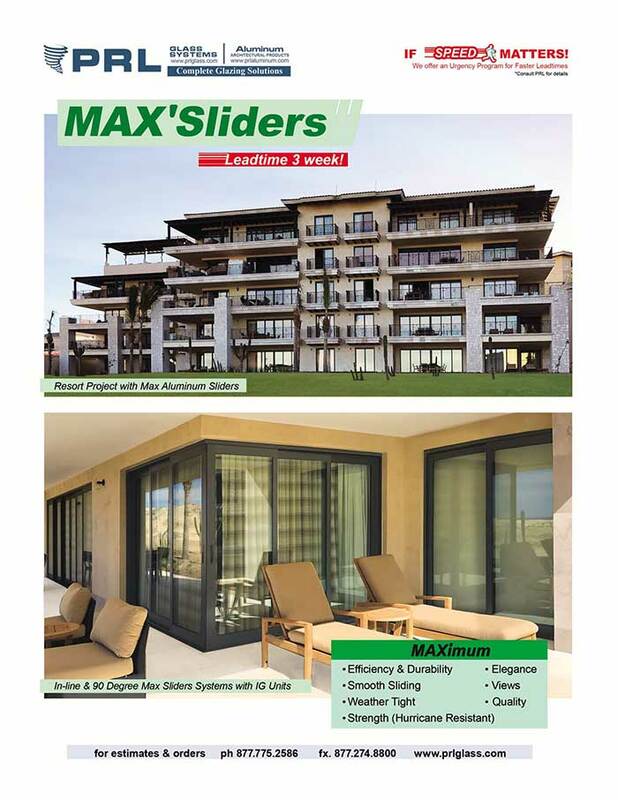 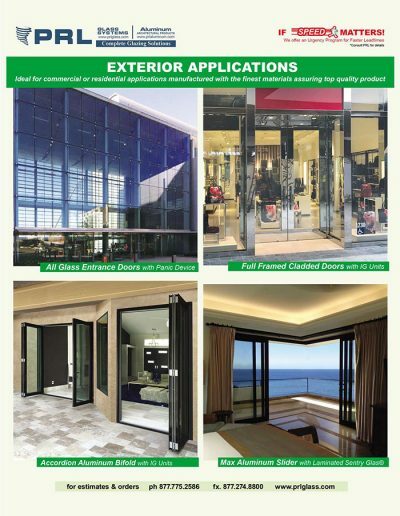 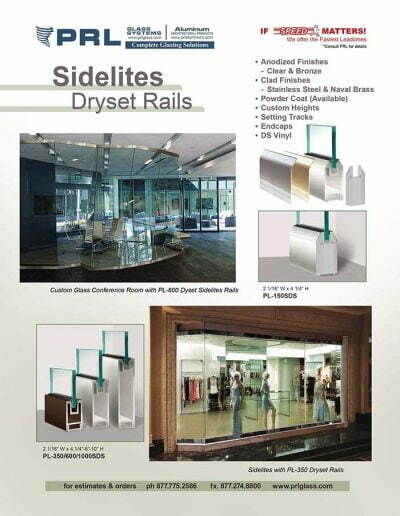 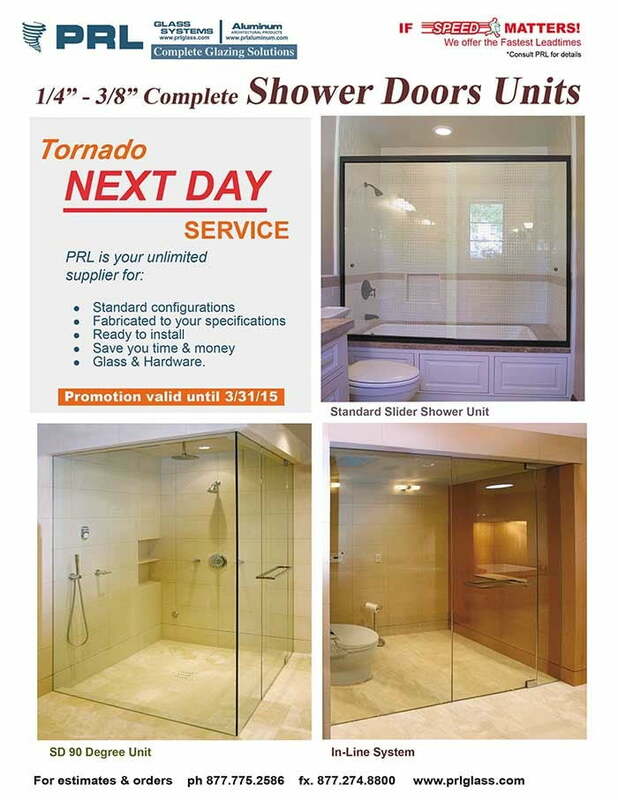 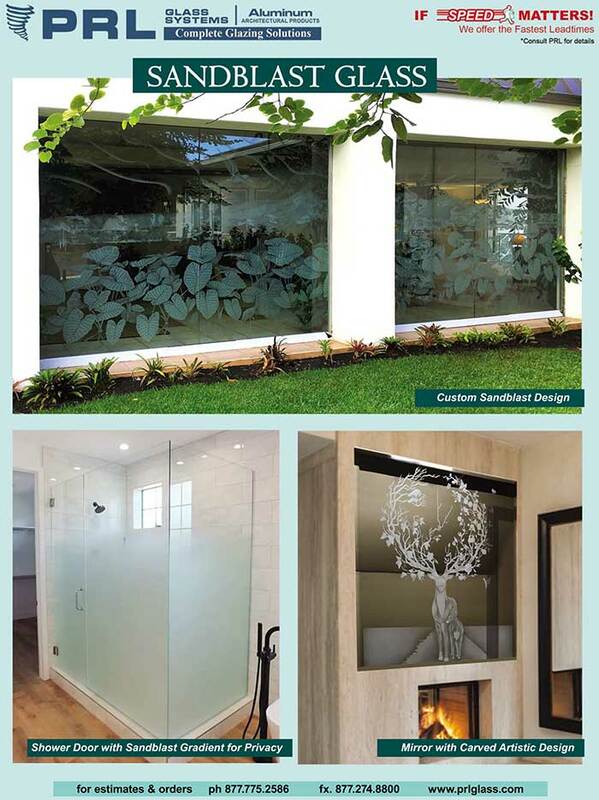 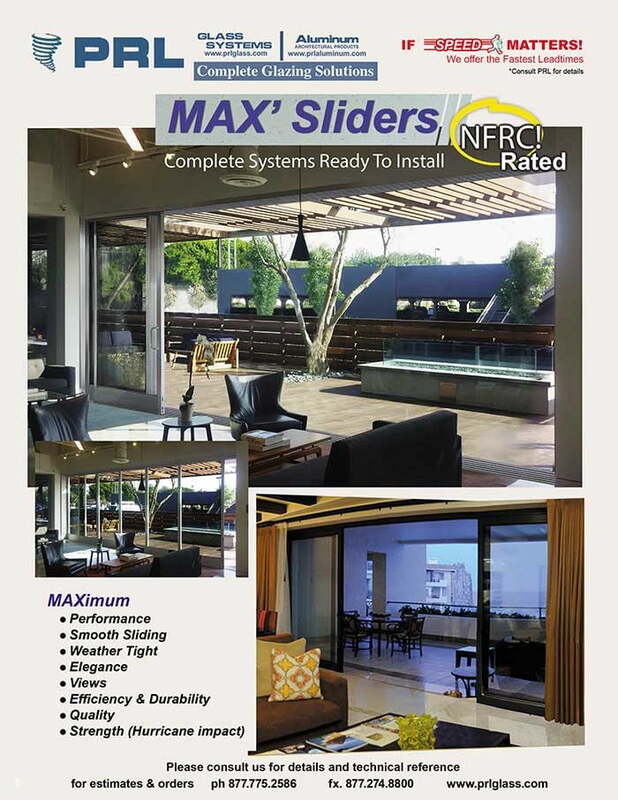 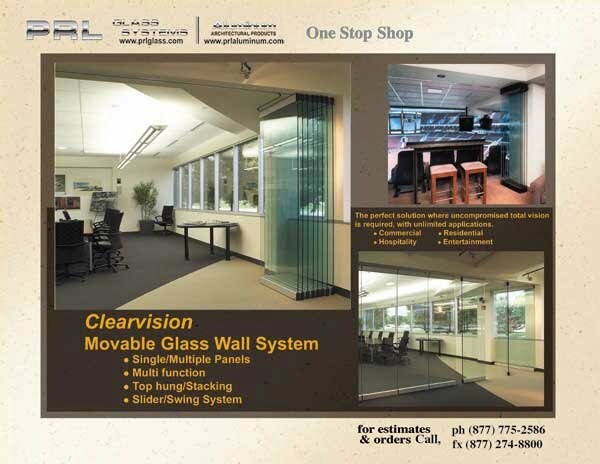 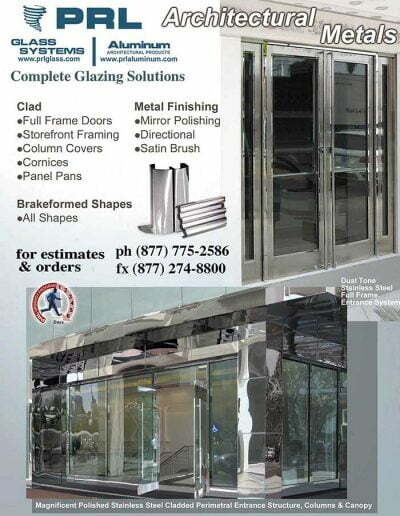 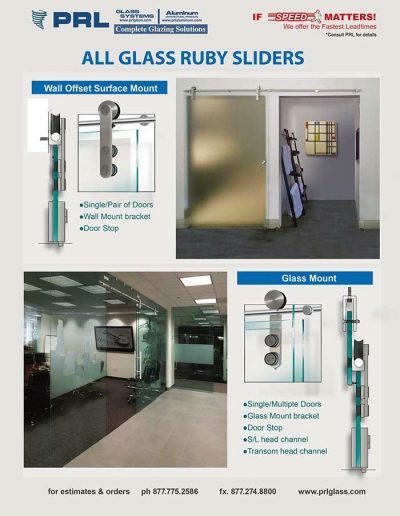 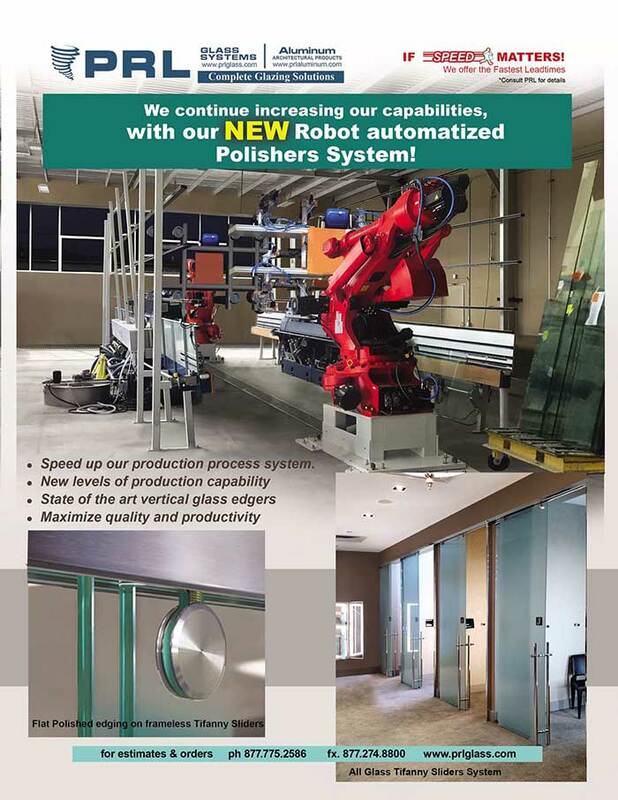 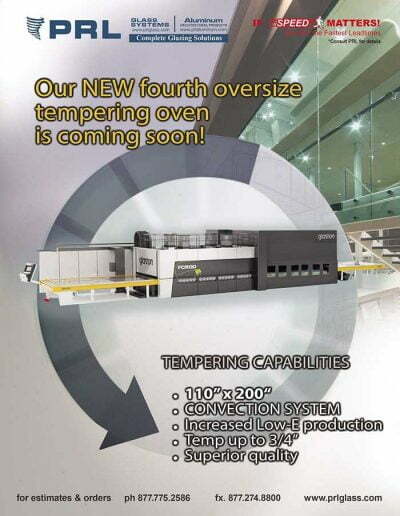 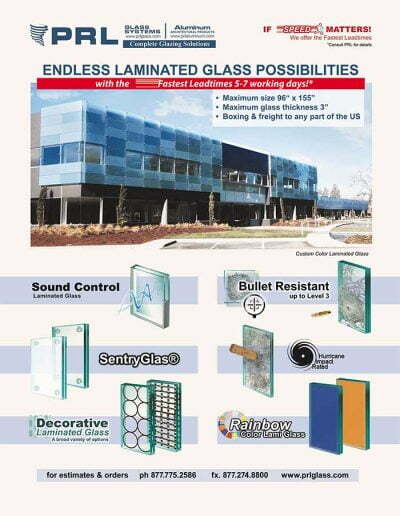 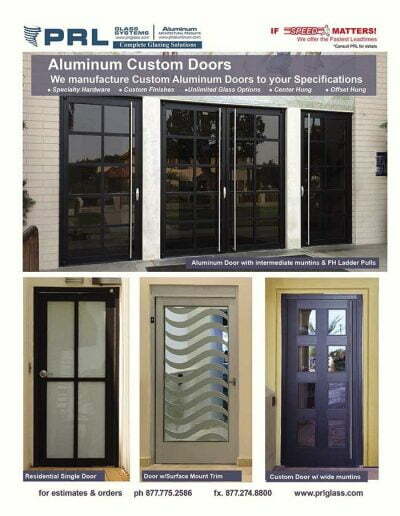 We in-house manufacture full framed clad doors as well as custom manufactured all glass doors. 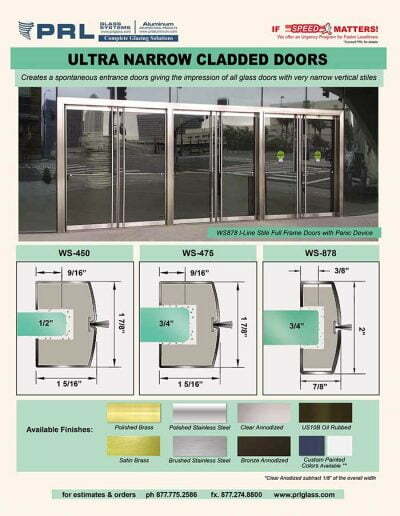 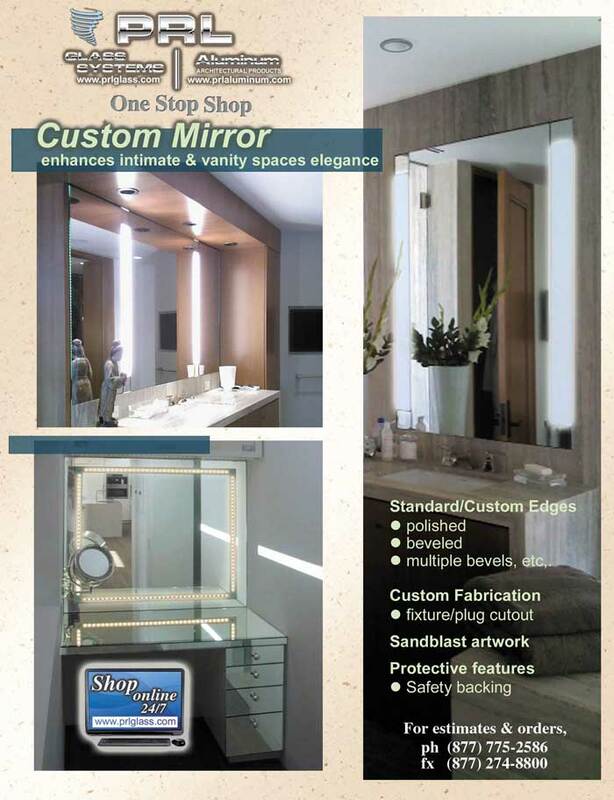 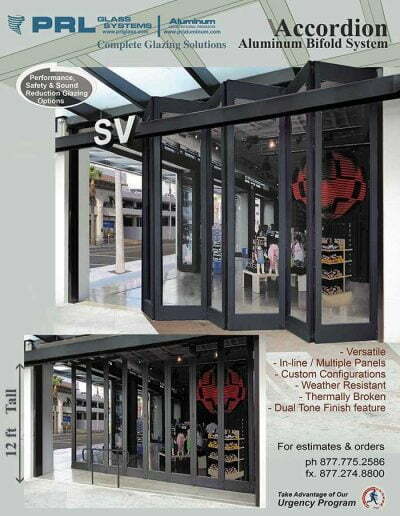 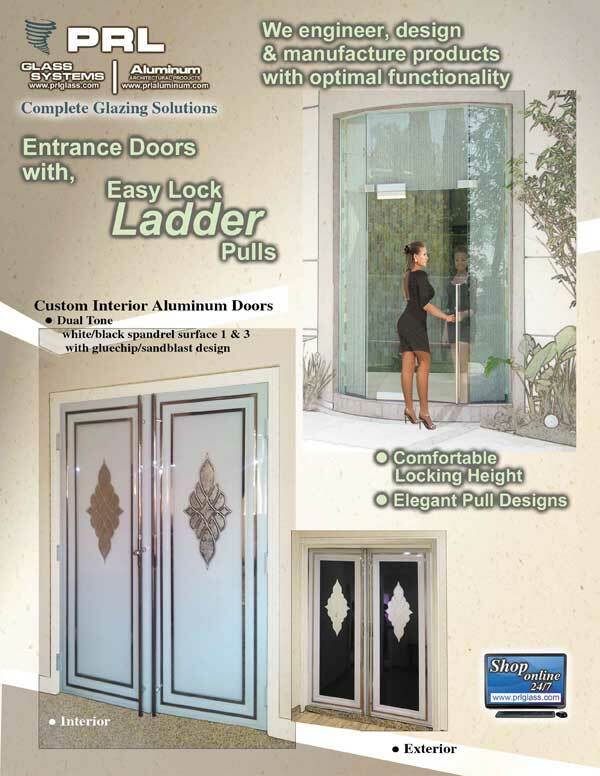 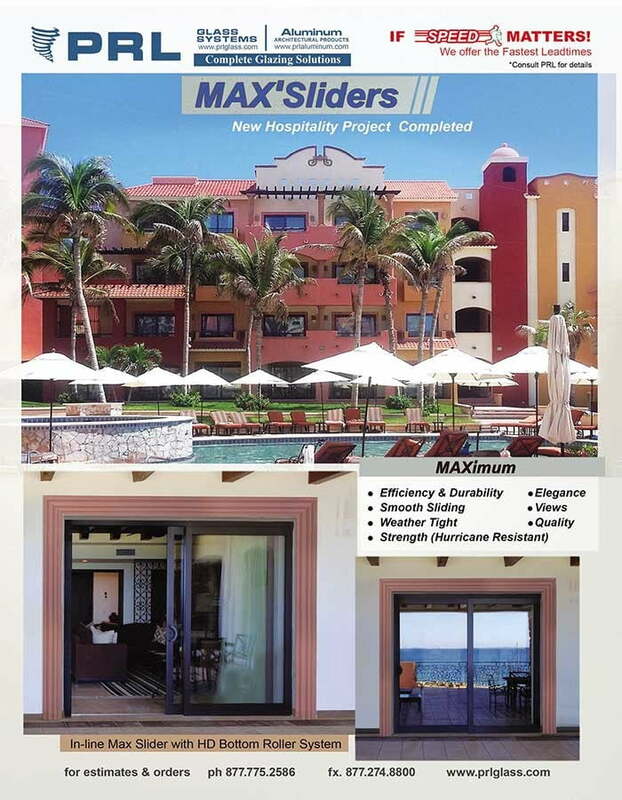 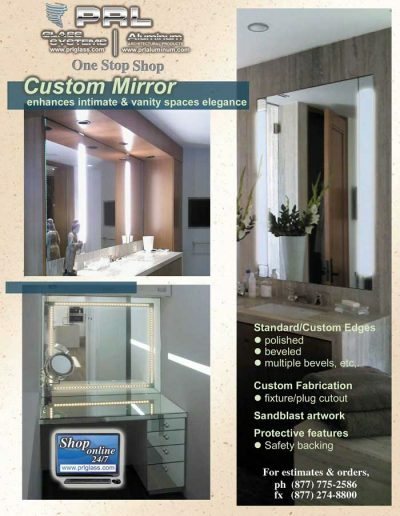 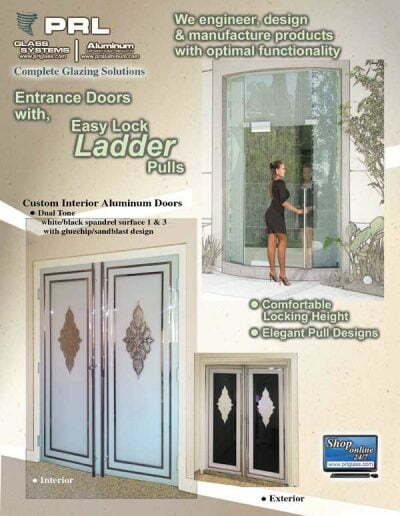 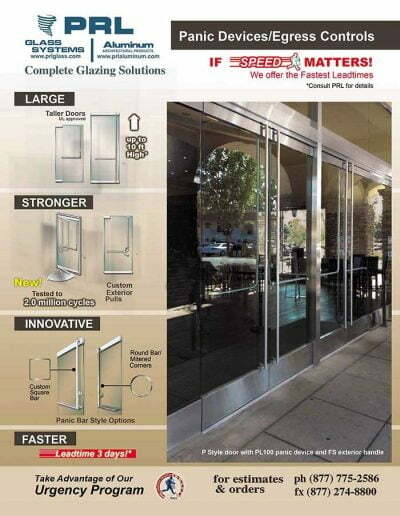 We fabricate custom designed doors to fit all your entrance system specifications. 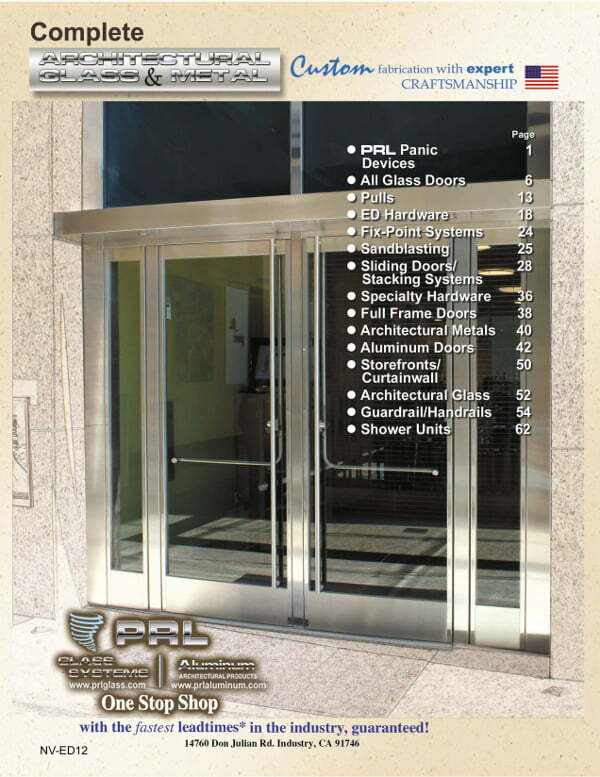 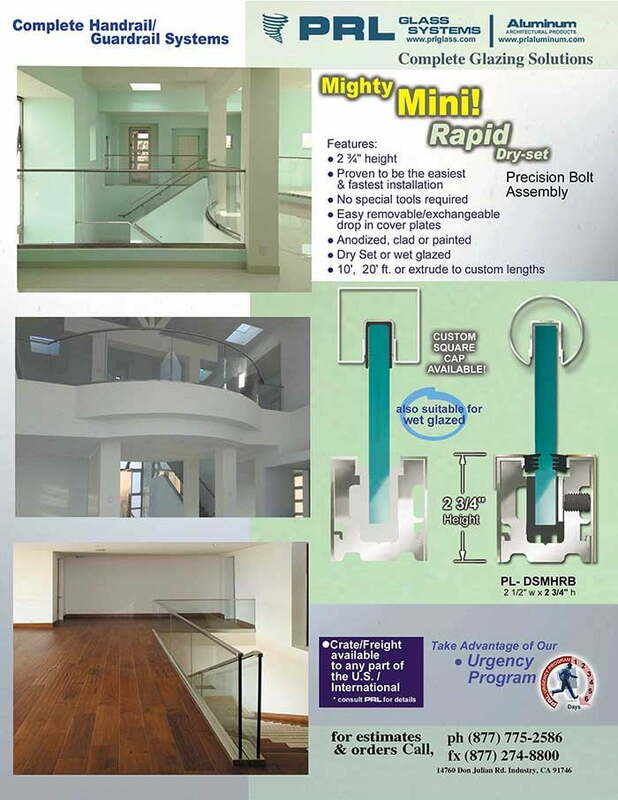 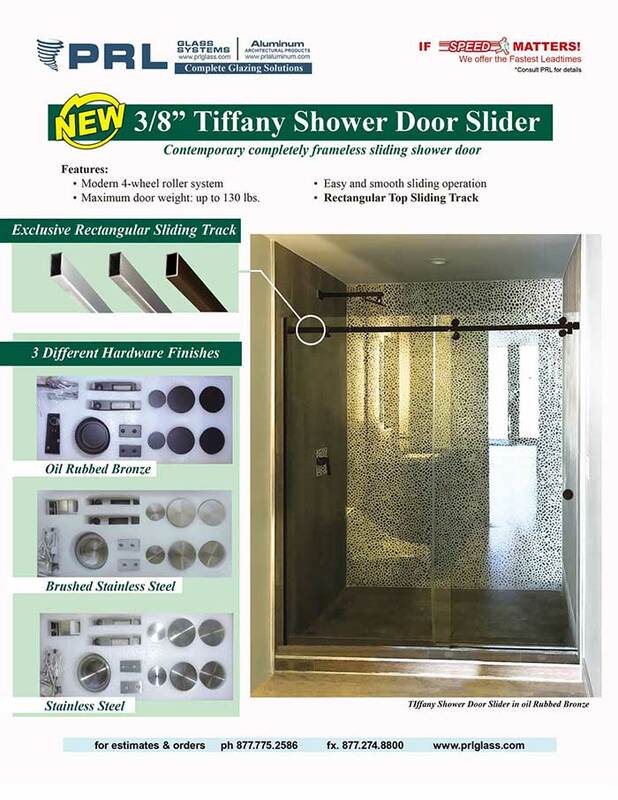 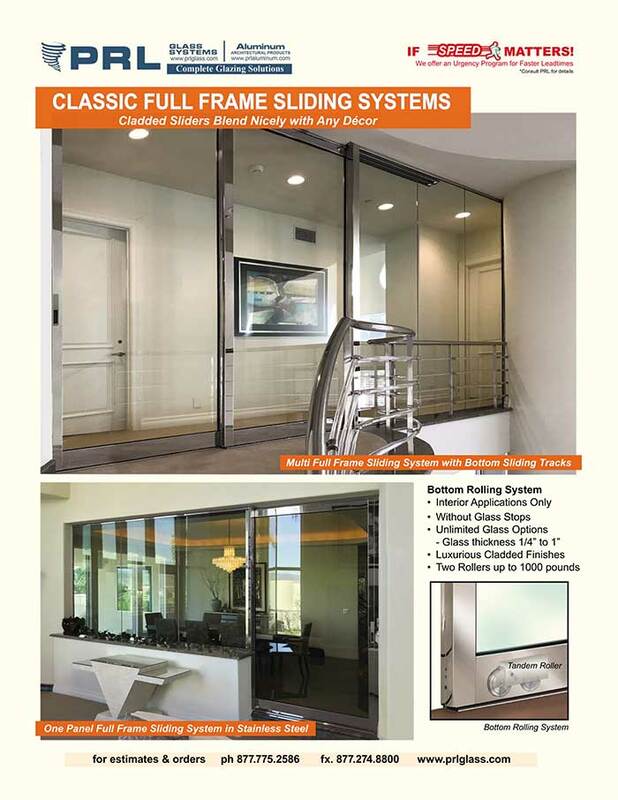 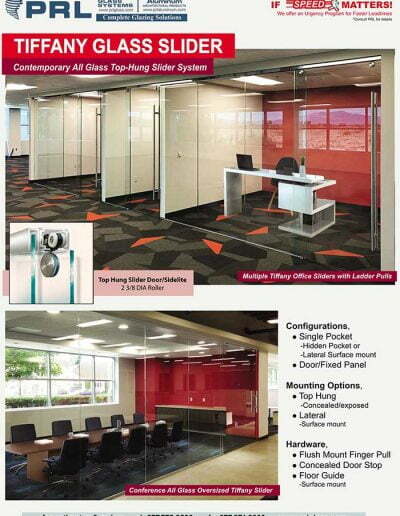 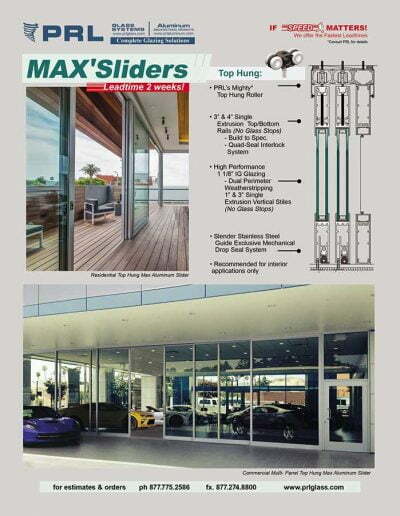 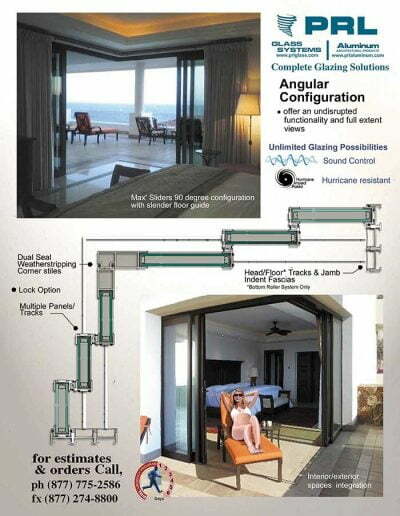 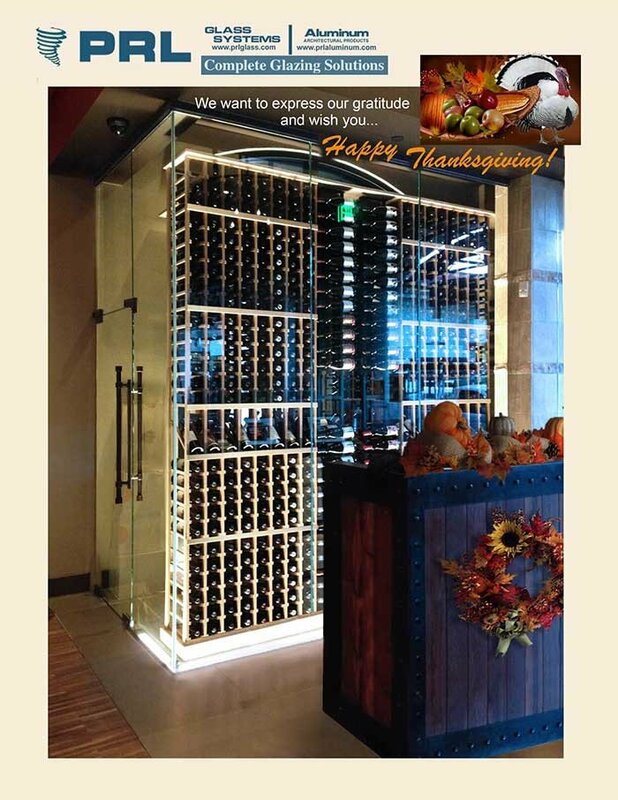 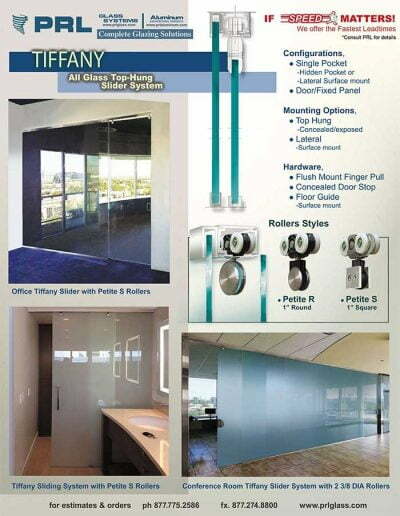 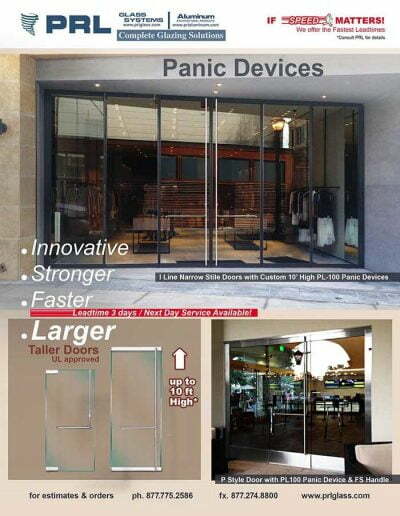 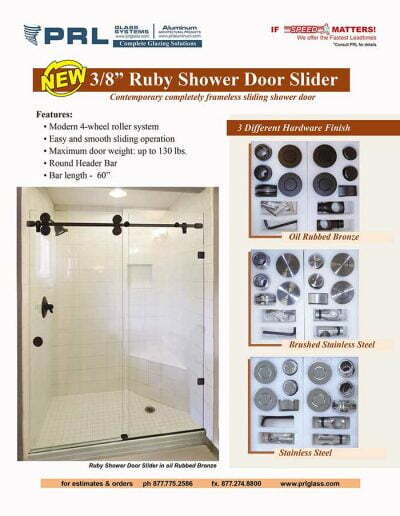 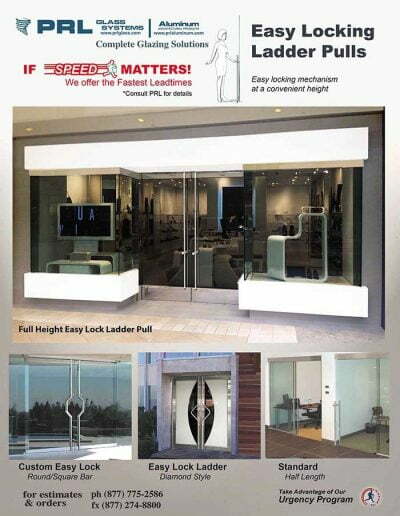 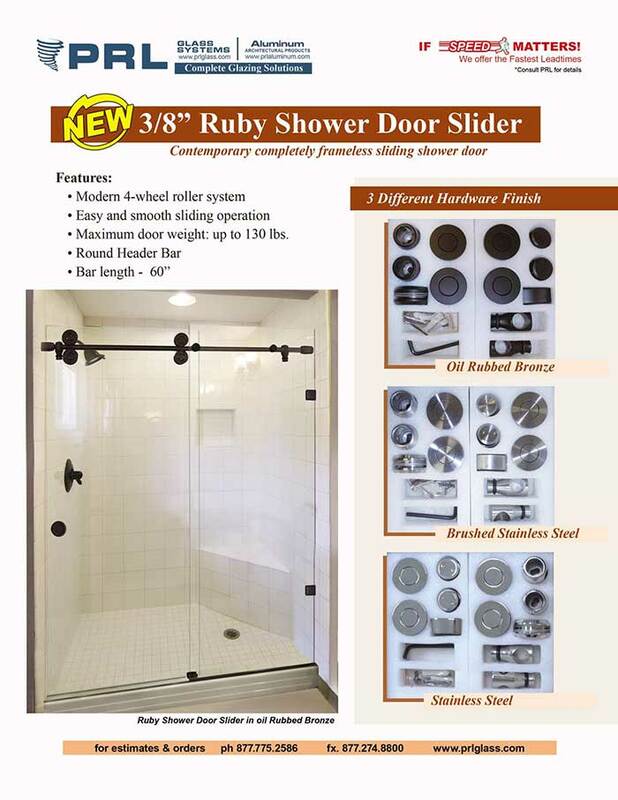 Our over sized “Miss 60” door is an example of some of the fabrication design challenges PRL has accomplished. This 6′ x 10′ center pivoted, polished stainless steel clad door with 12 conical portholes is just one of our custom architectural door creations. 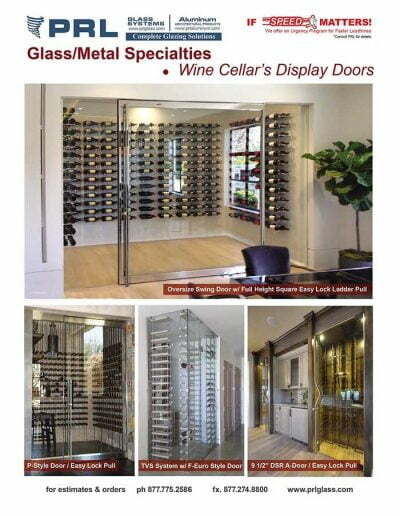 Frameless, surrounded only by glass sidelights makes this door exceptionally stunning. 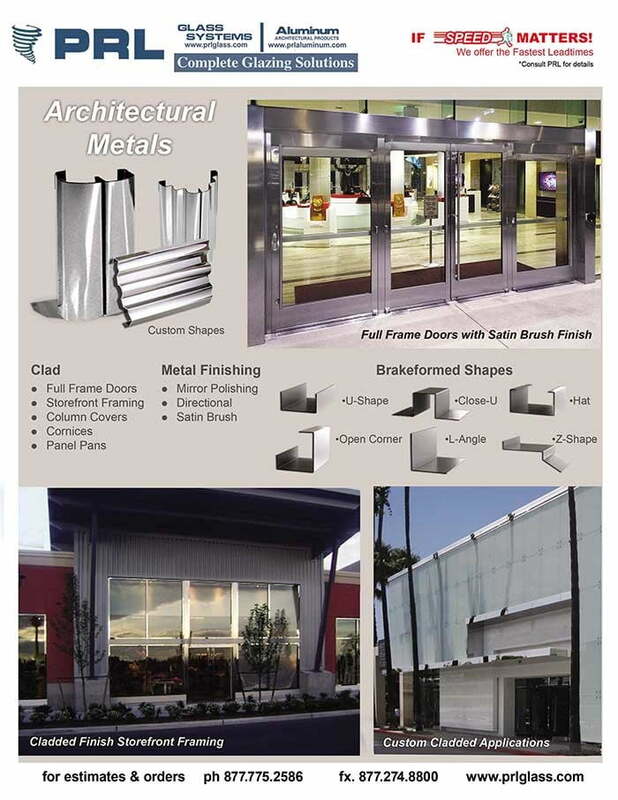 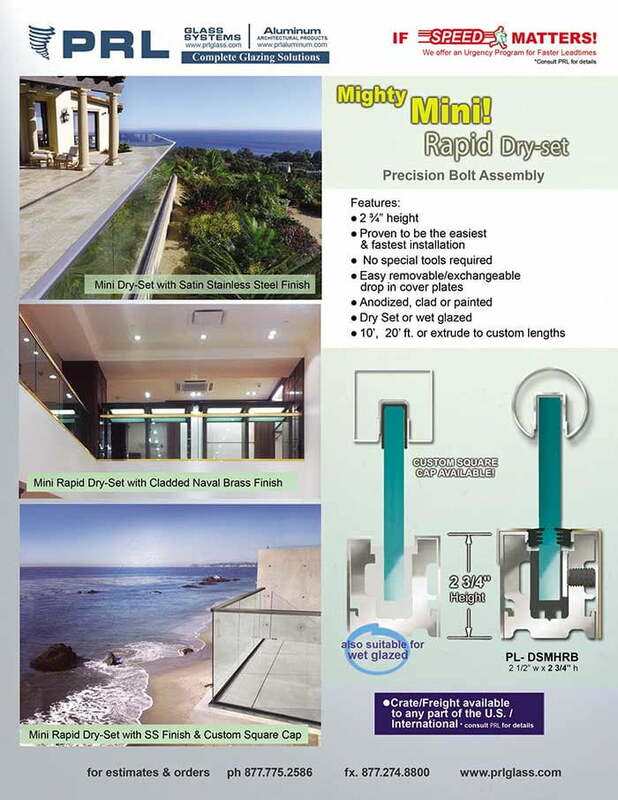 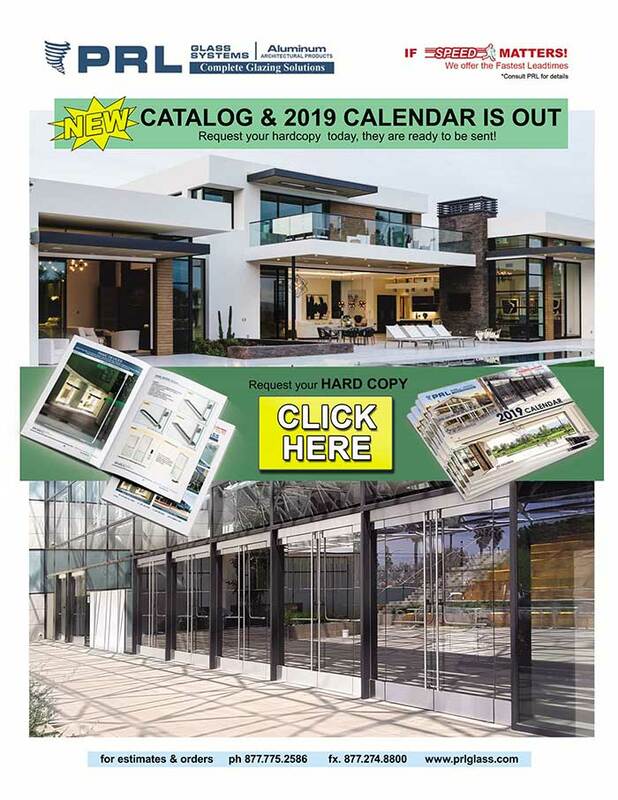 Our mission is to be your complete Fabrication Company Toll Free 800-433-7044, continue reading about architectural metal products we manufacture. 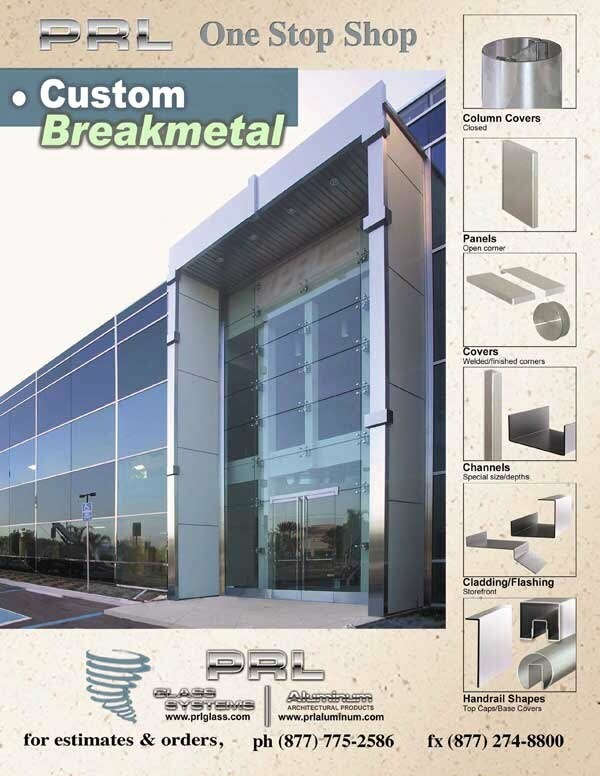 Architectural Break Metal Products. 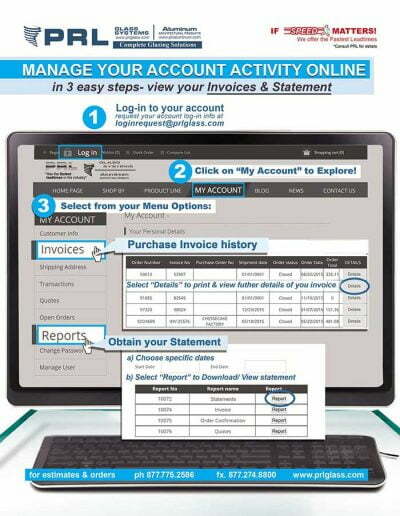 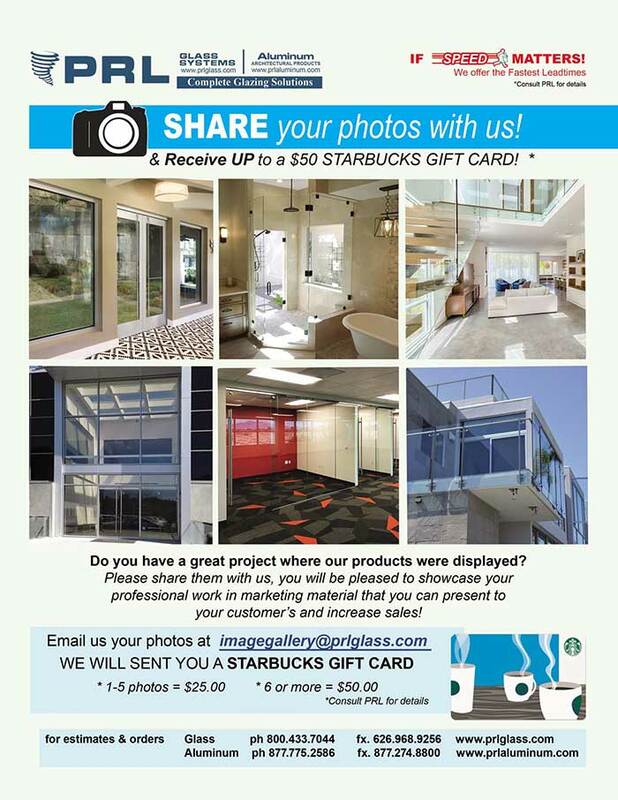 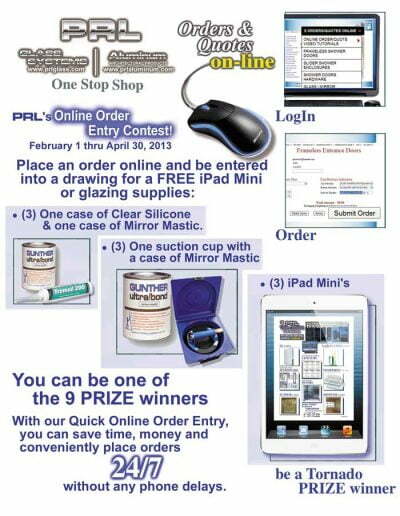 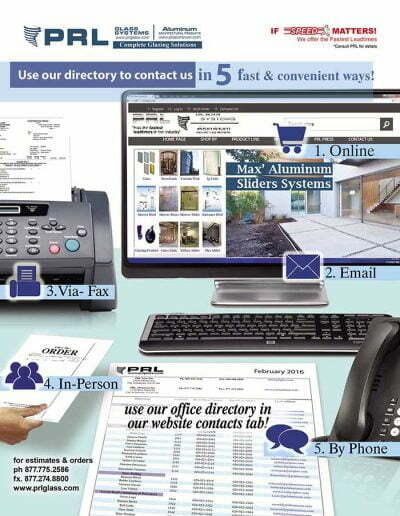 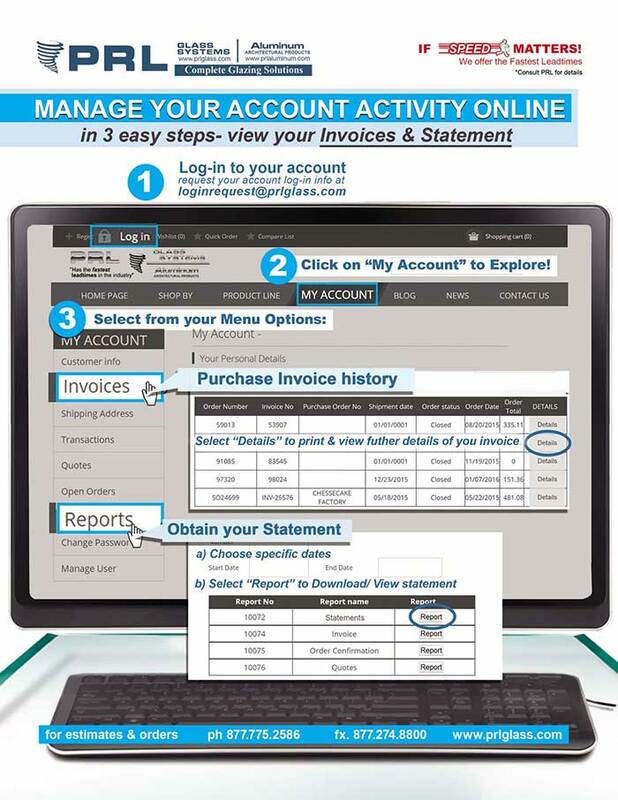 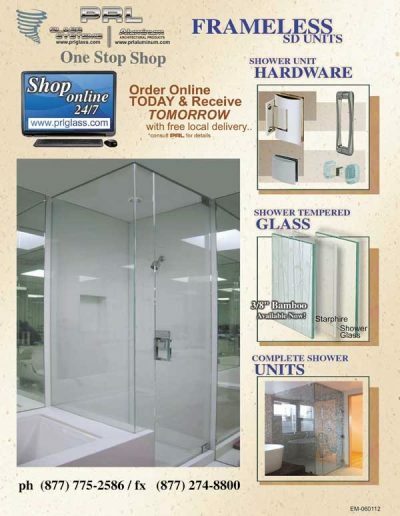 We’re Your One-Stop-Shop! 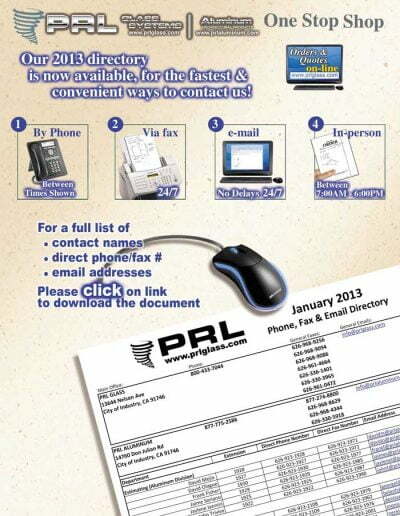 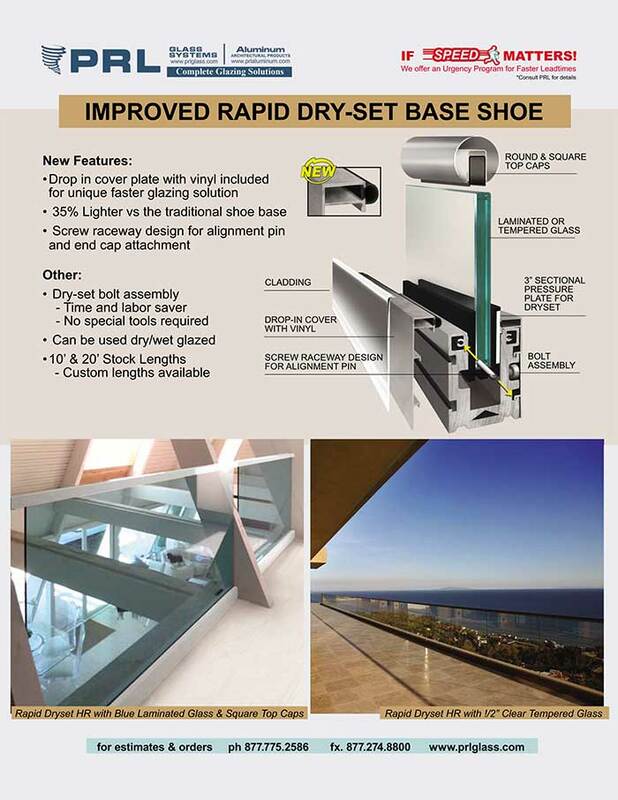 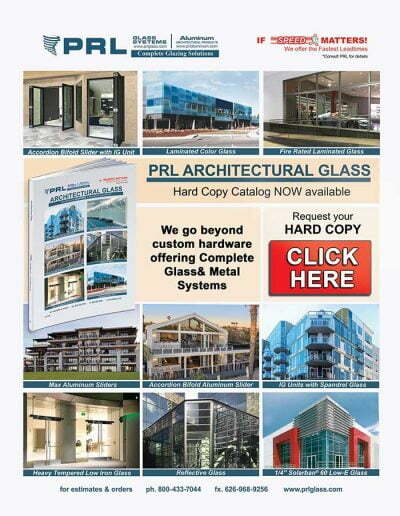 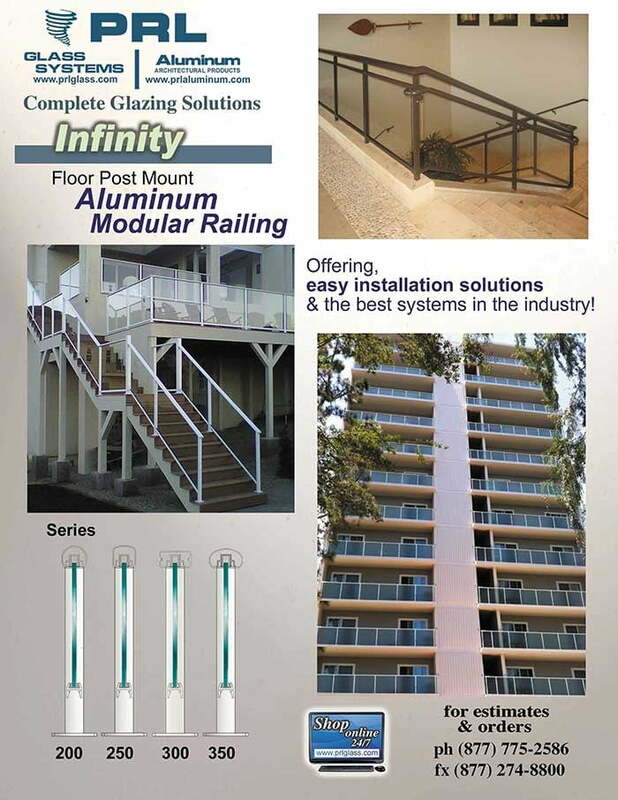 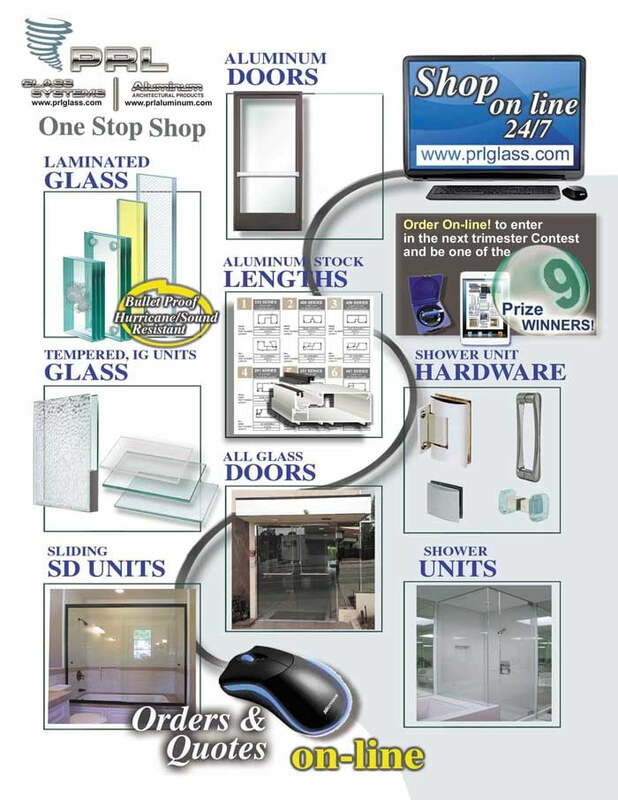 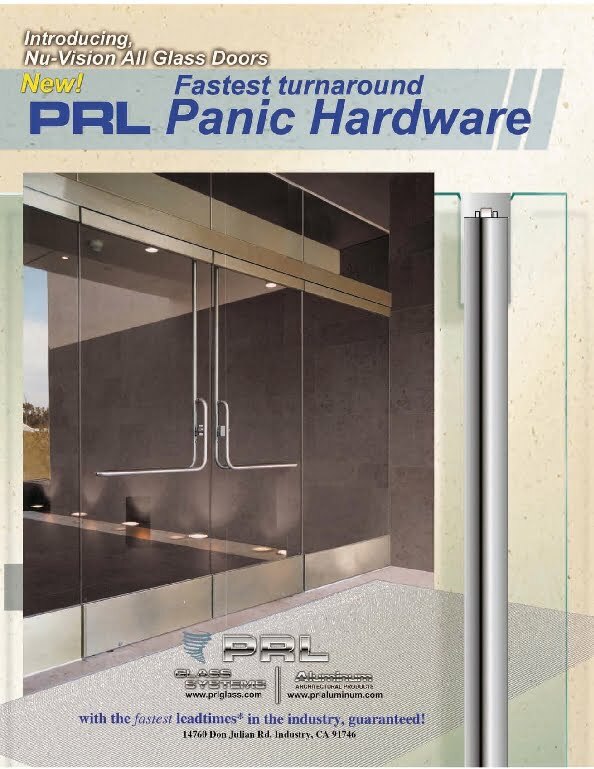 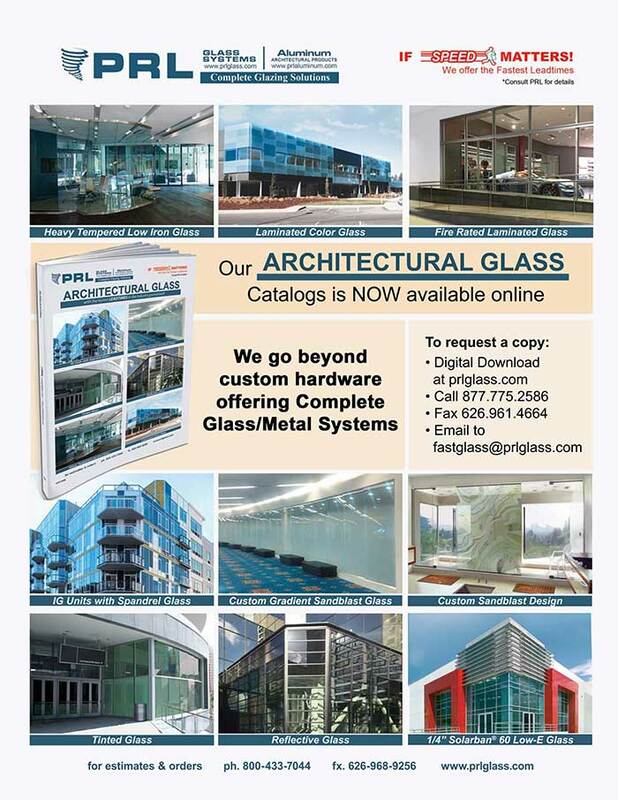 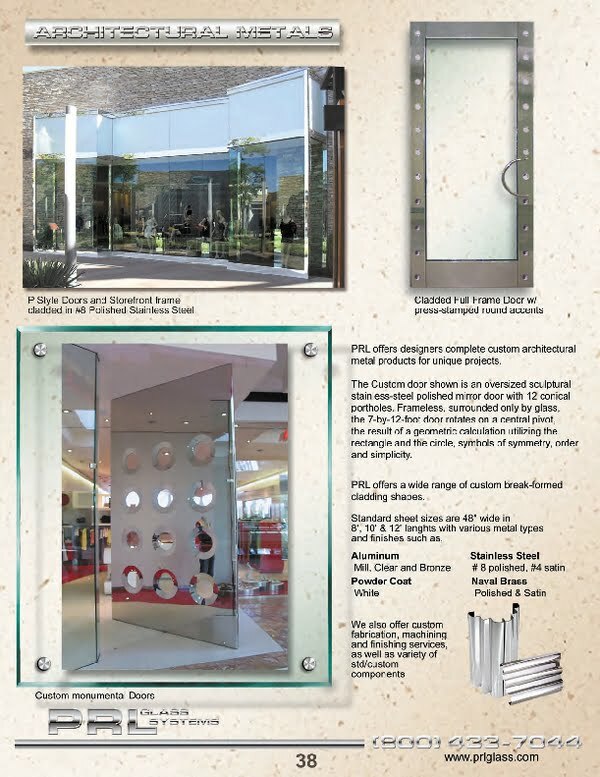 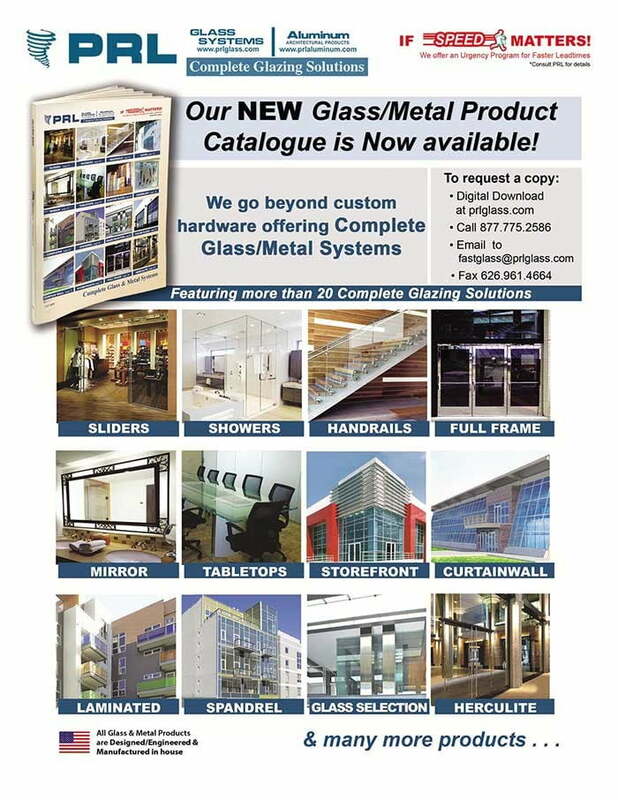 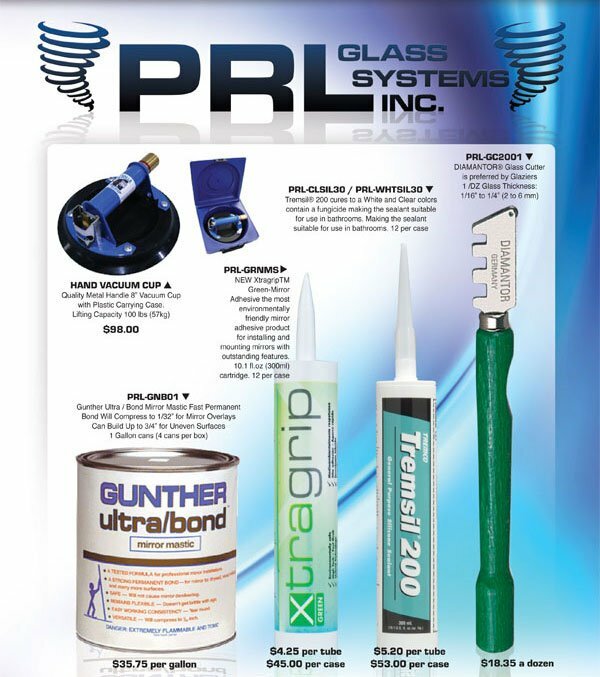 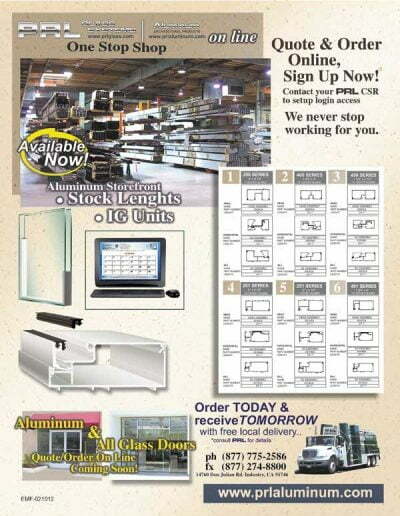 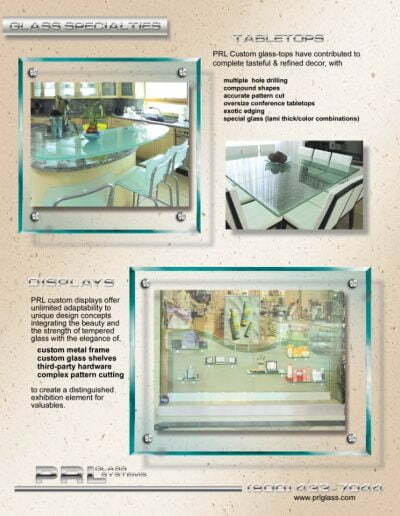 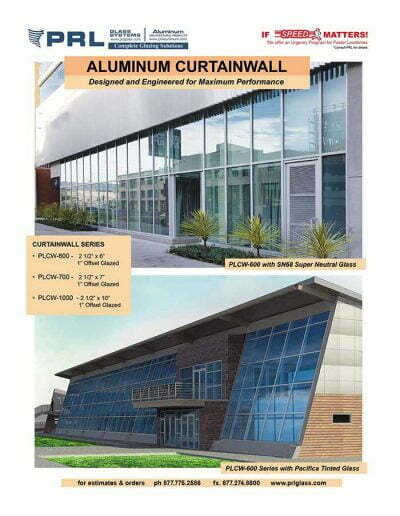 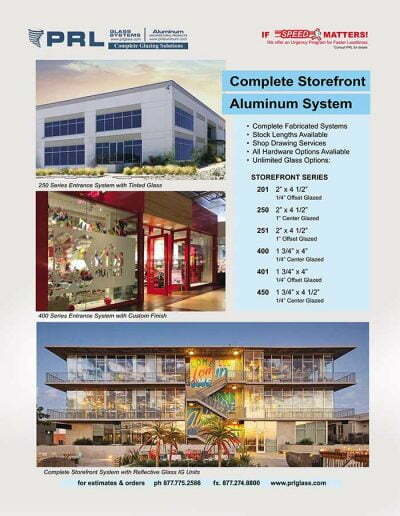 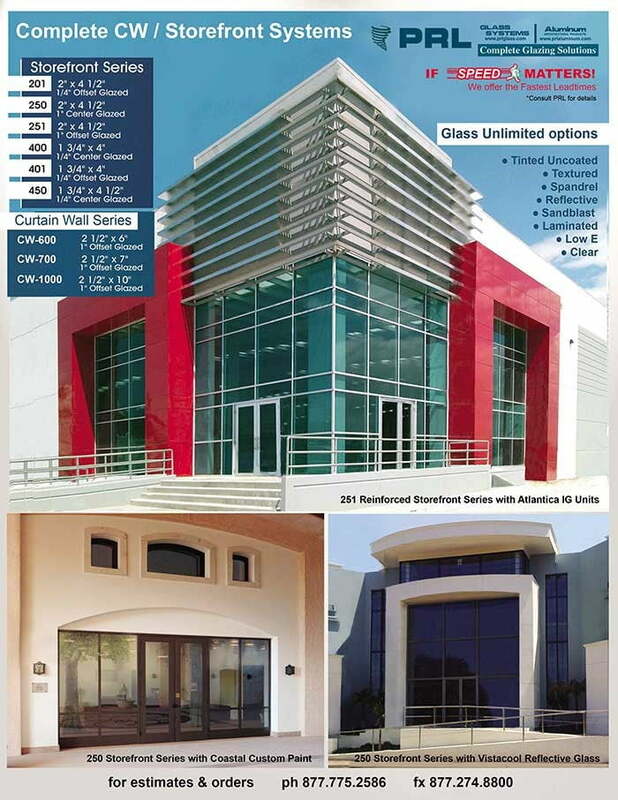 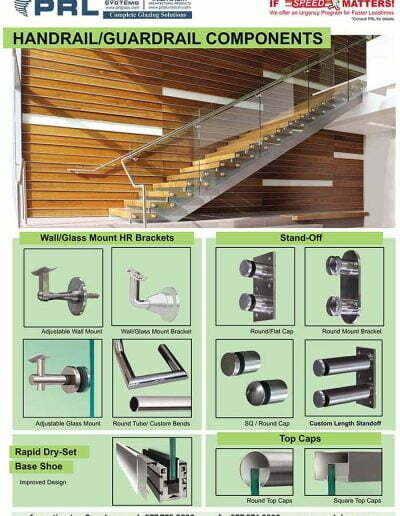 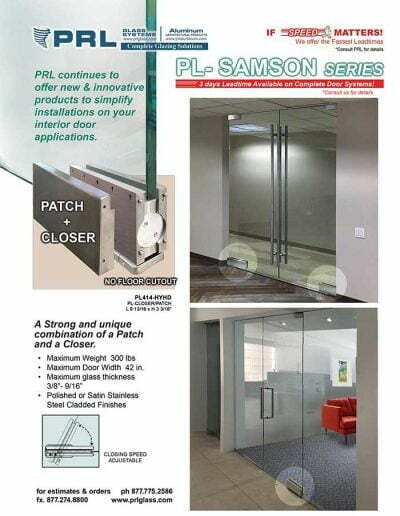 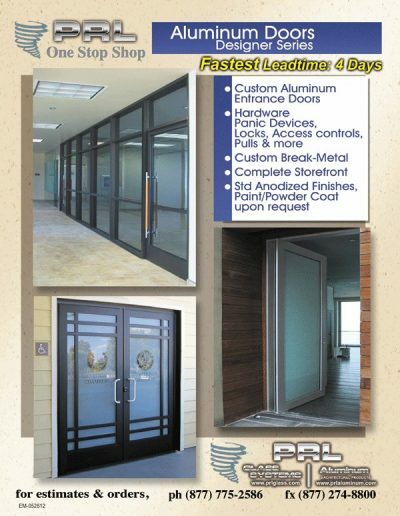 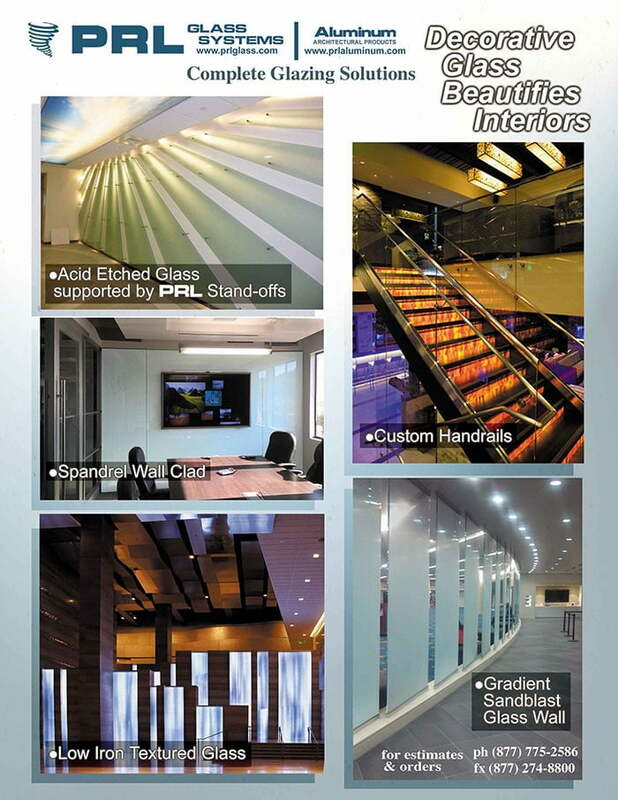 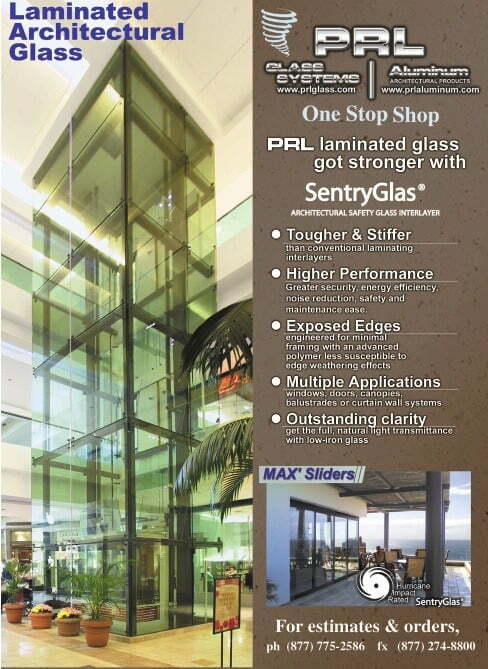 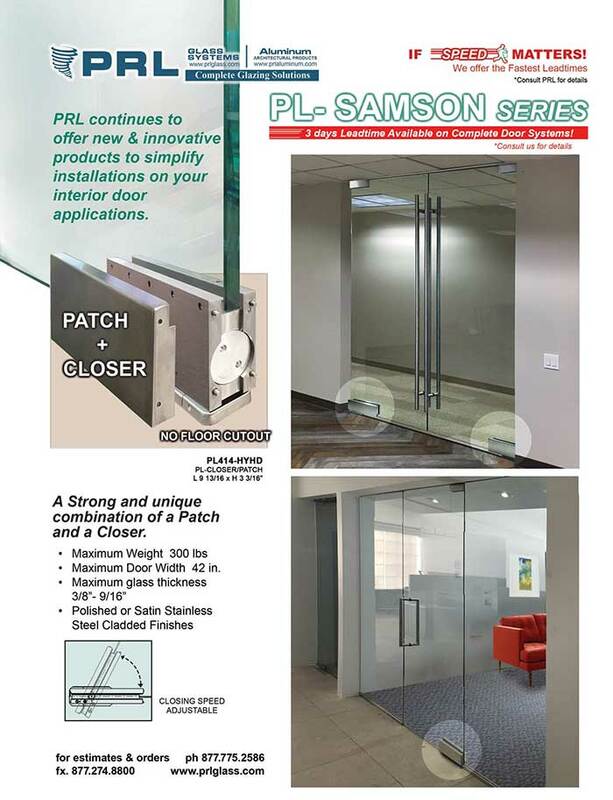 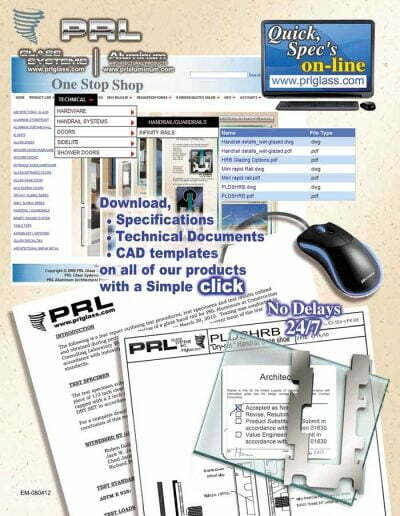 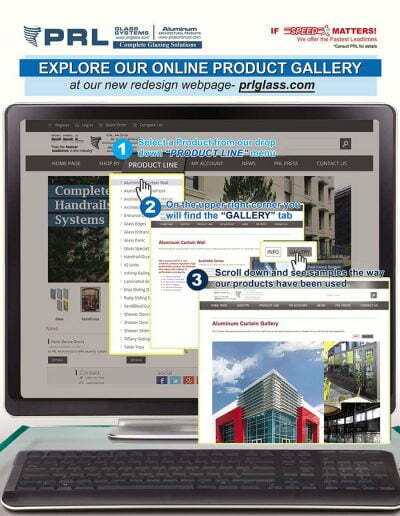 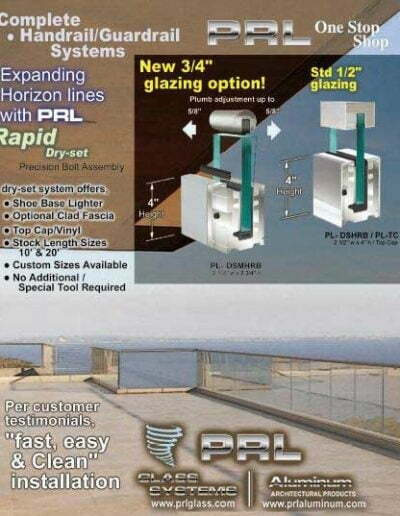 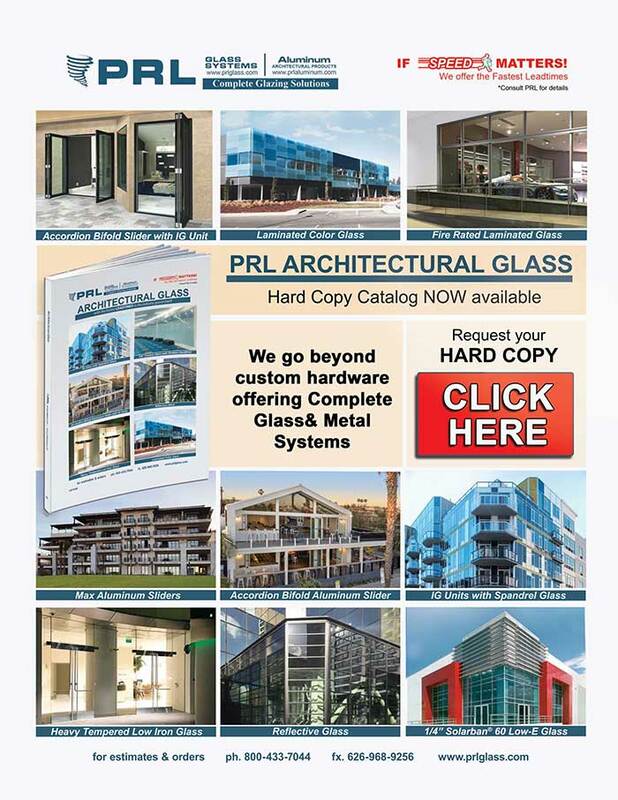 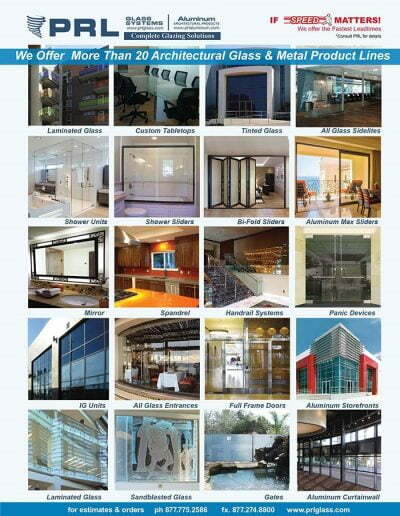 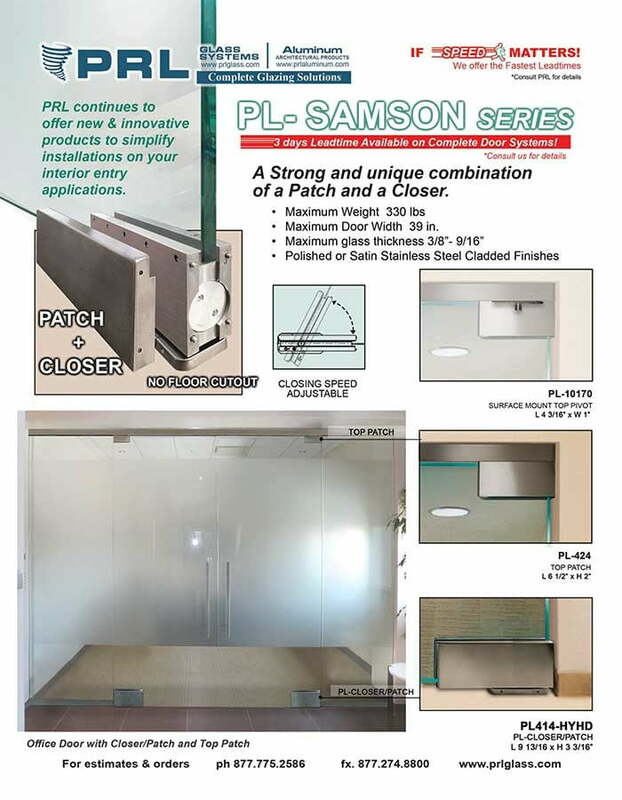 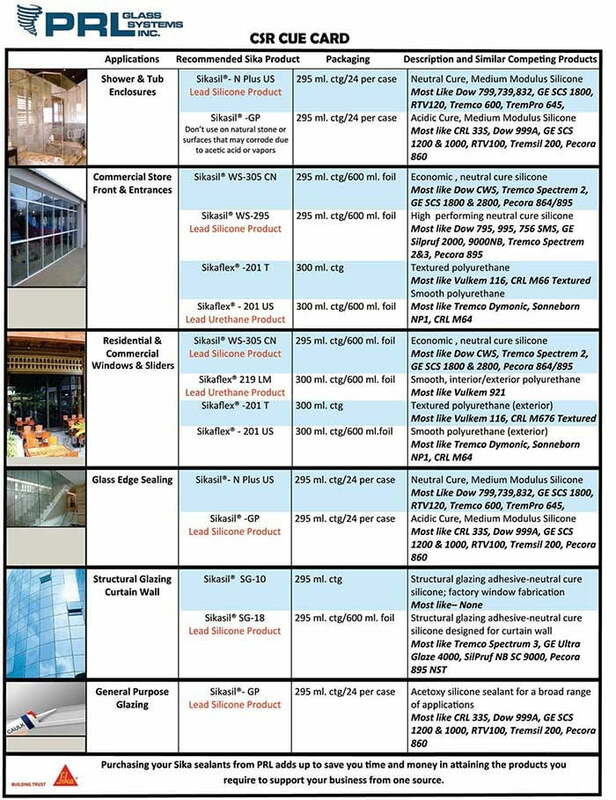 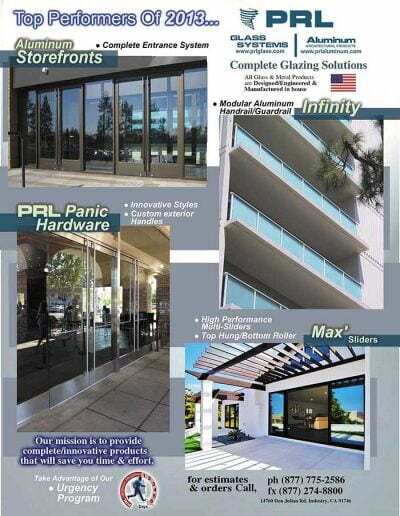 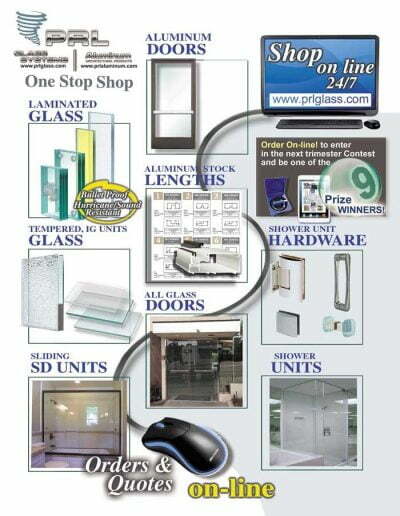 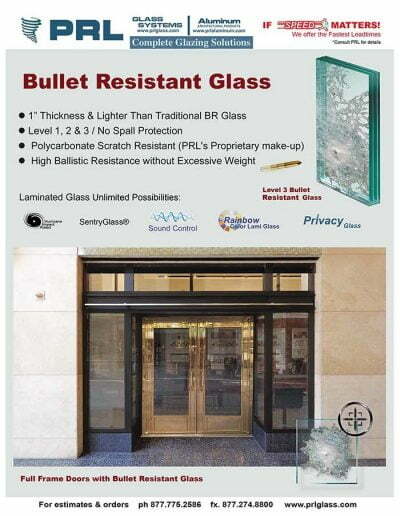 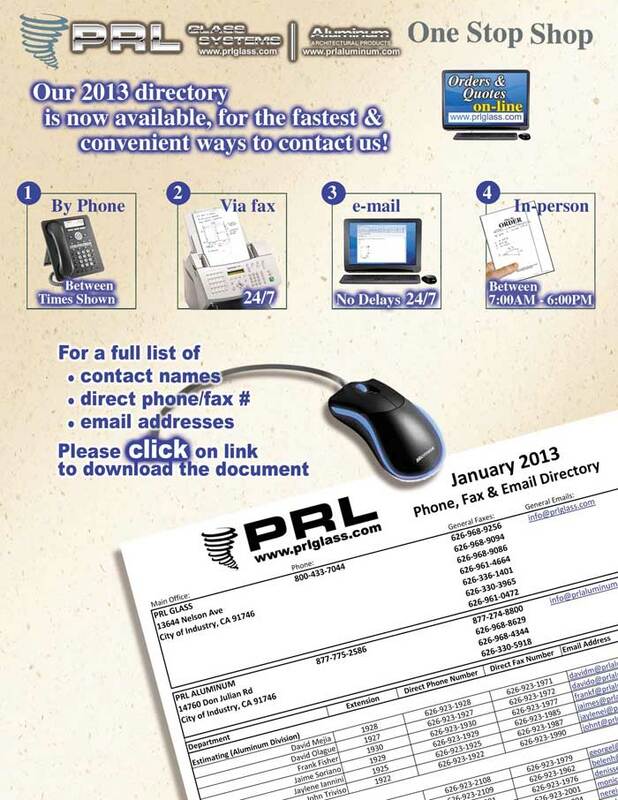 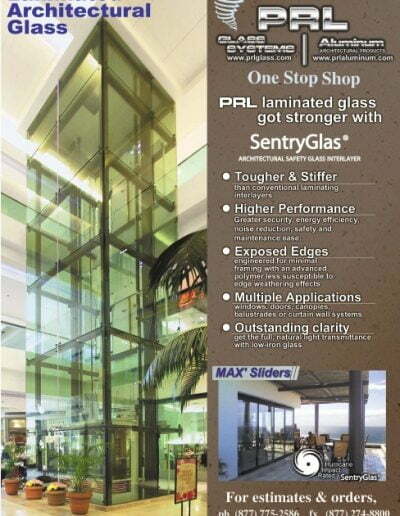 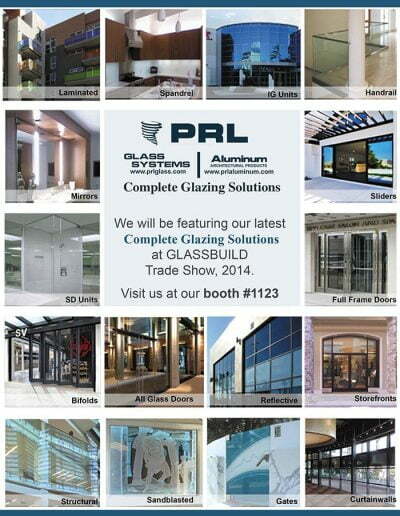 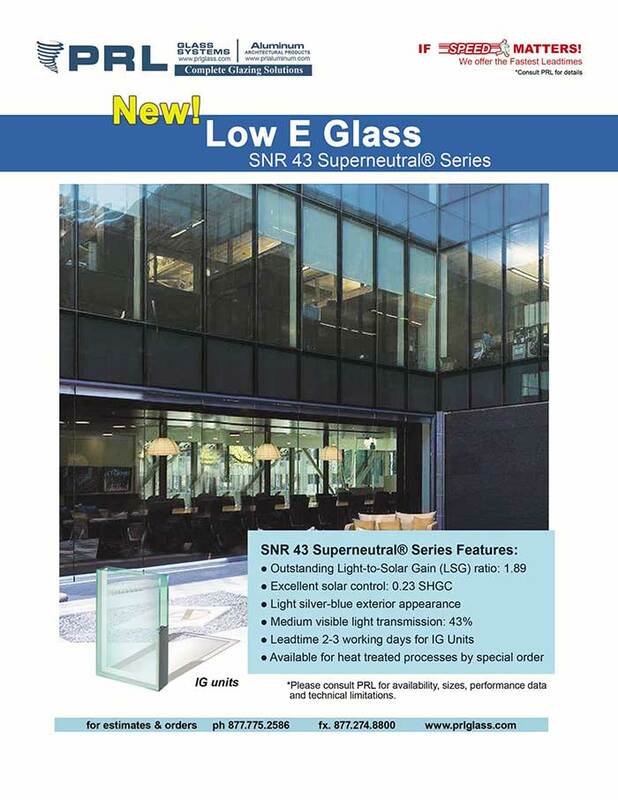 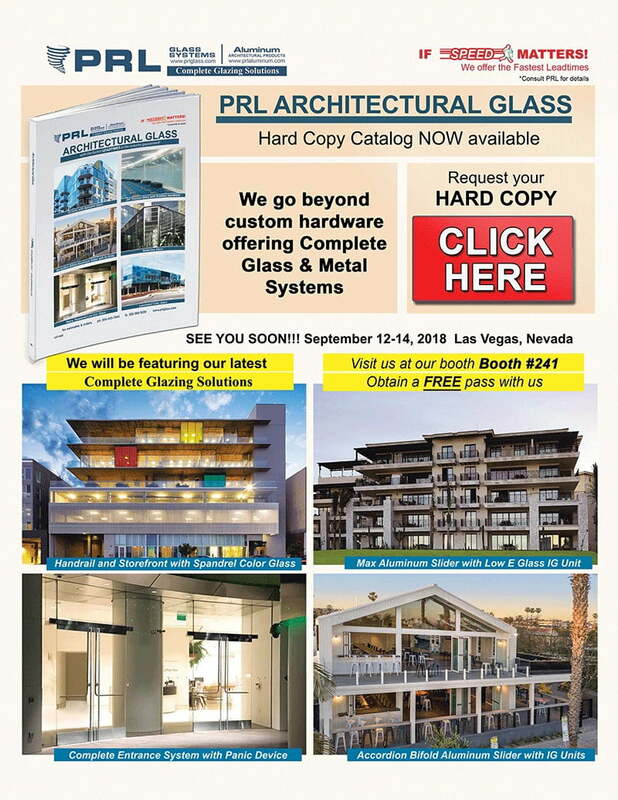 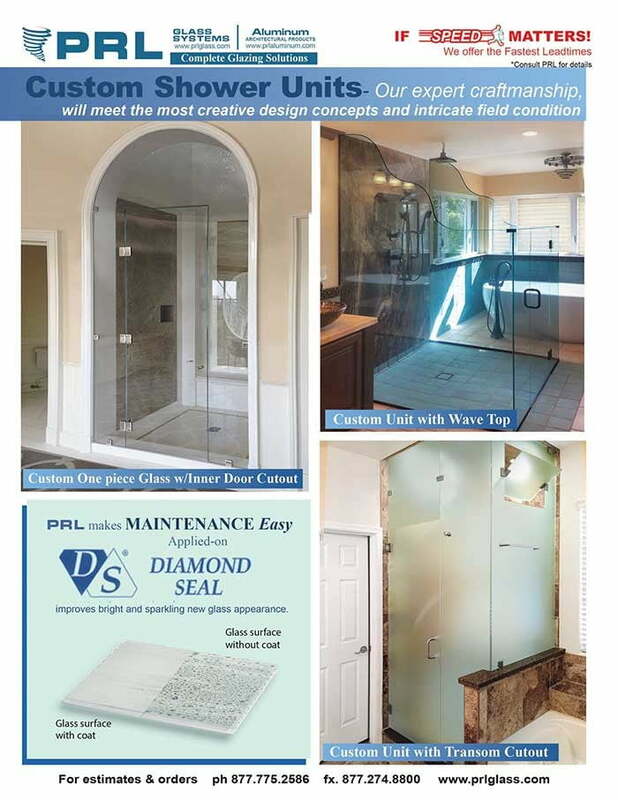 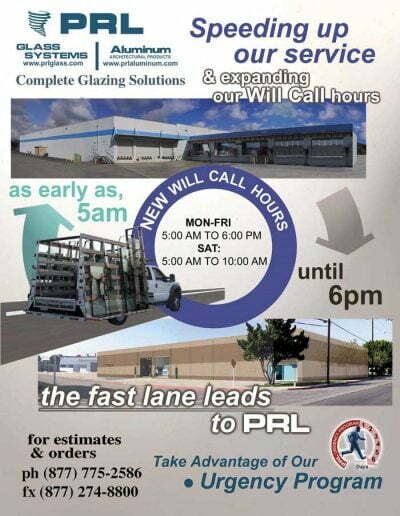 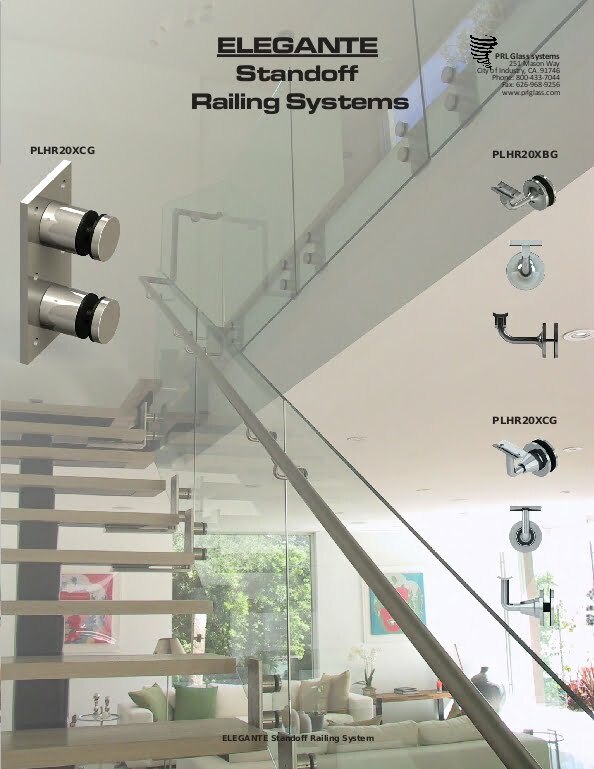 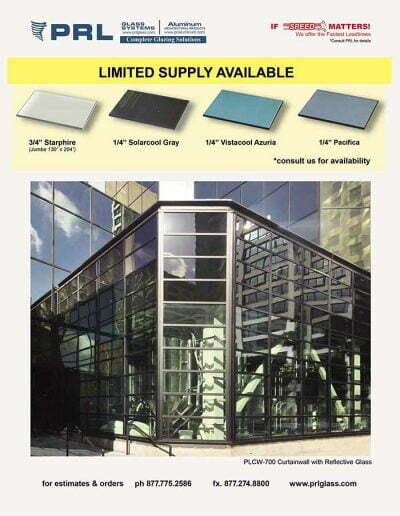 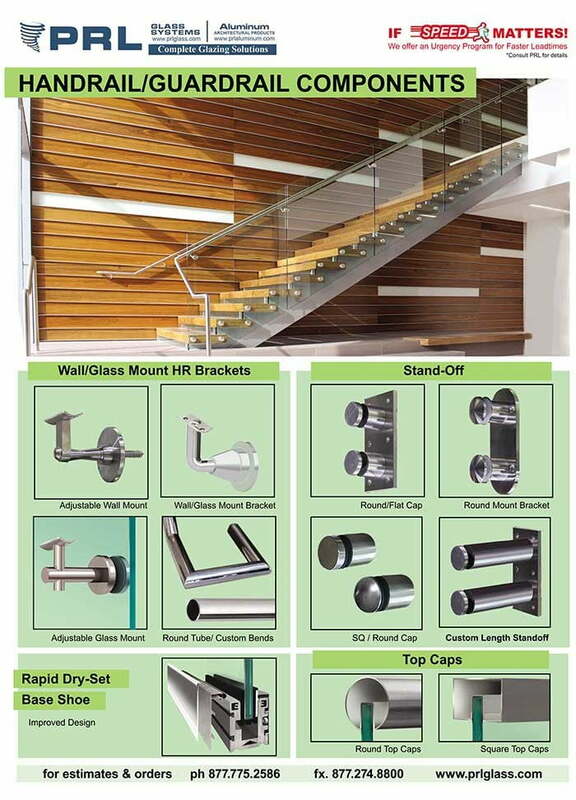 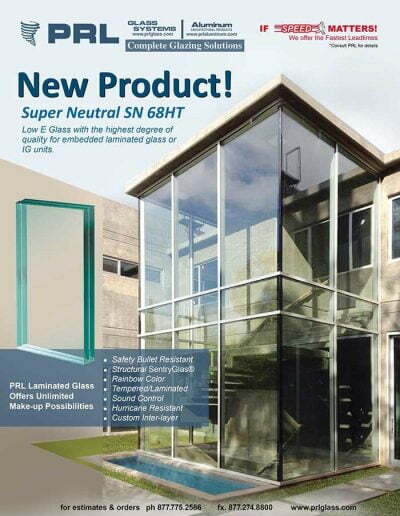 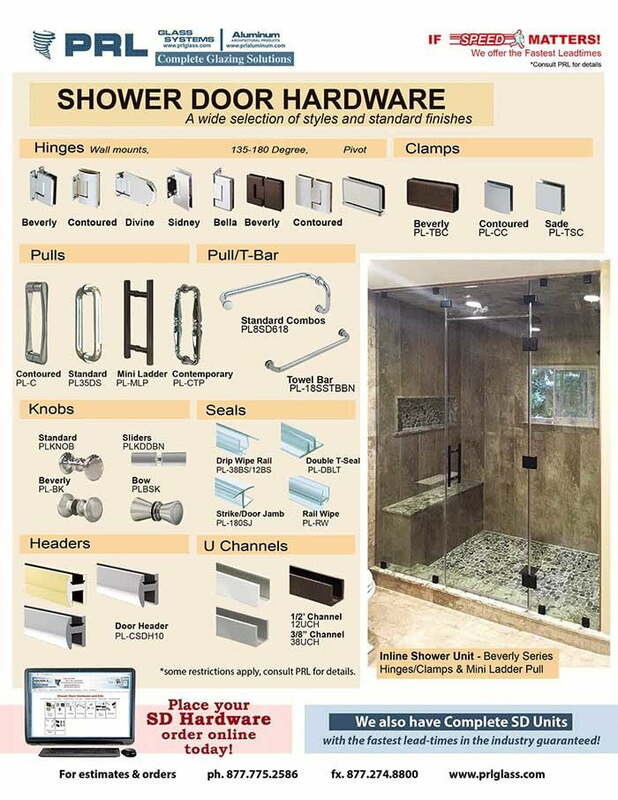 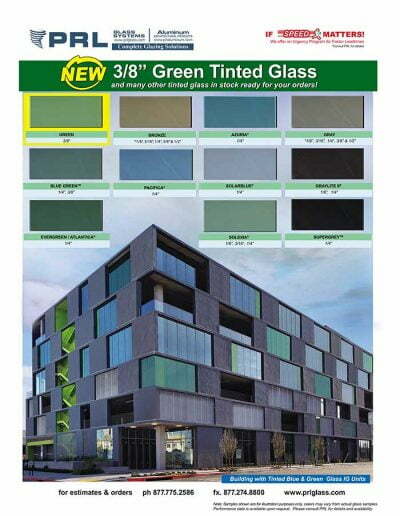 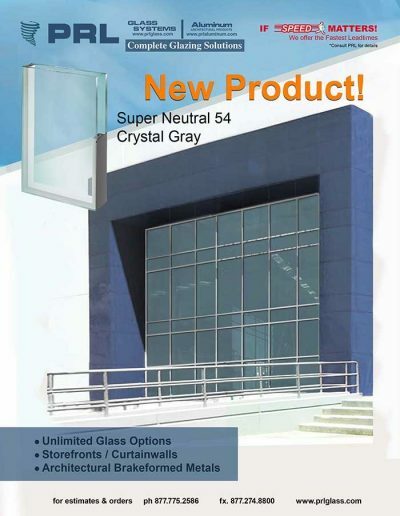 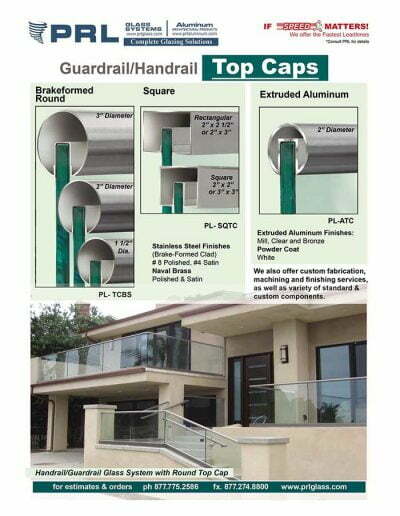 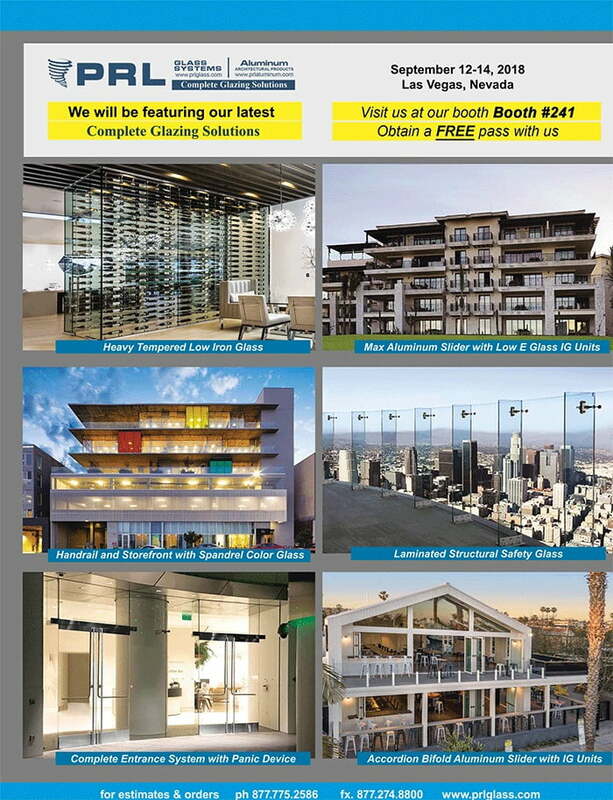 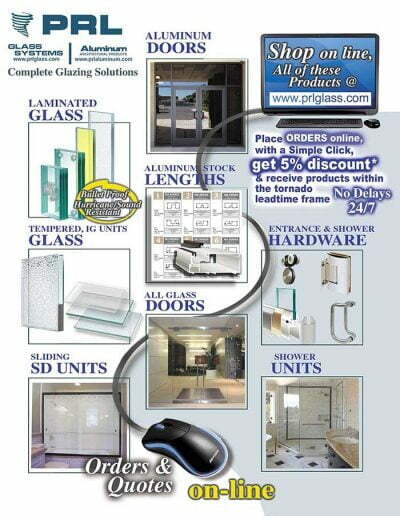 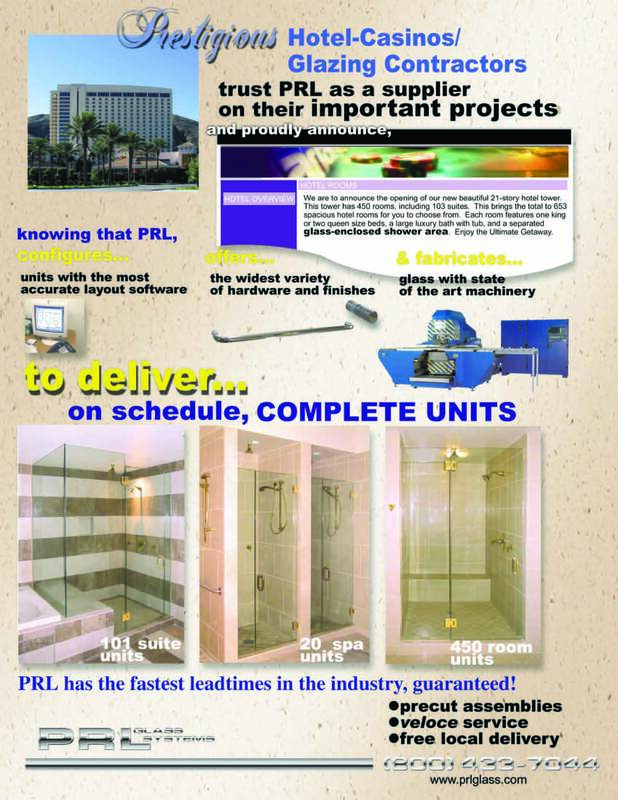 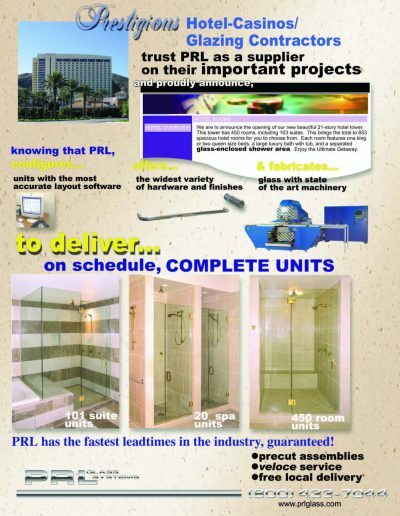 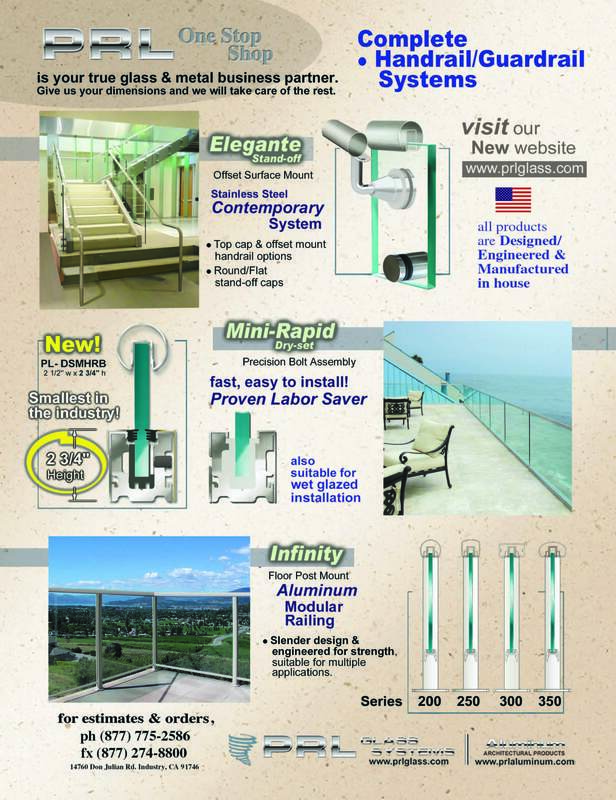 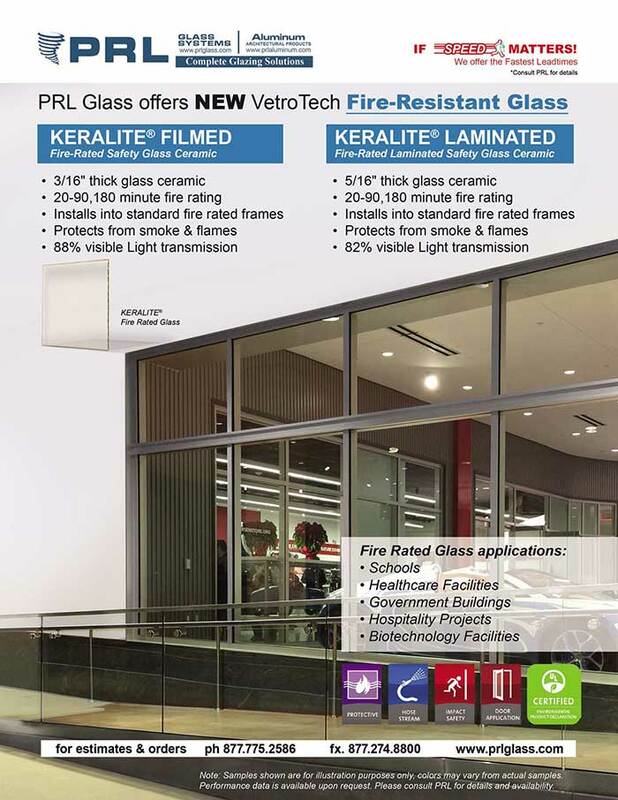 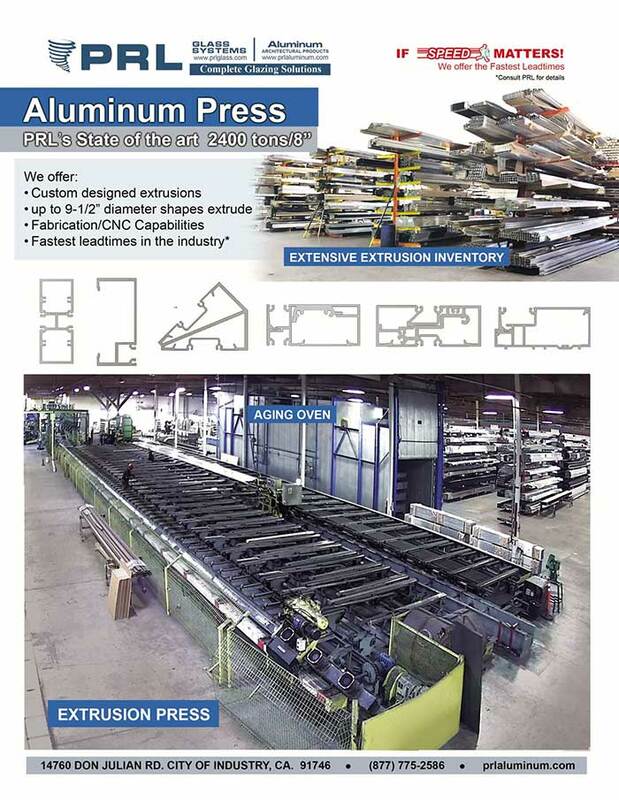 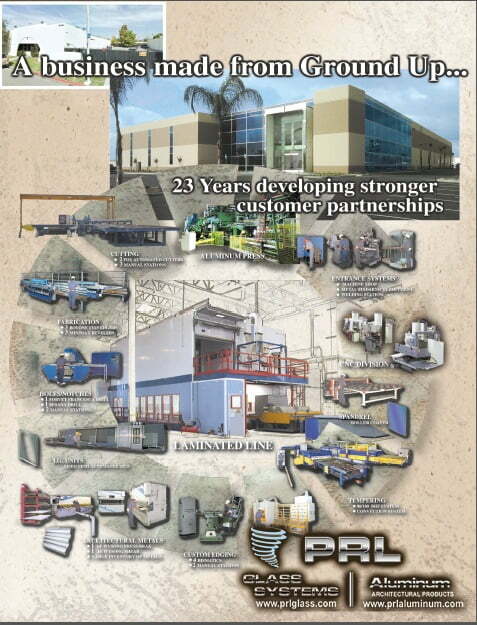 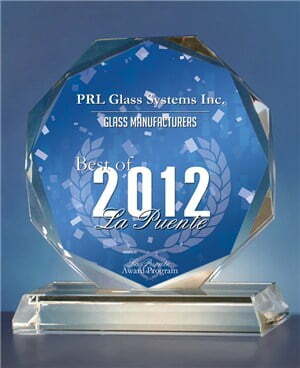 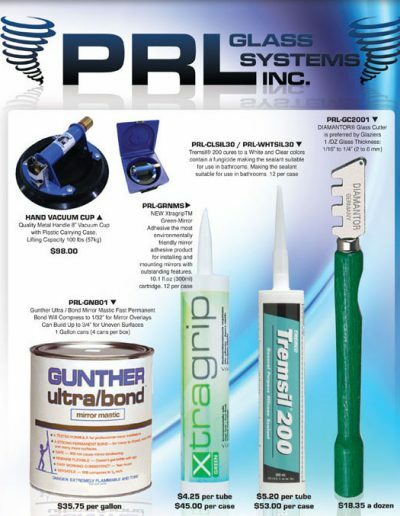 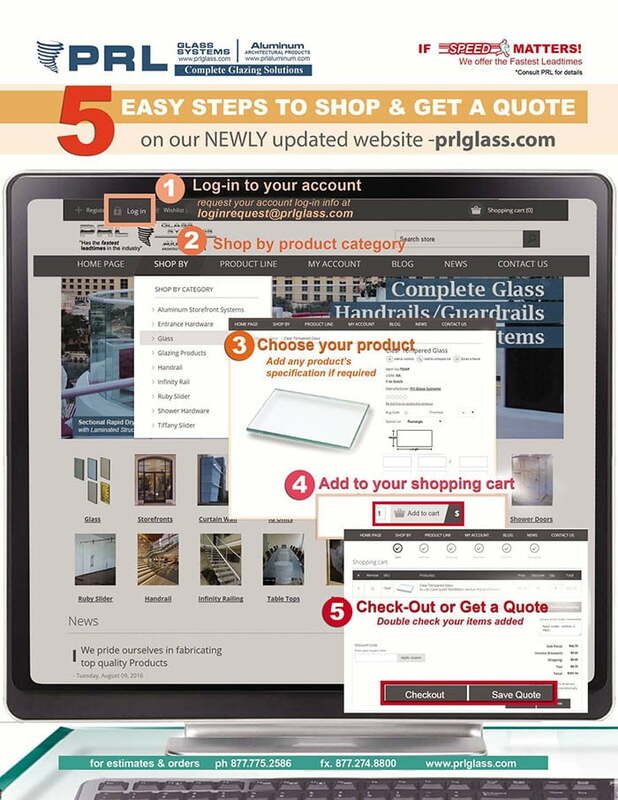 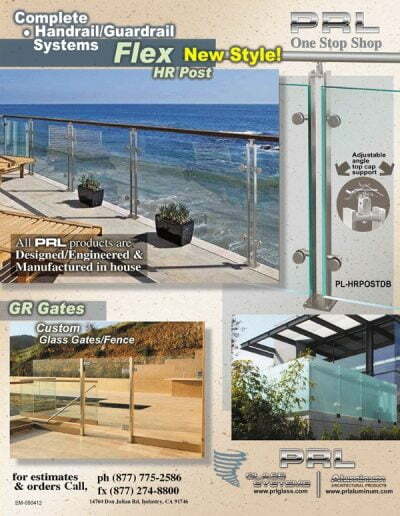 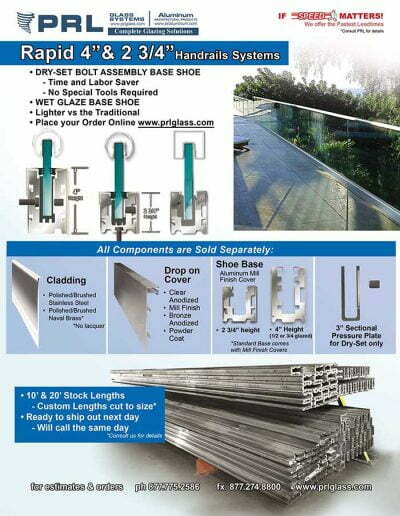 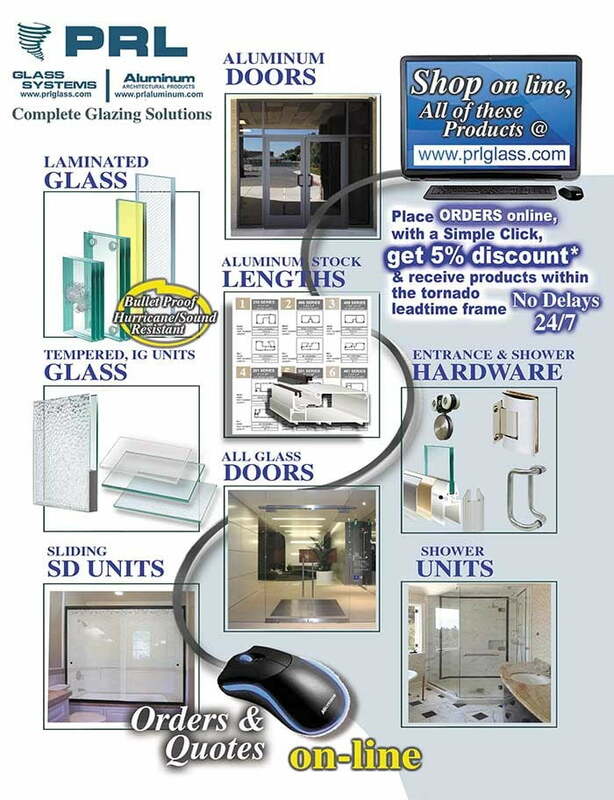 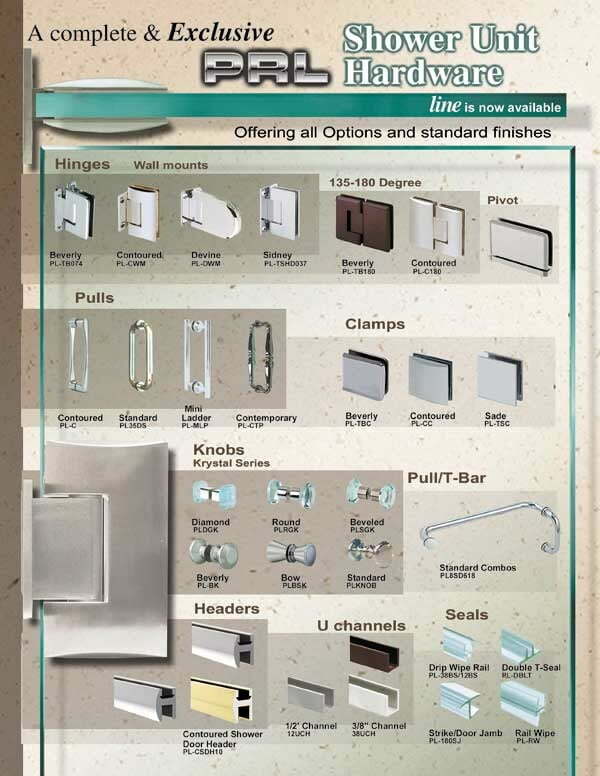 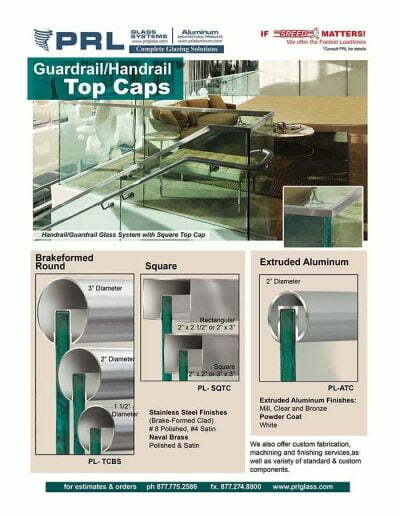 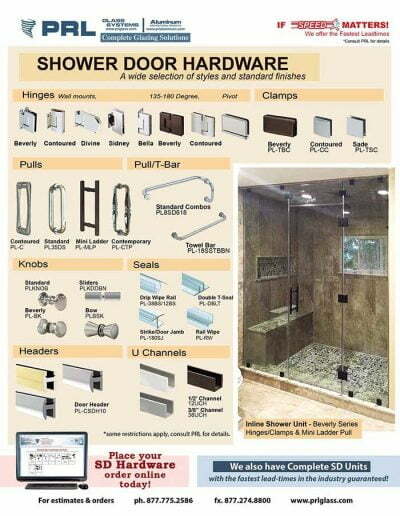 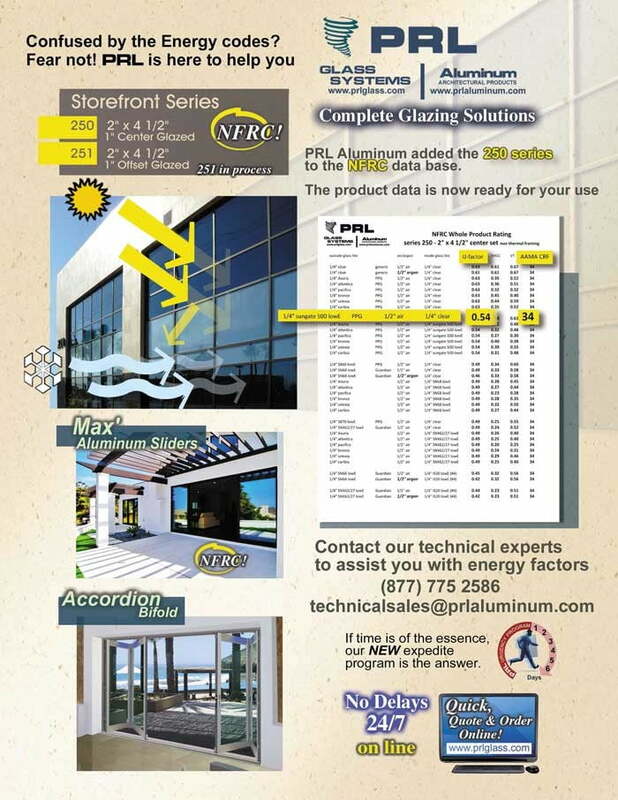 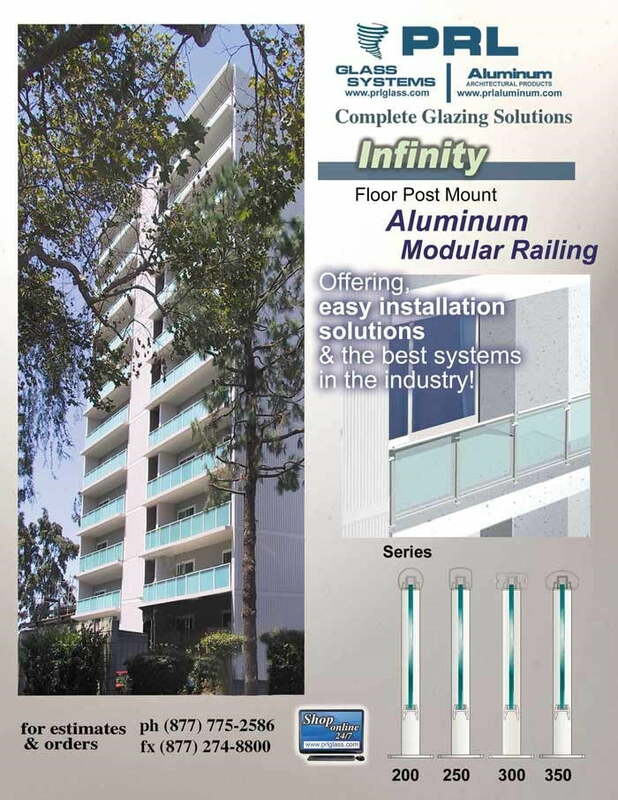 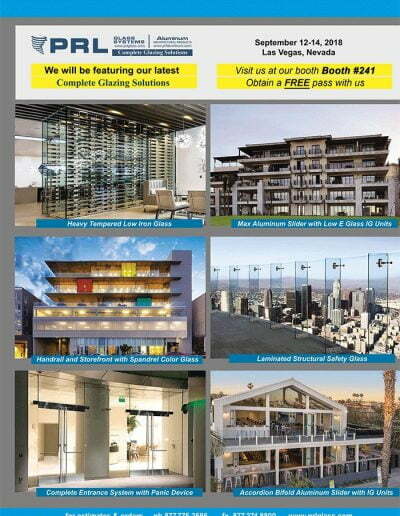 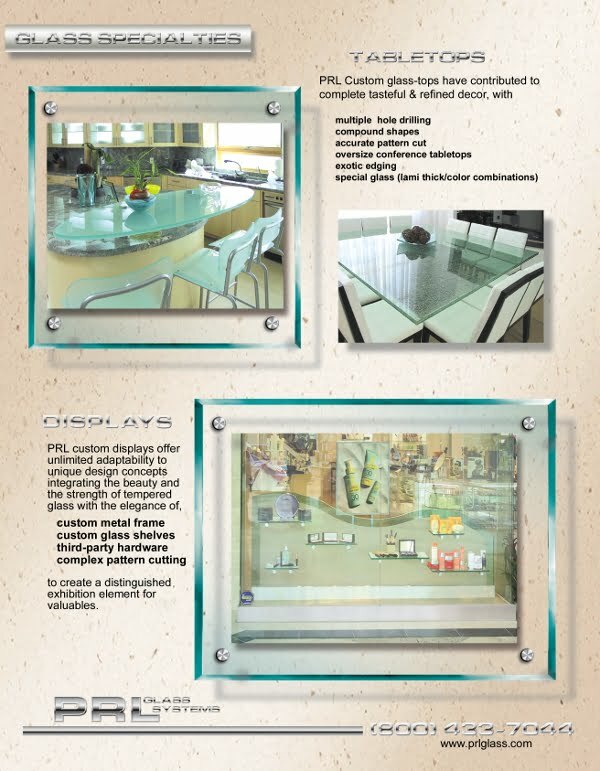 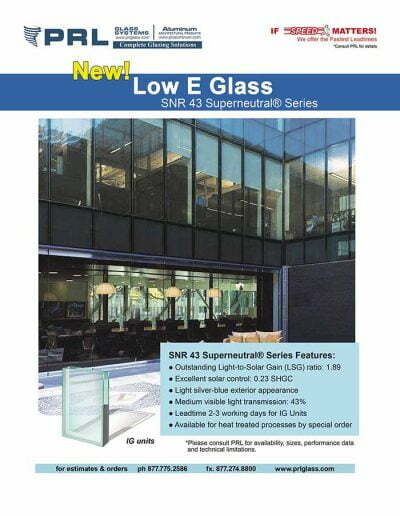 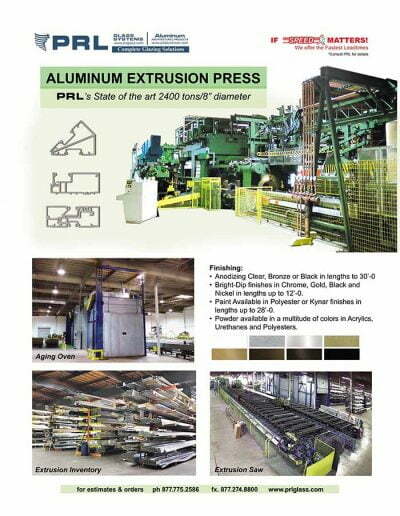 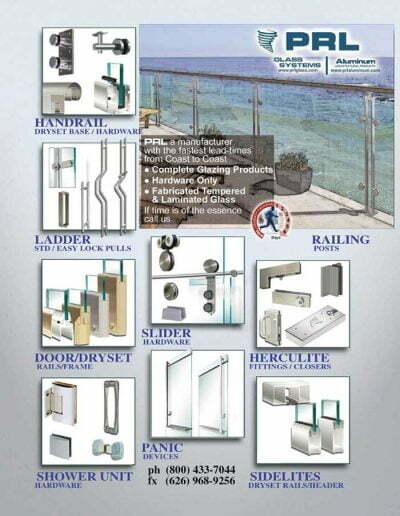 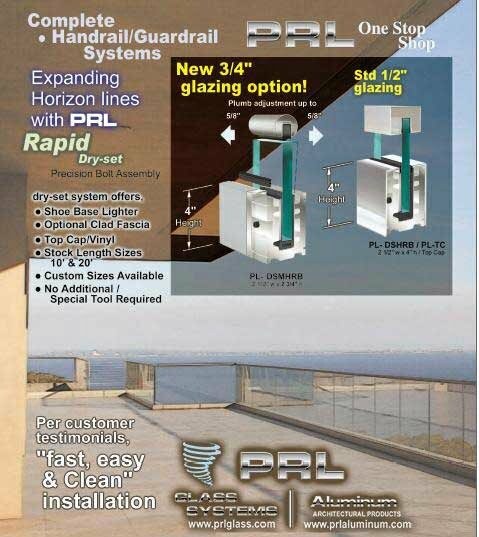 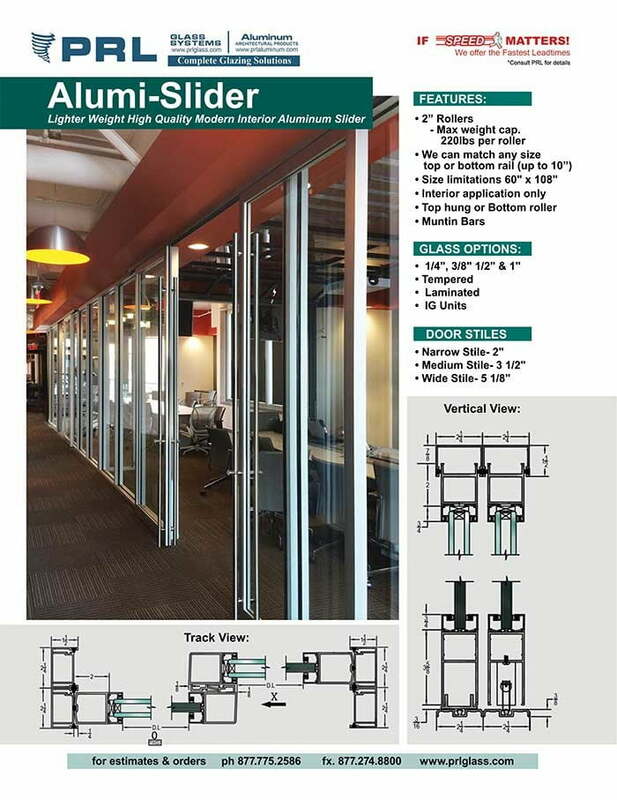 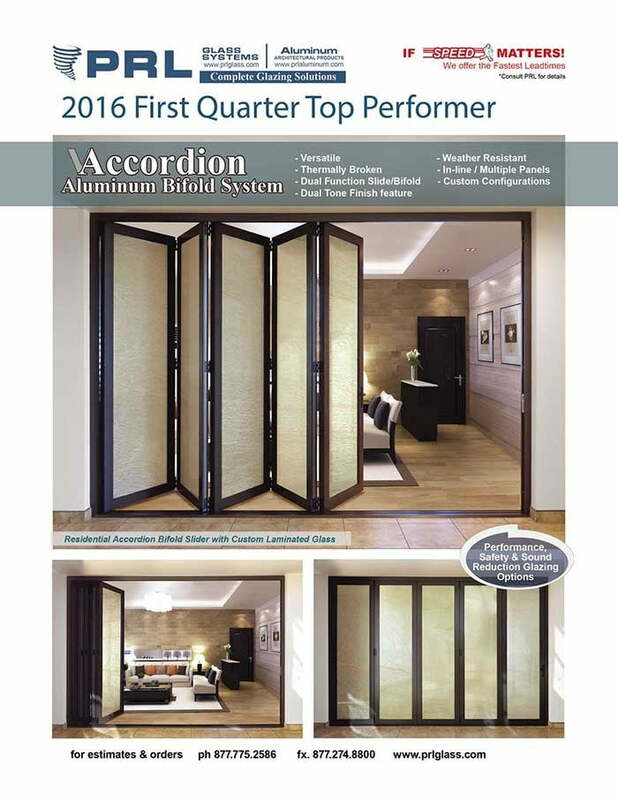 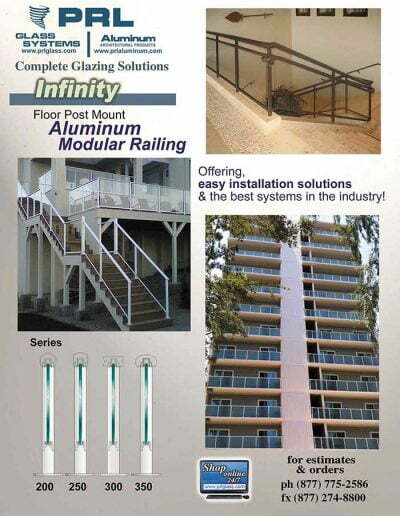 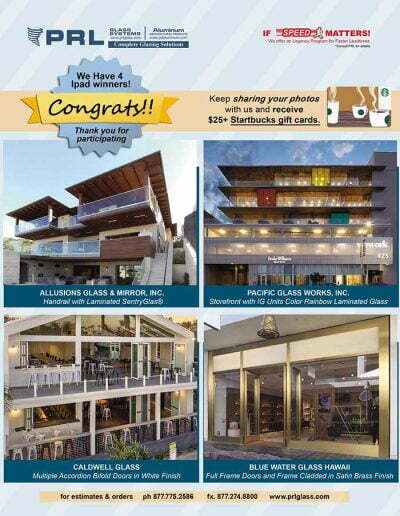 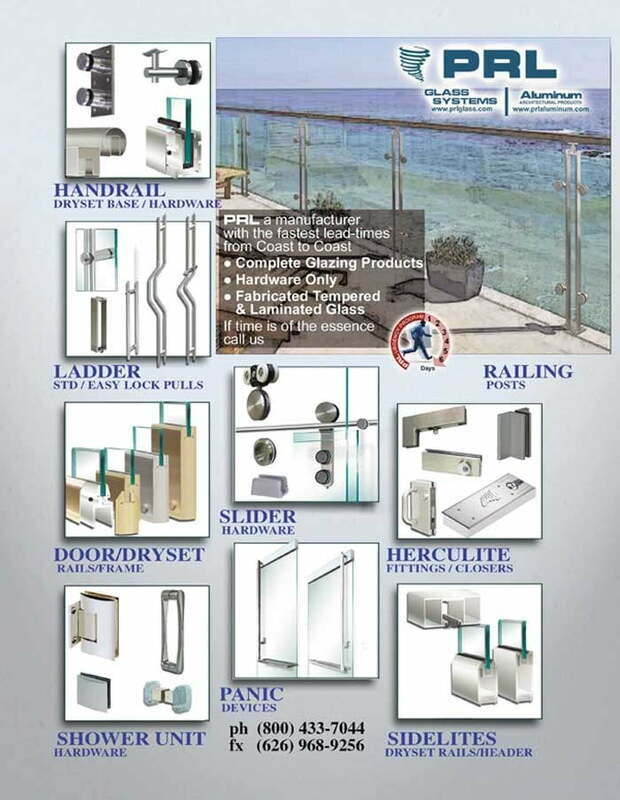 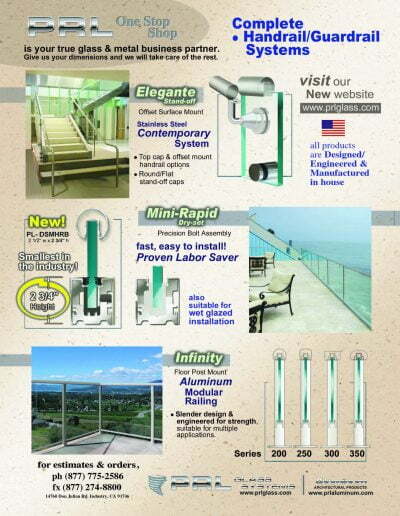 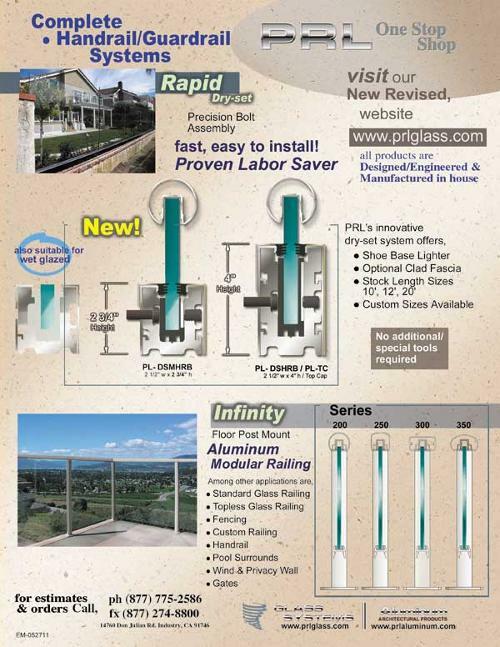 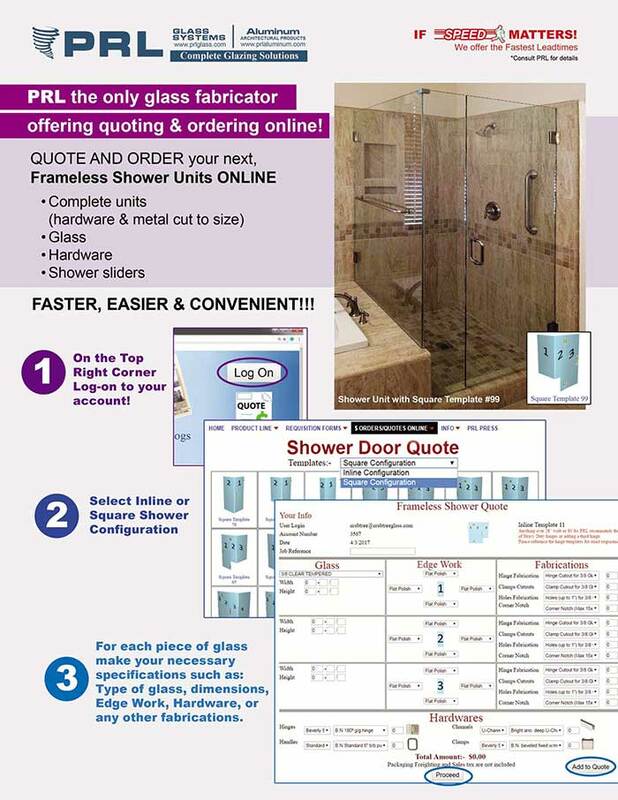 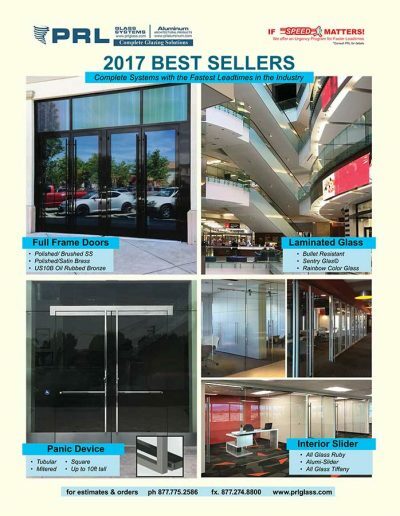 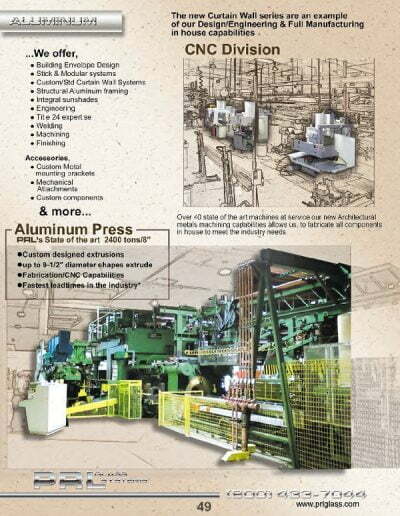 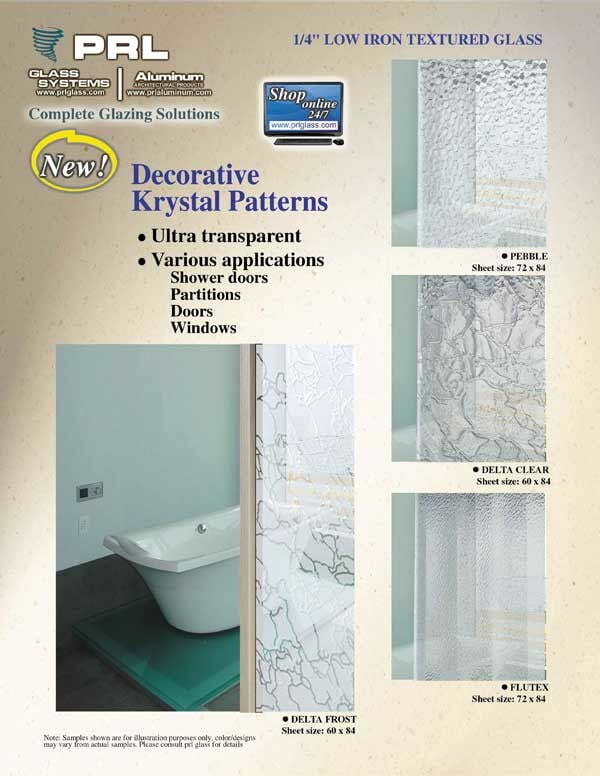 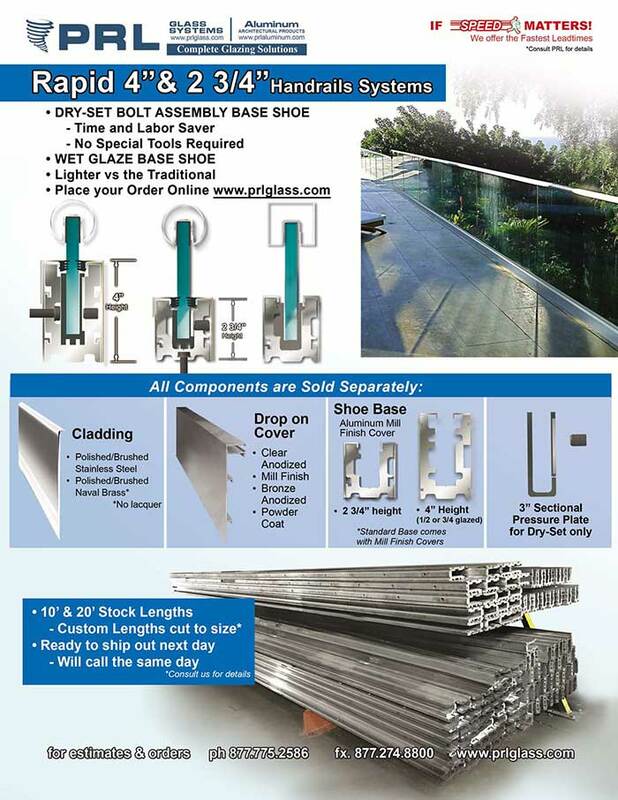 Offering a huge selection of top-quality architectural break metal products, PRL is your go-to source! 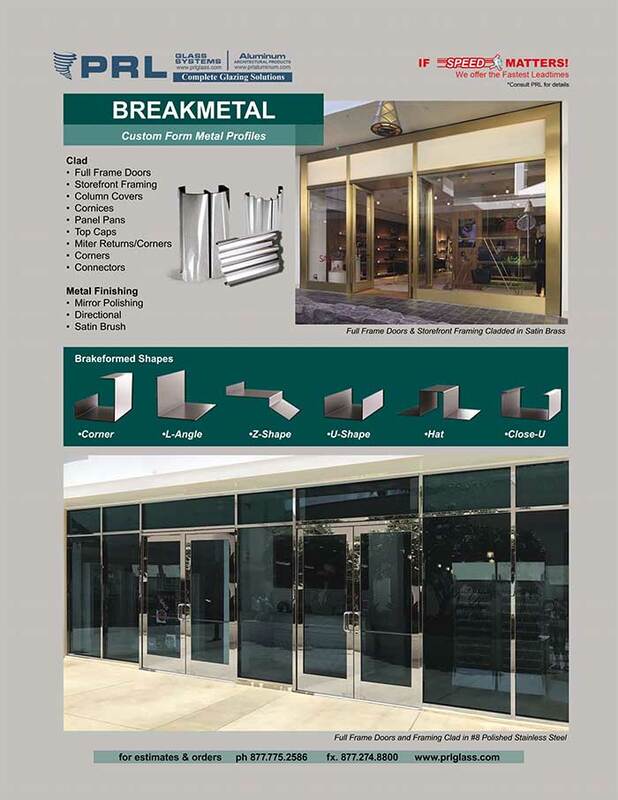 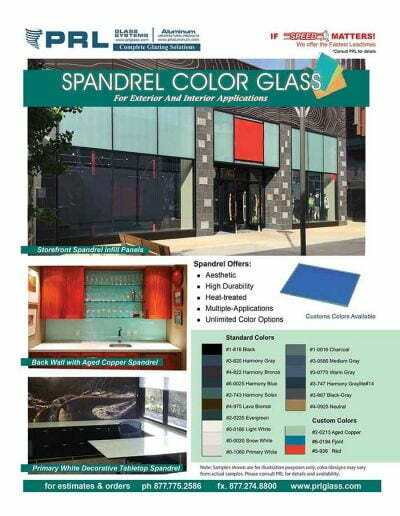 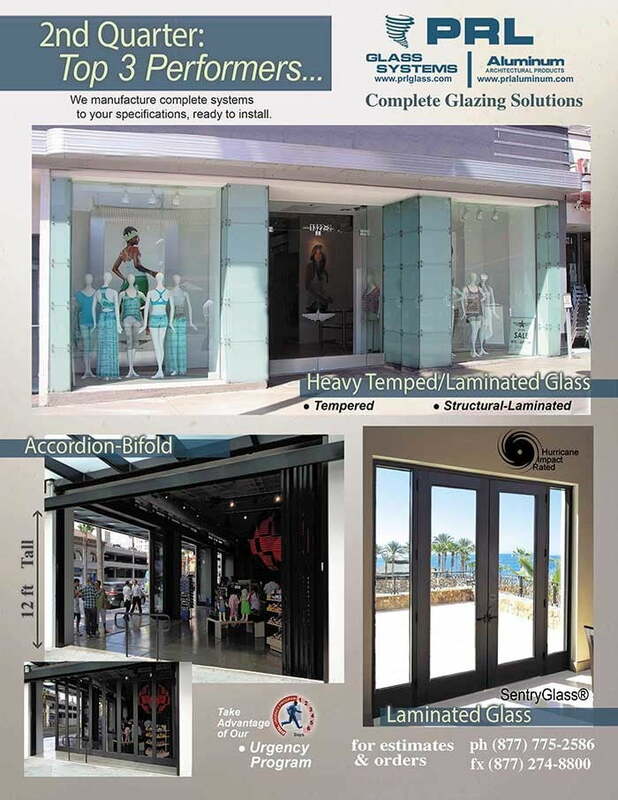 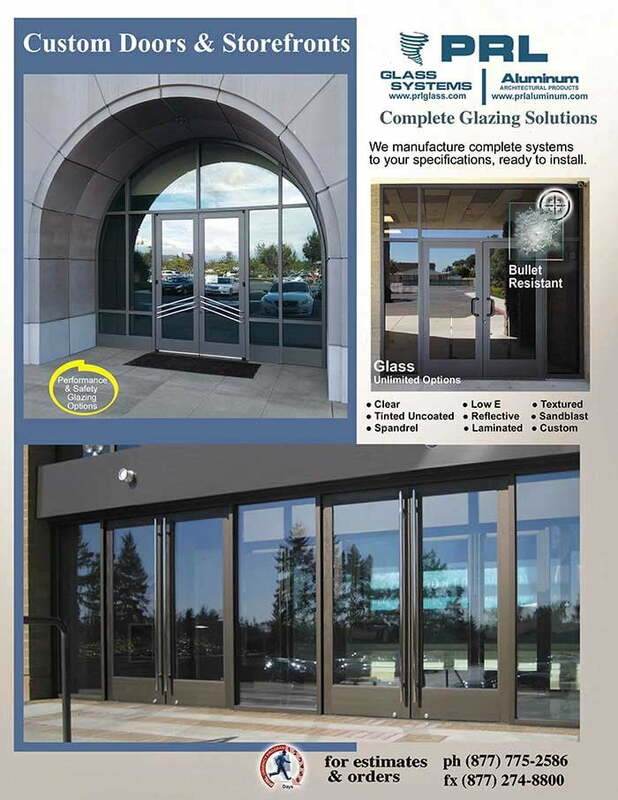 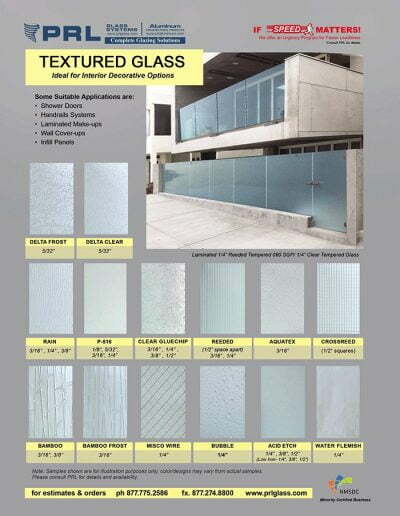 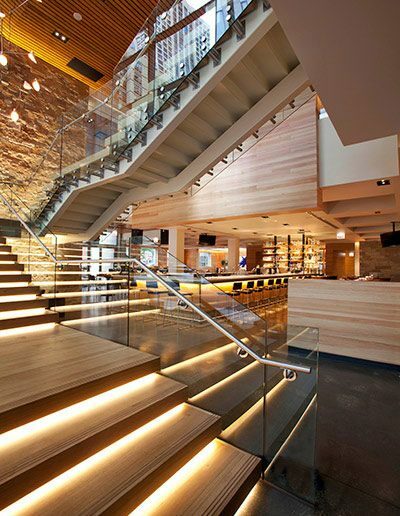 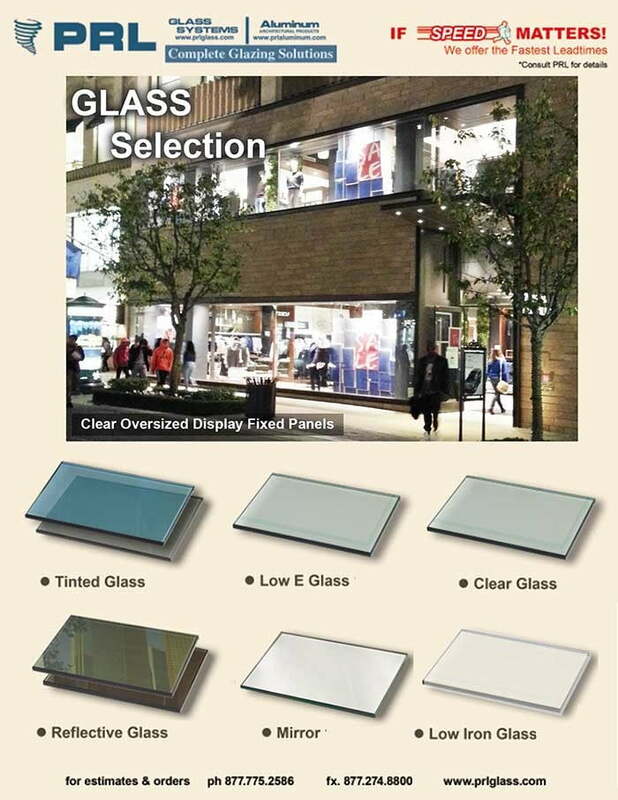 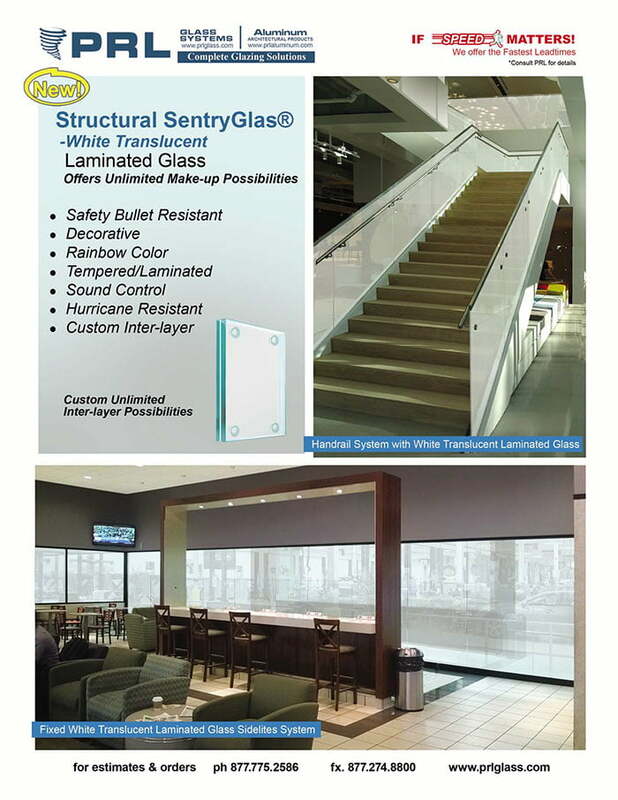 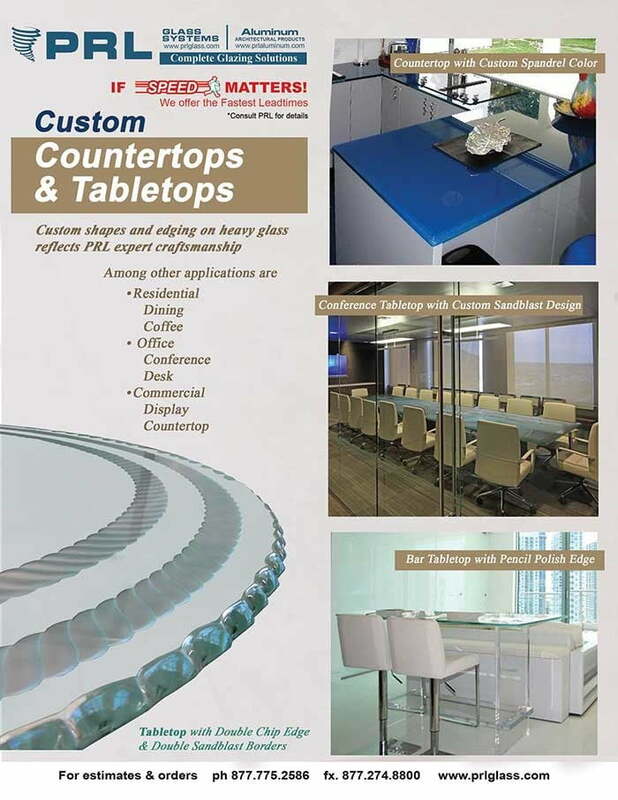 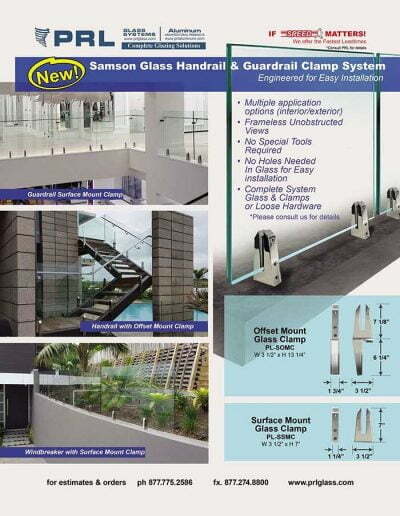 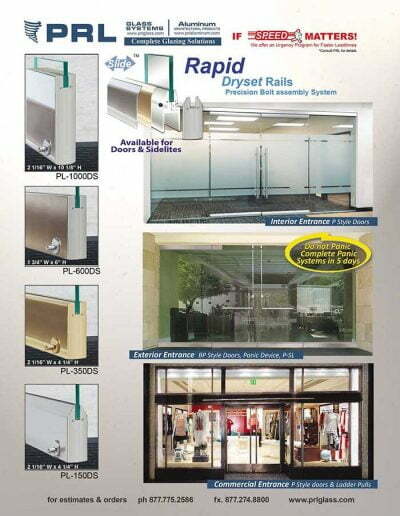 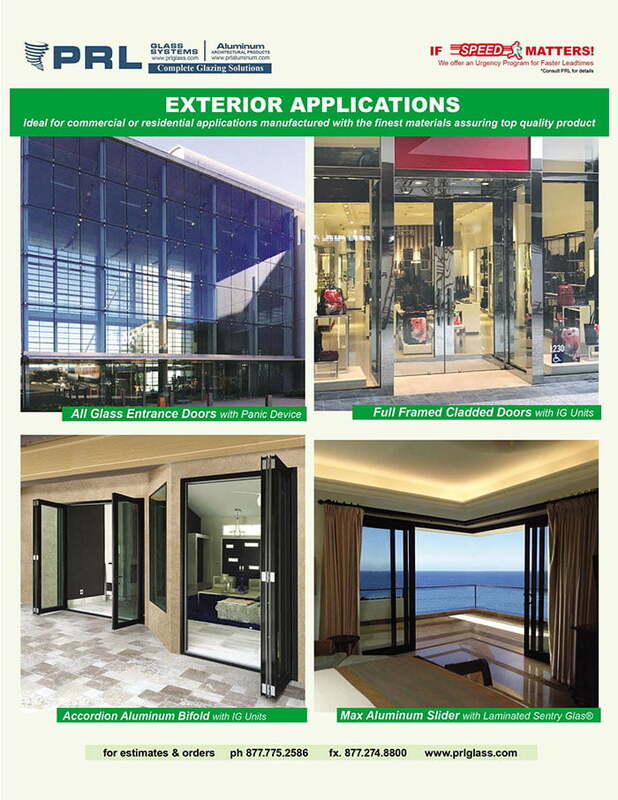 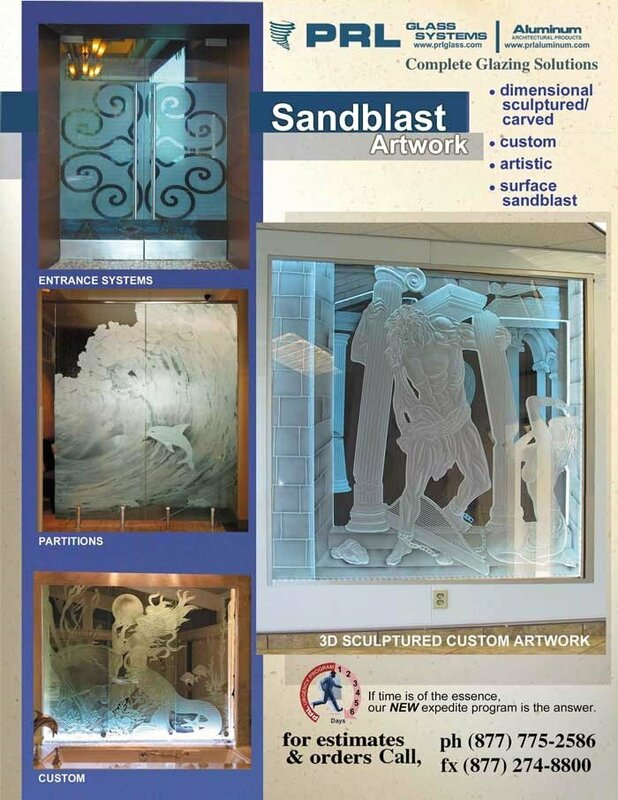 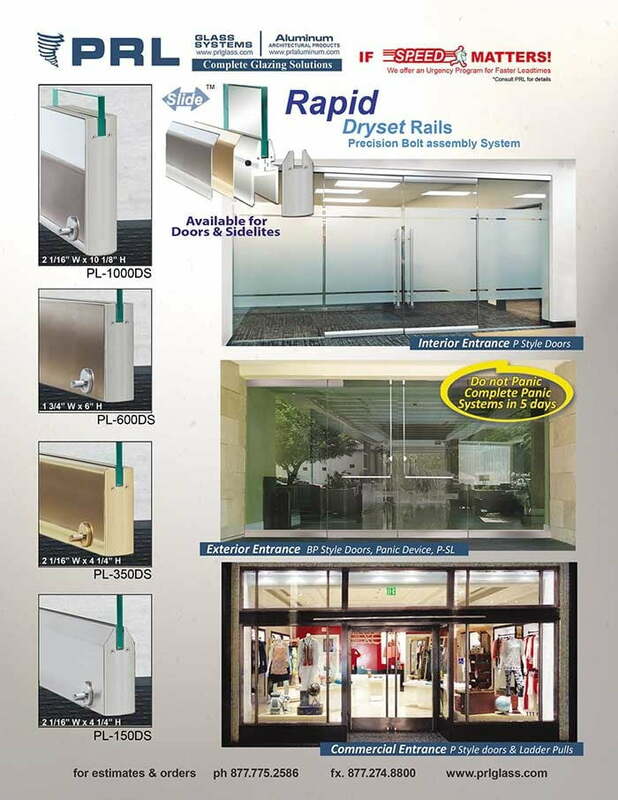 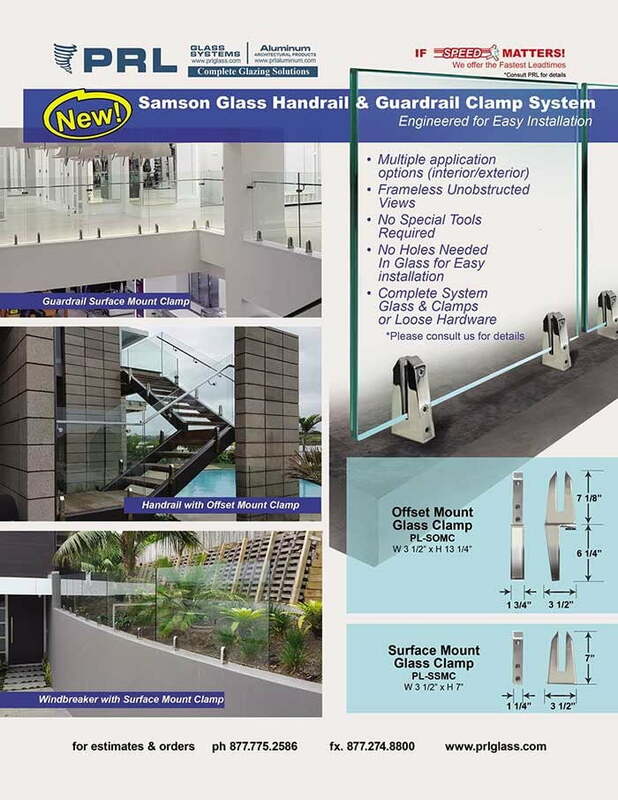 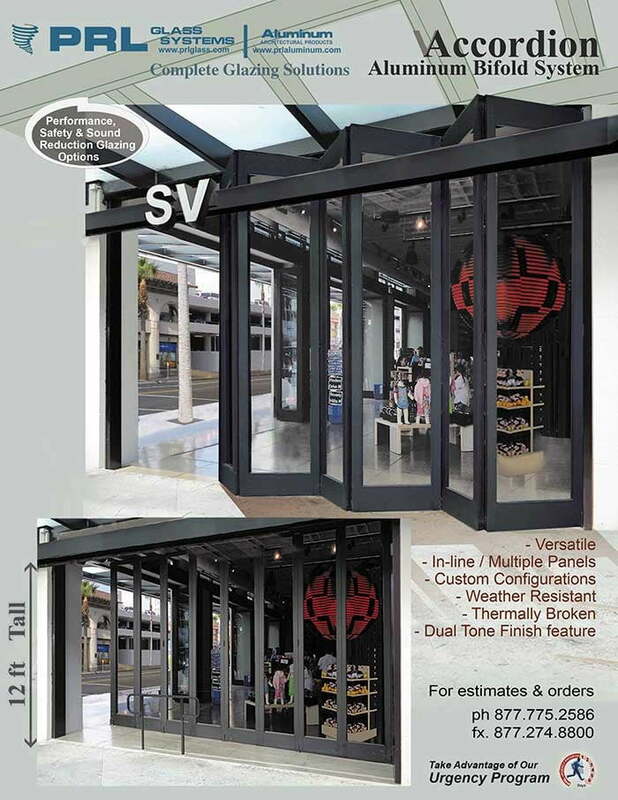 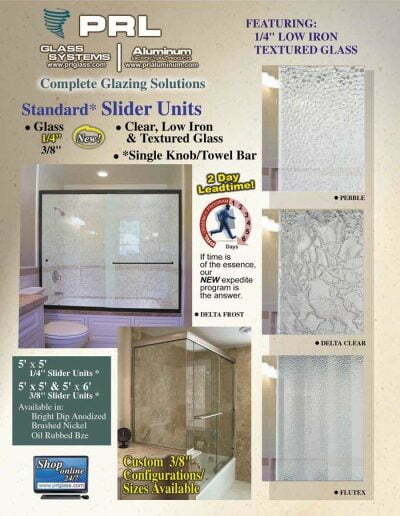 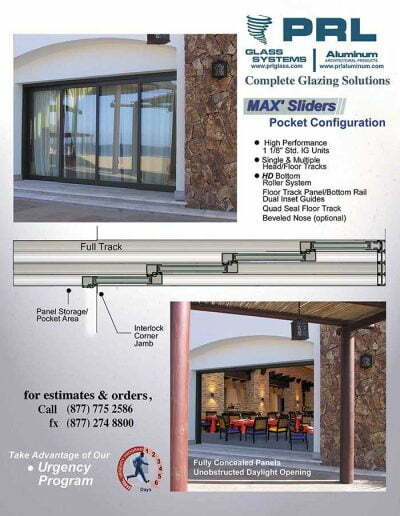 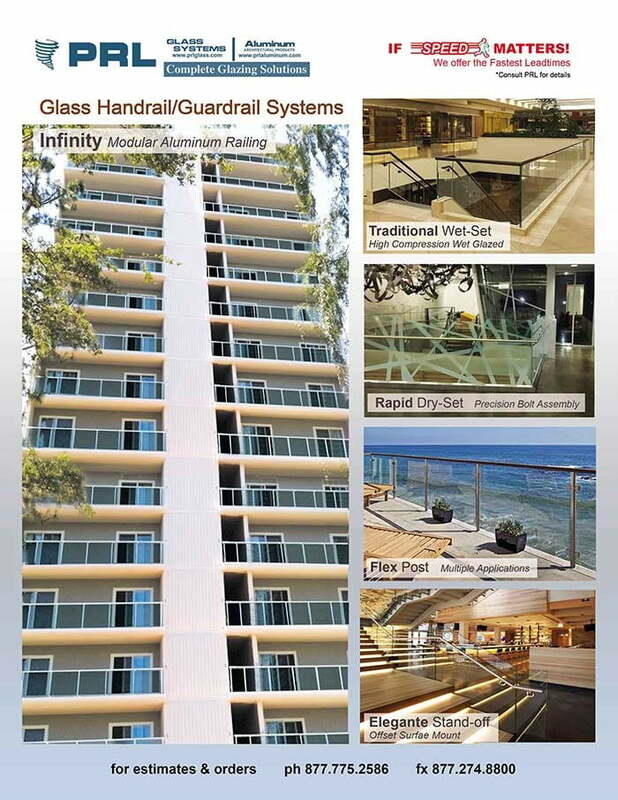 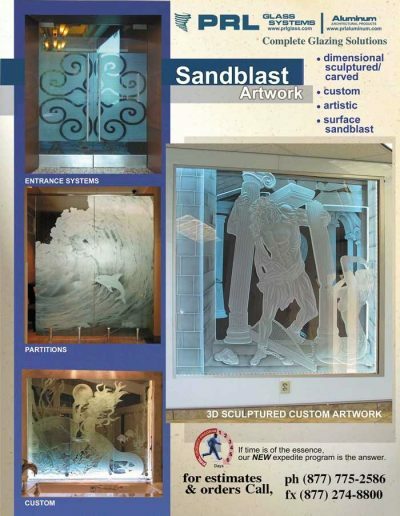 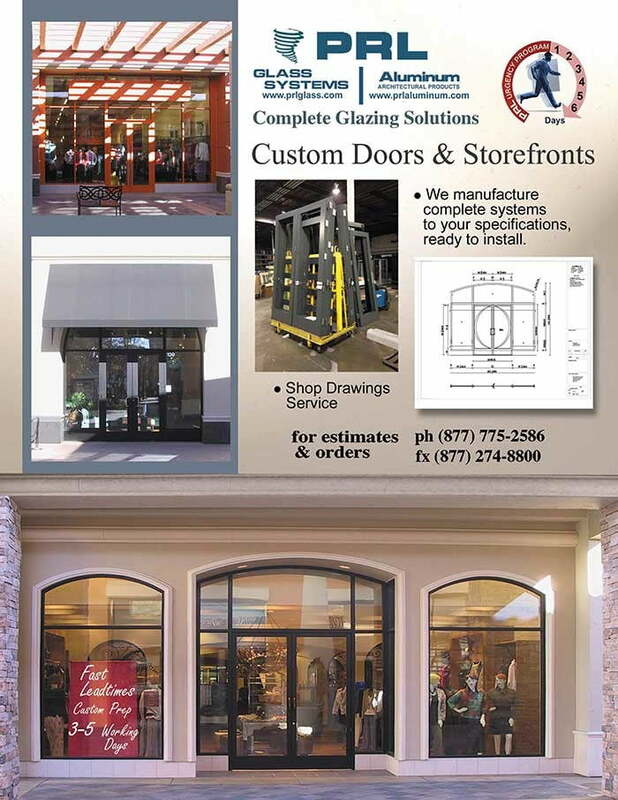 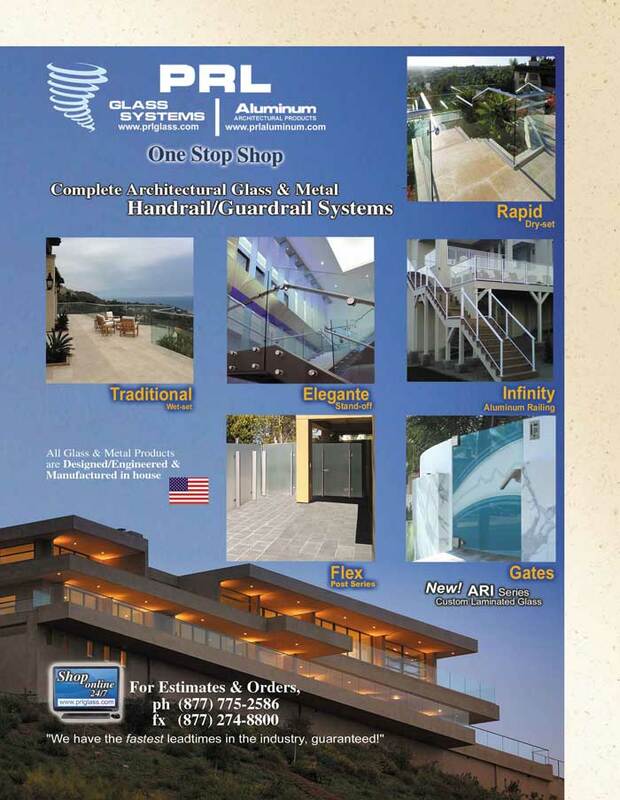 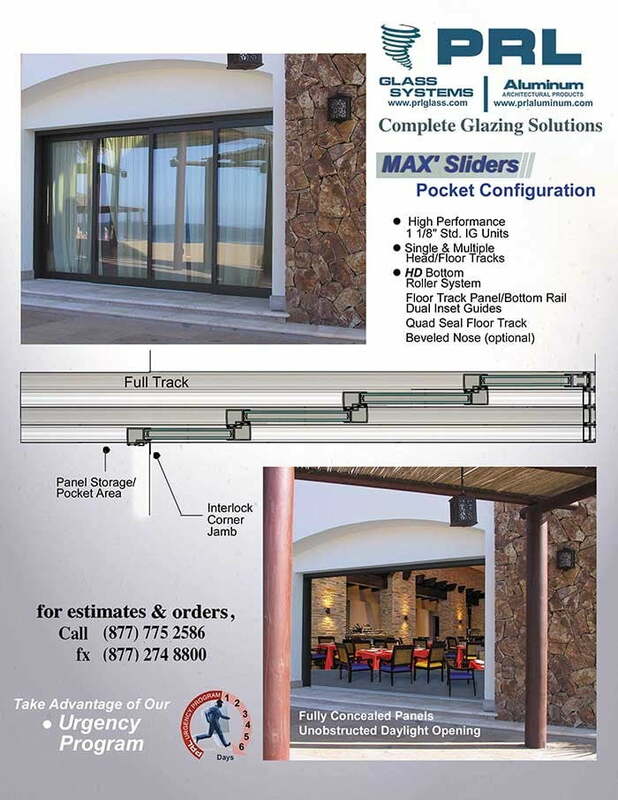 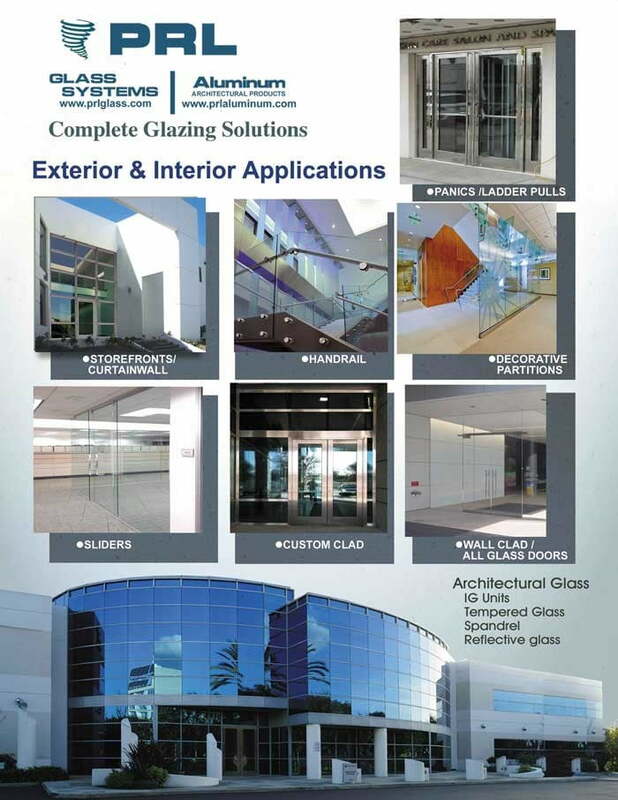 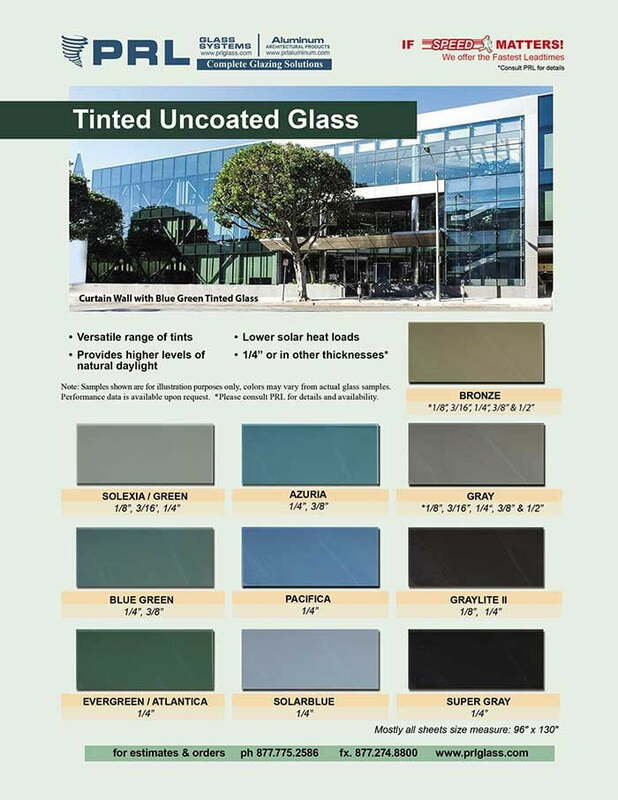 Whether you’re designing storefront cladding, full framed cladded doors, or a handrail system, we can produce a wide assortment of break formed products to meet your needs.